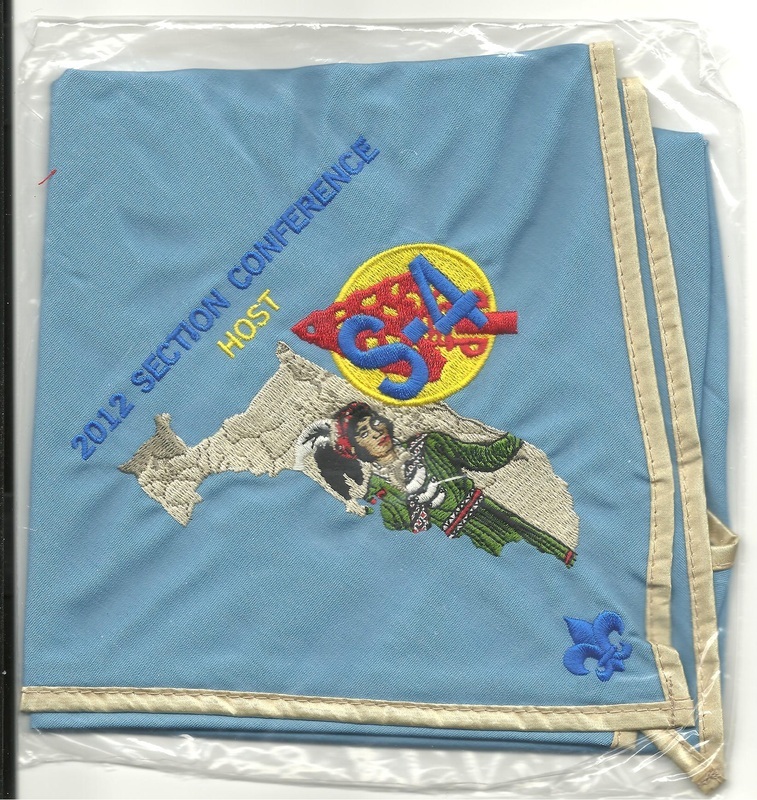 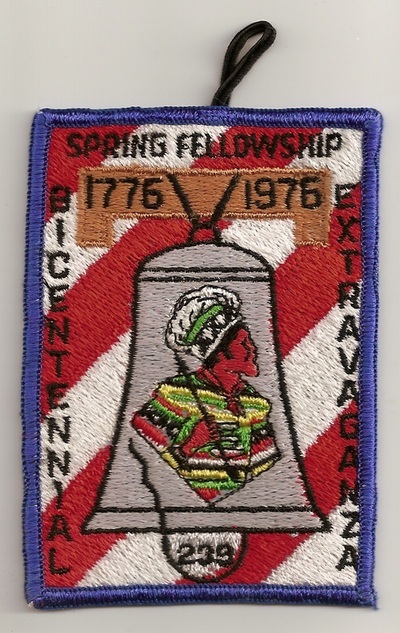 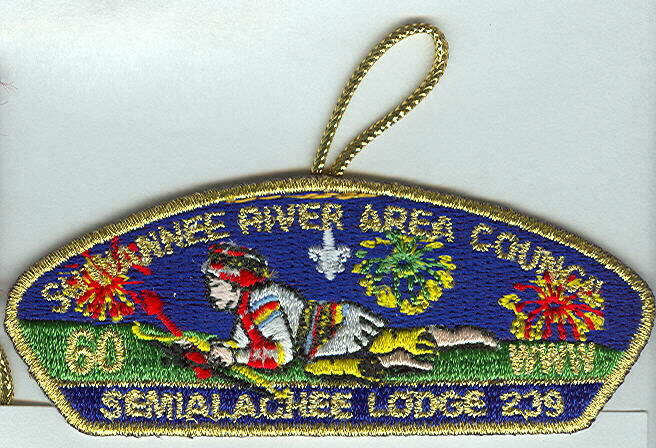 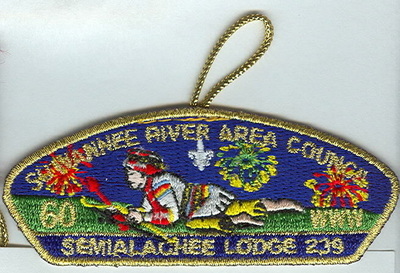 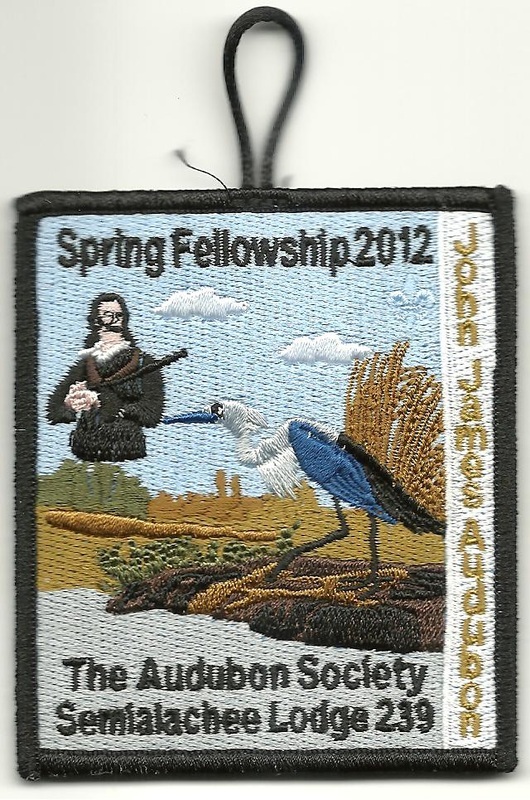 > Suwannee River Area Council, Tallahassee. 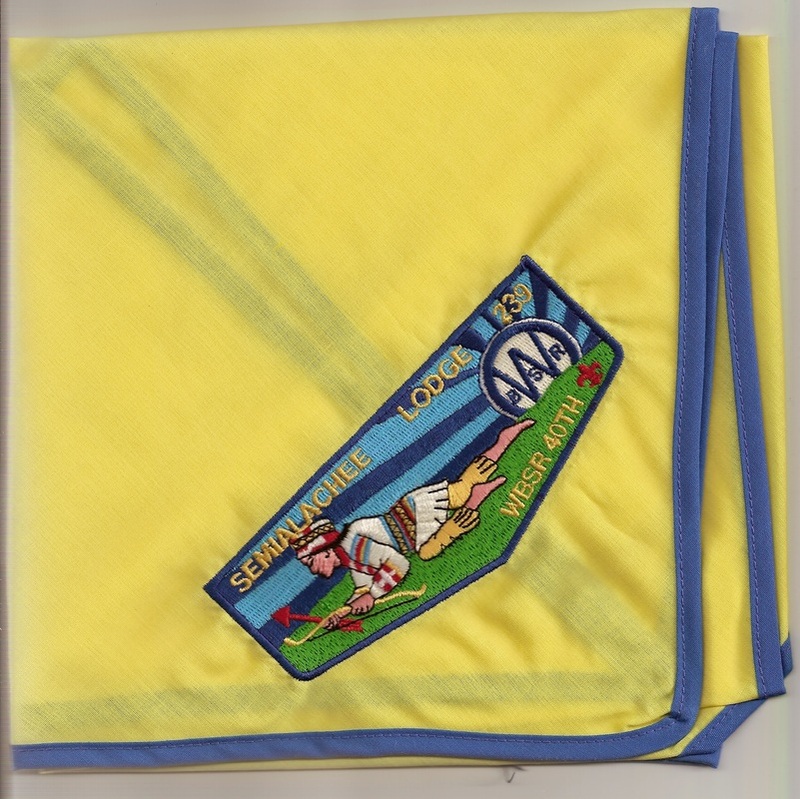 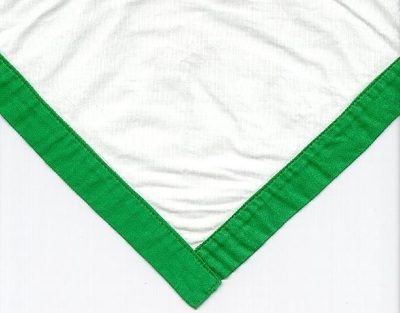 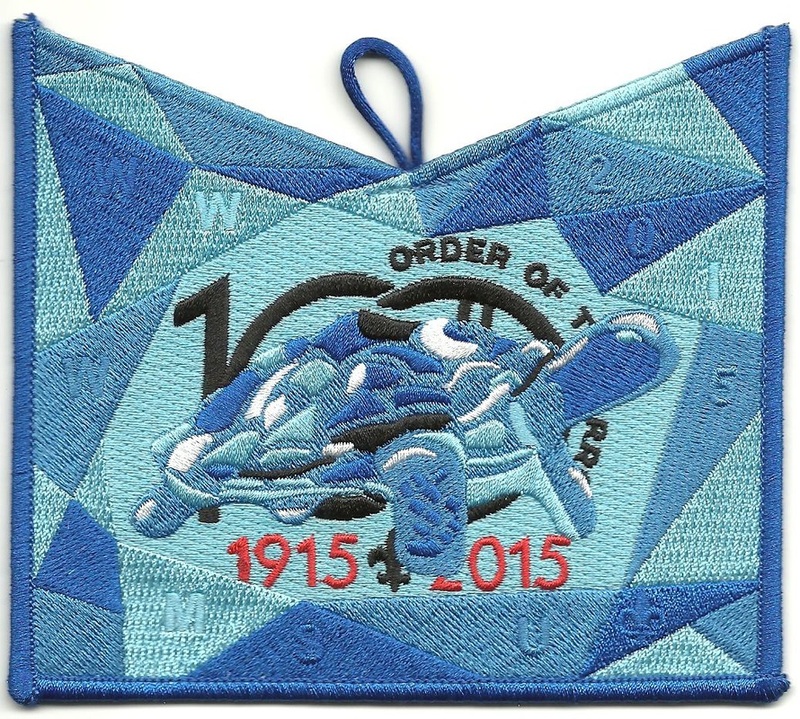 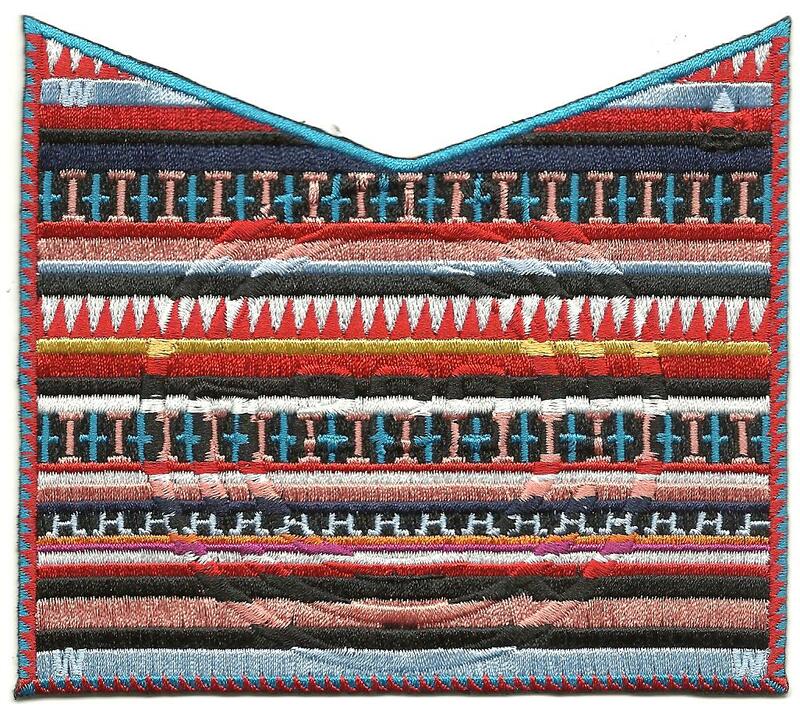 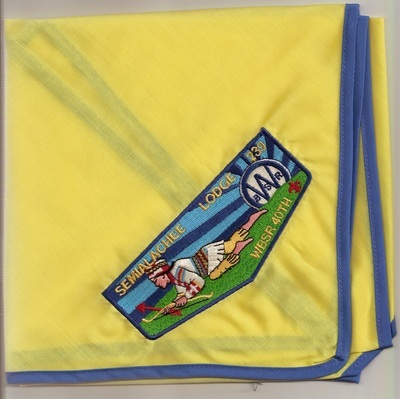 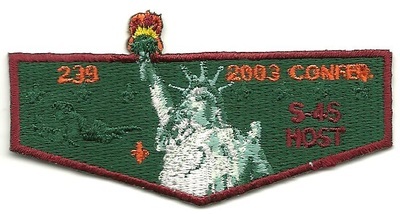 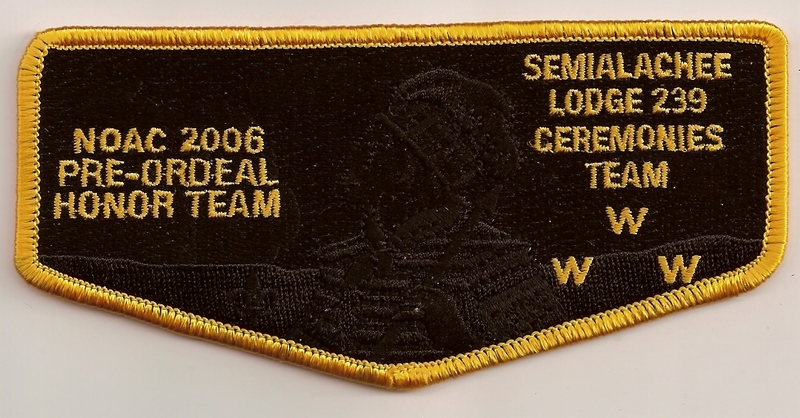 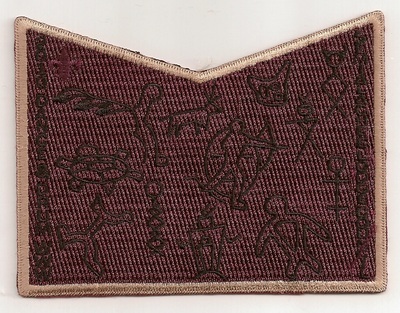 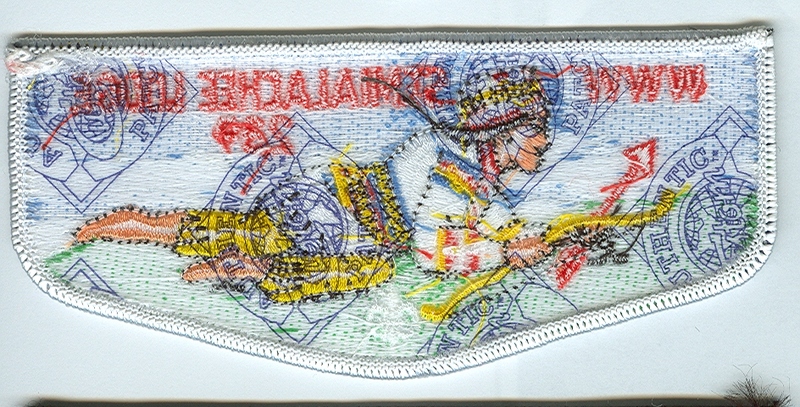 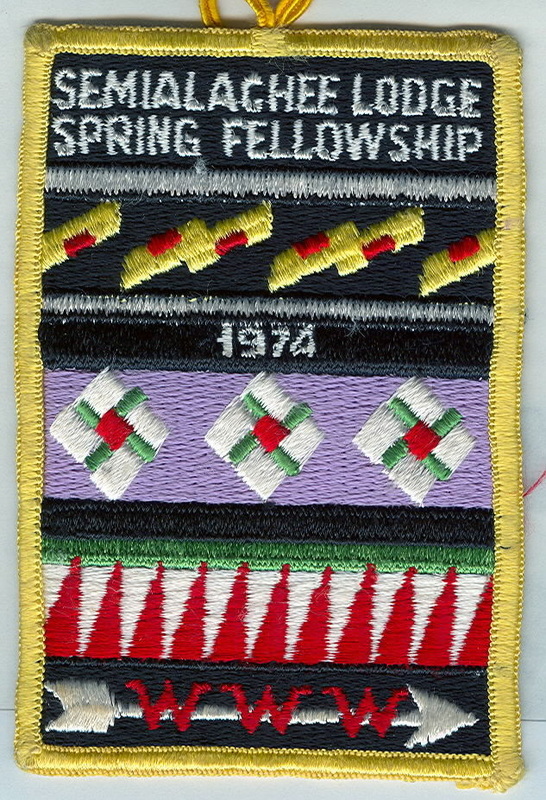 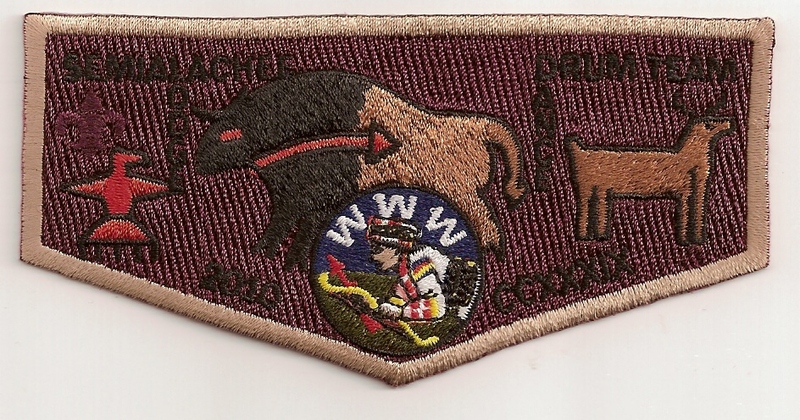 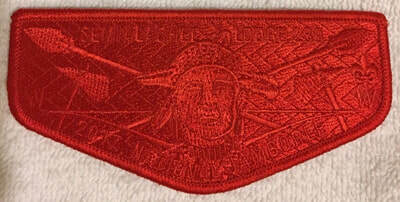 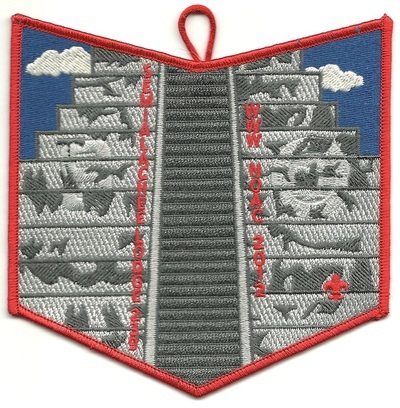 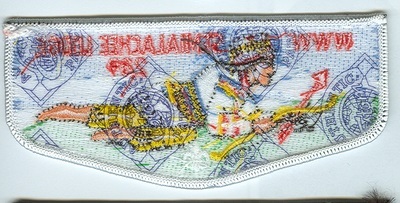 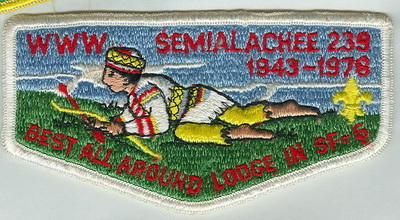 > Founded 1943 as Suriarco Lodge. 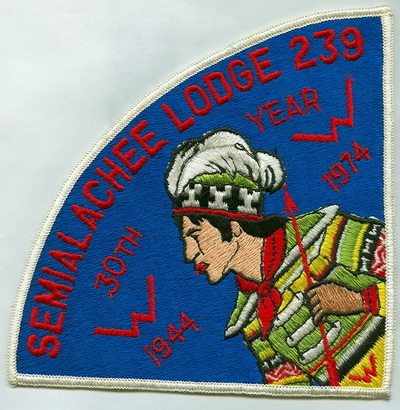 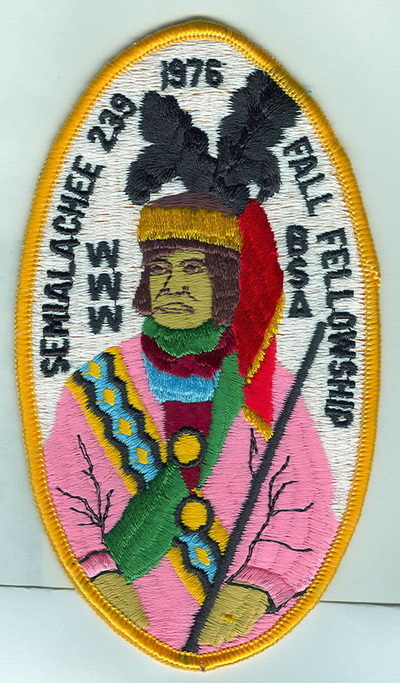 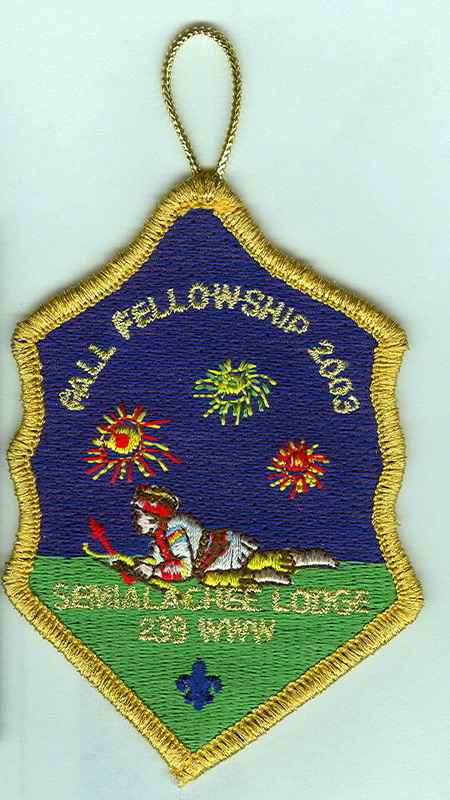 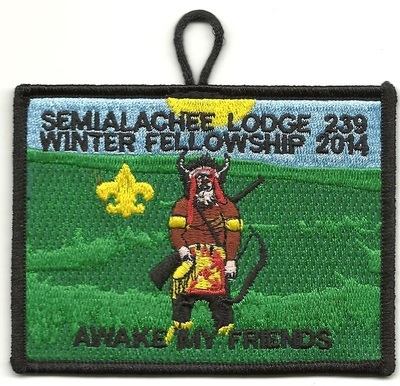 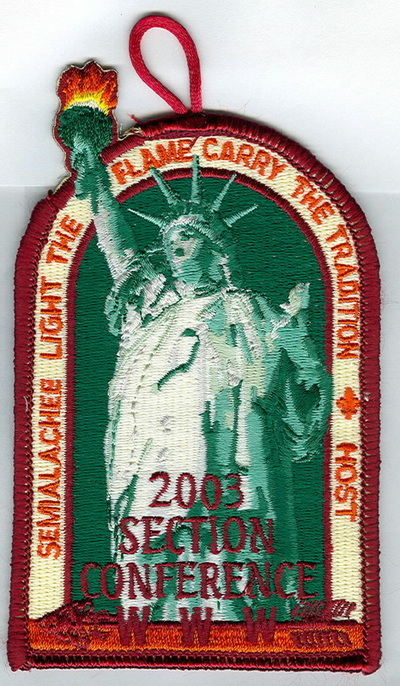 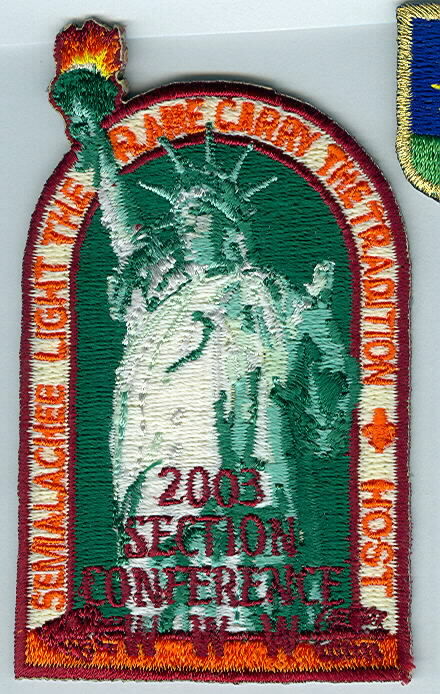 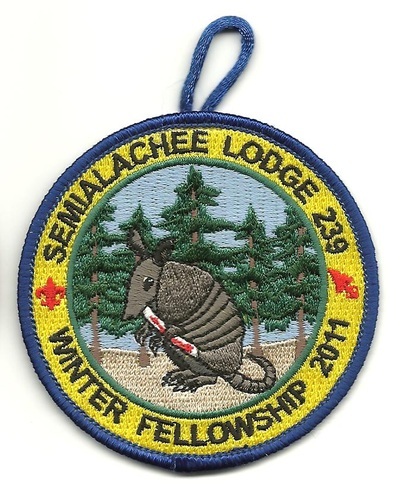 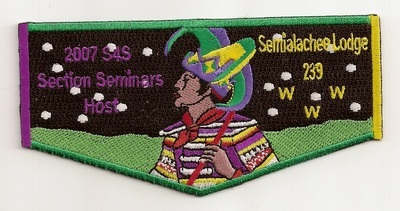 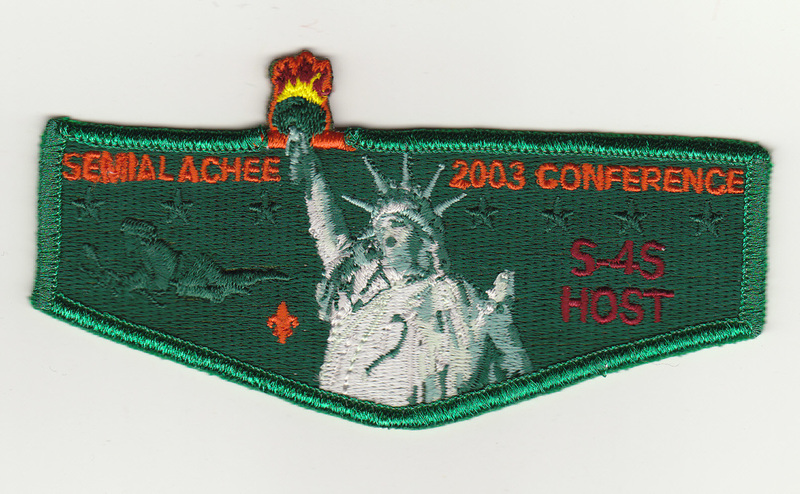 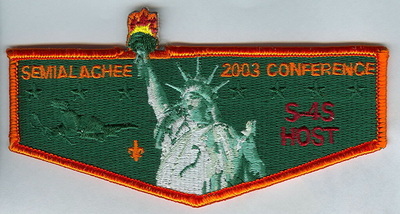 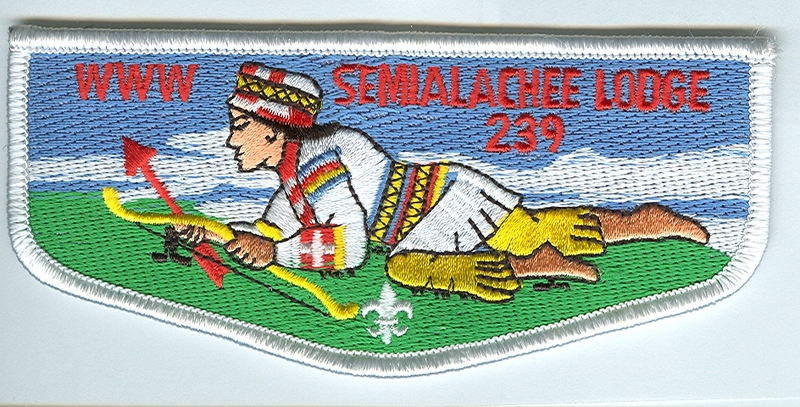 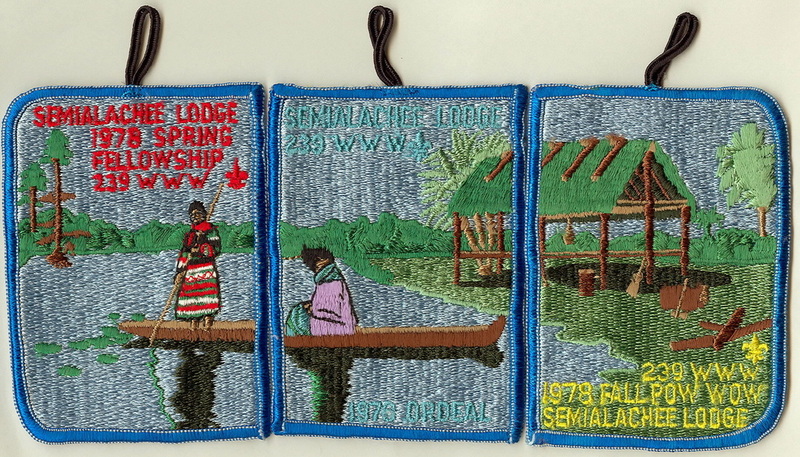 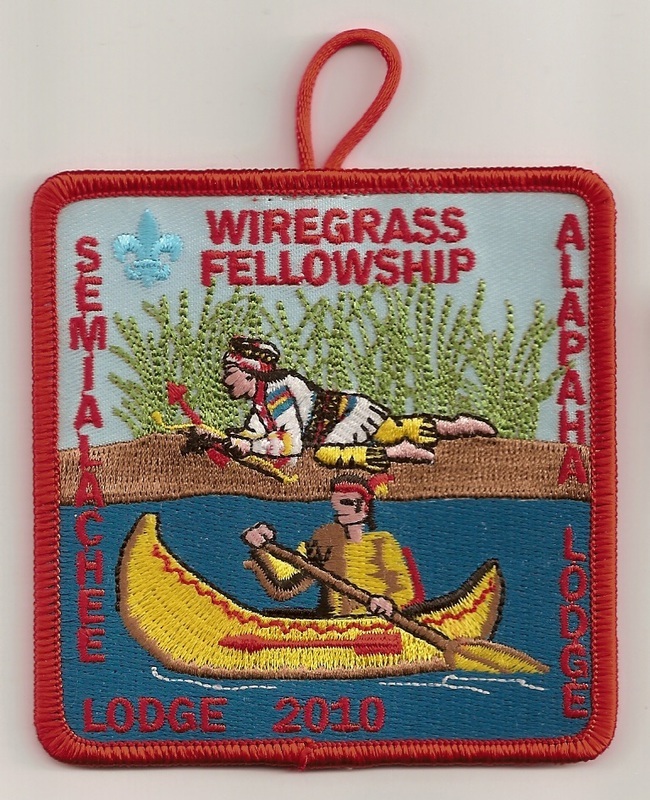 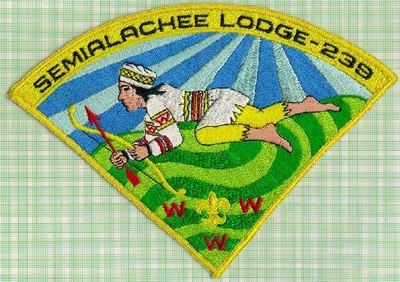 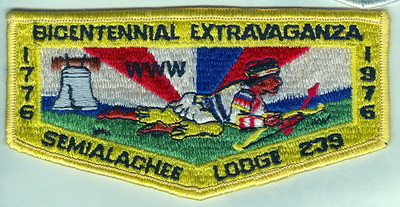 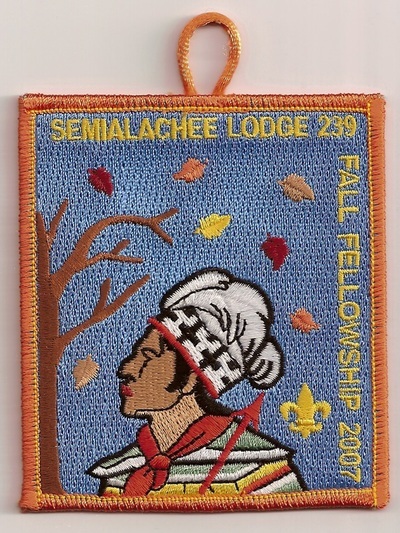 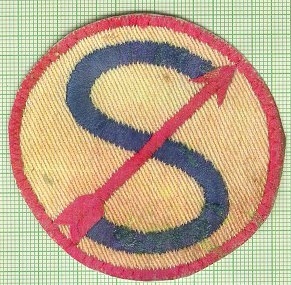 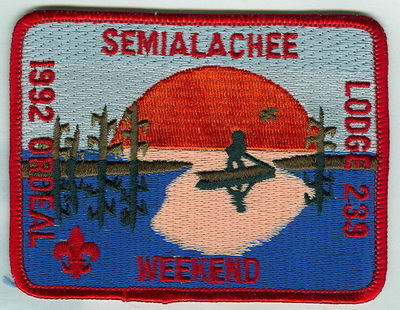 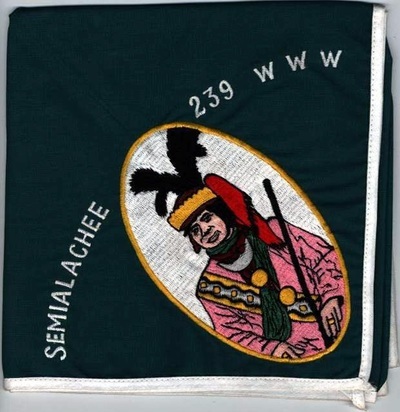 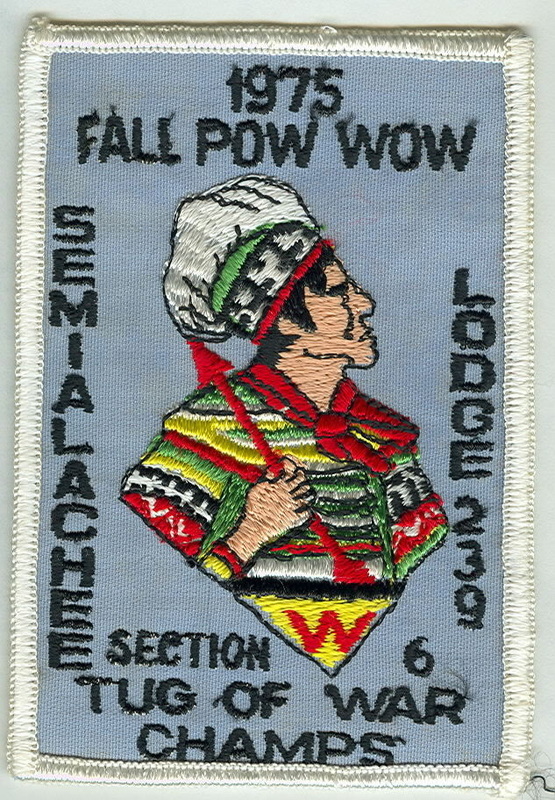 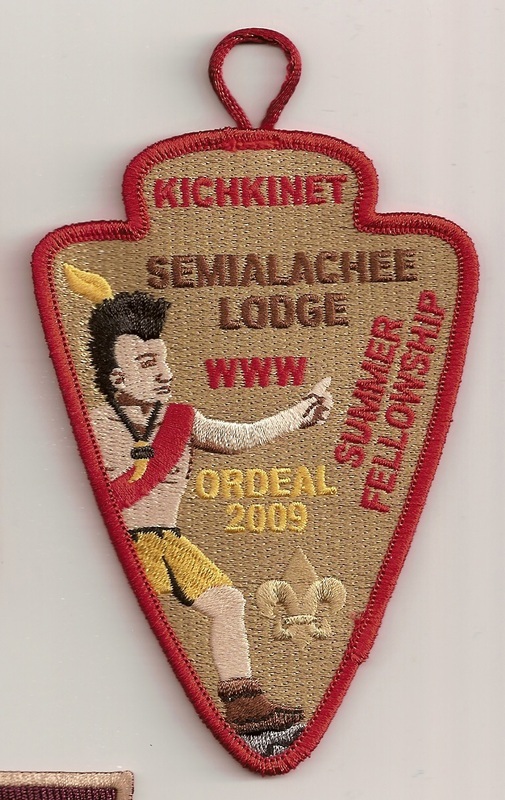 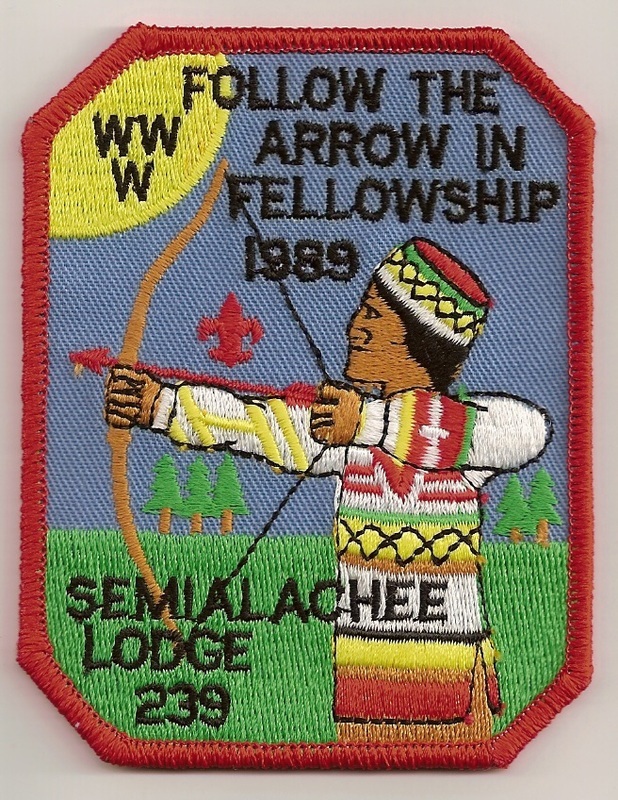 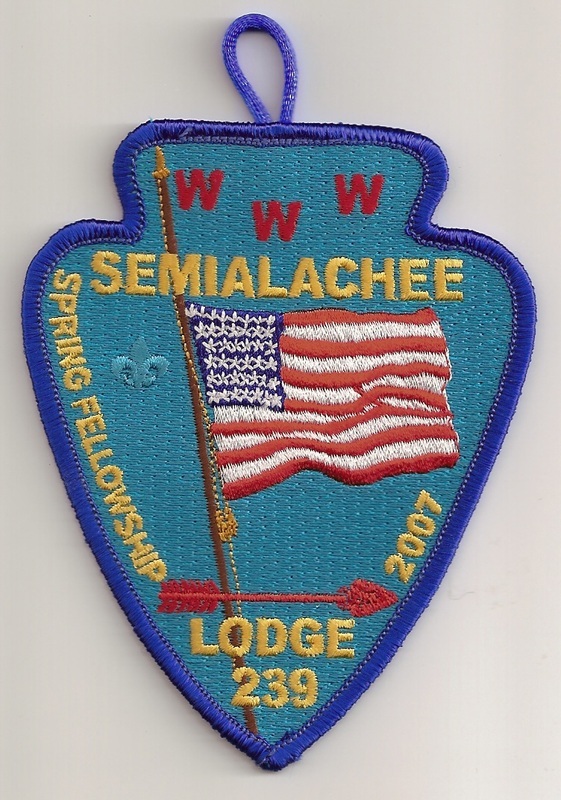 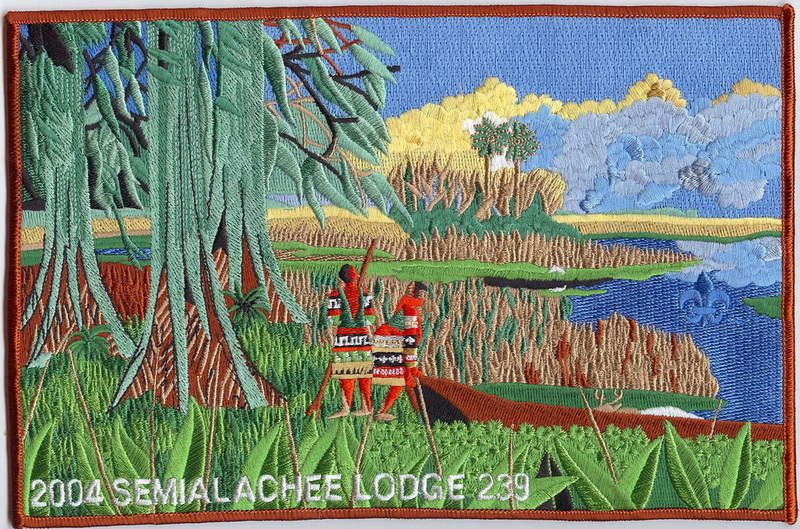 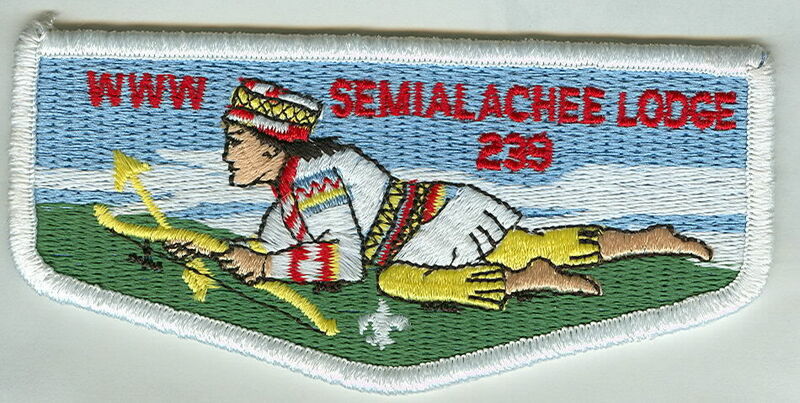 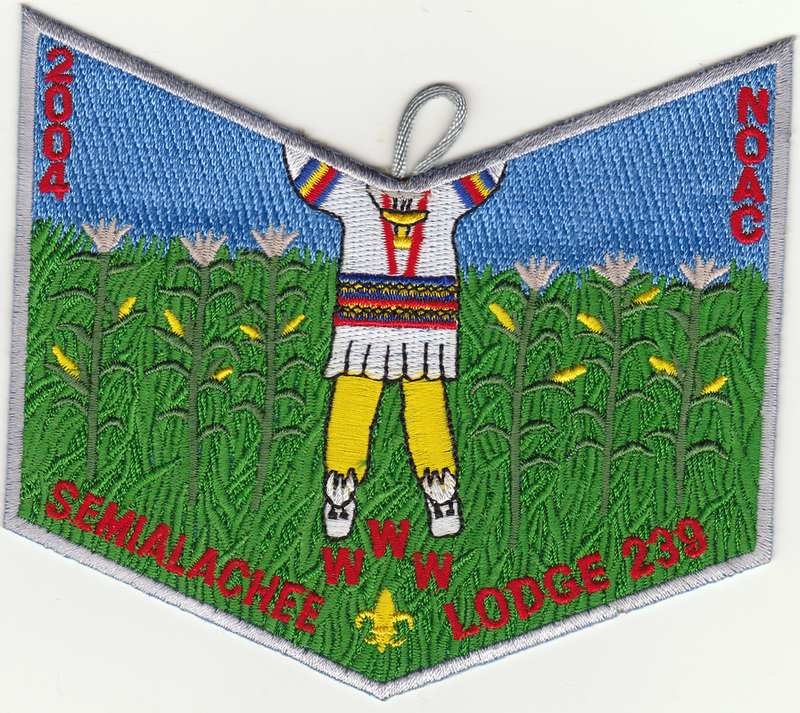 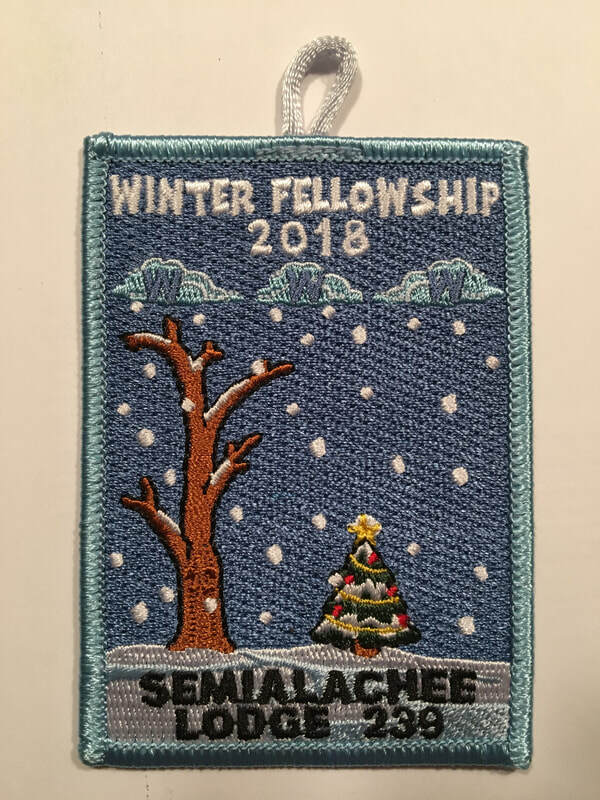 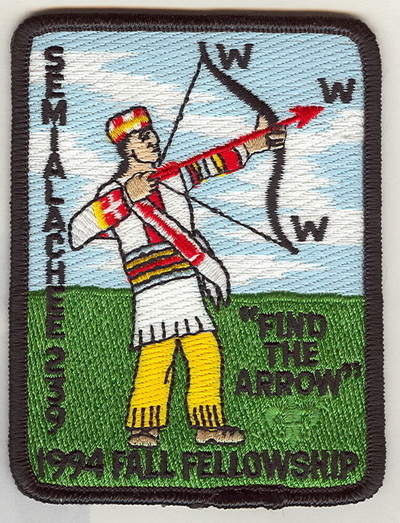 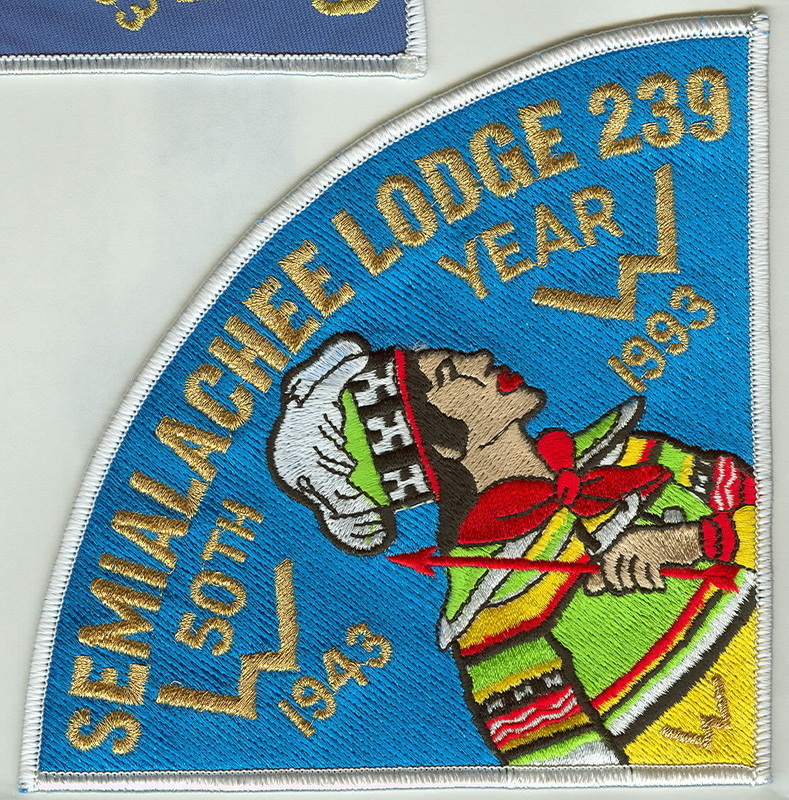 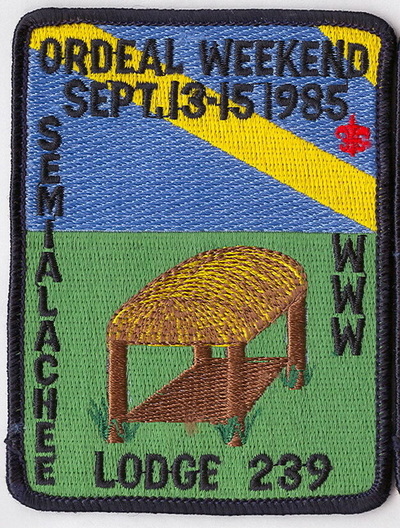 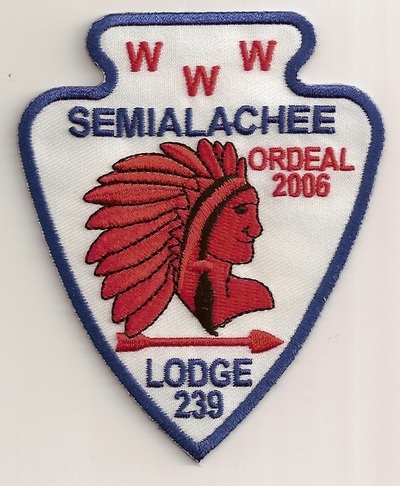 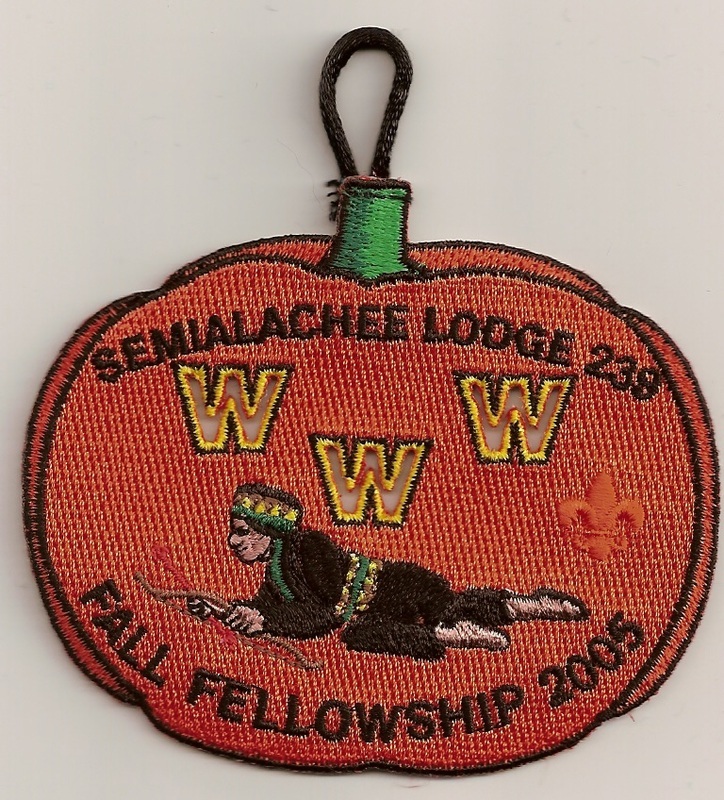 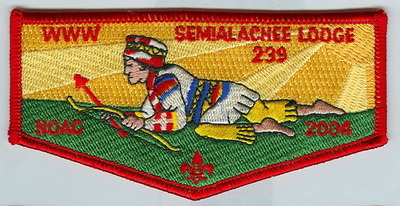 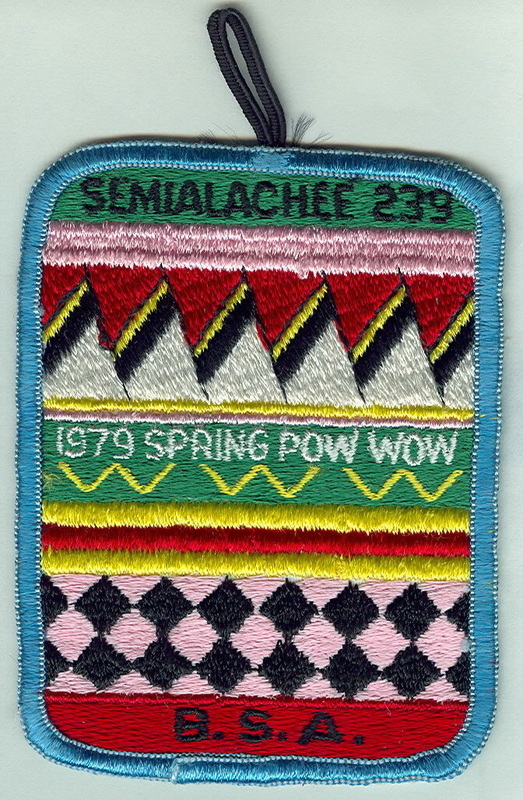 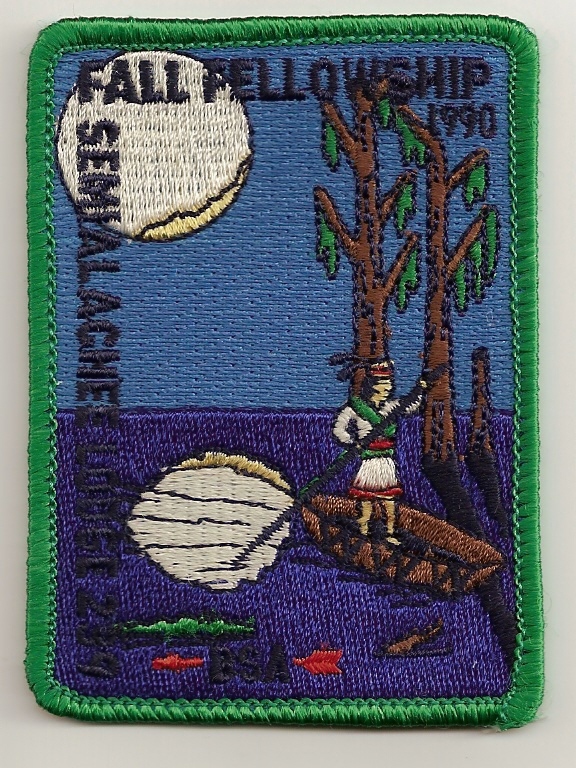 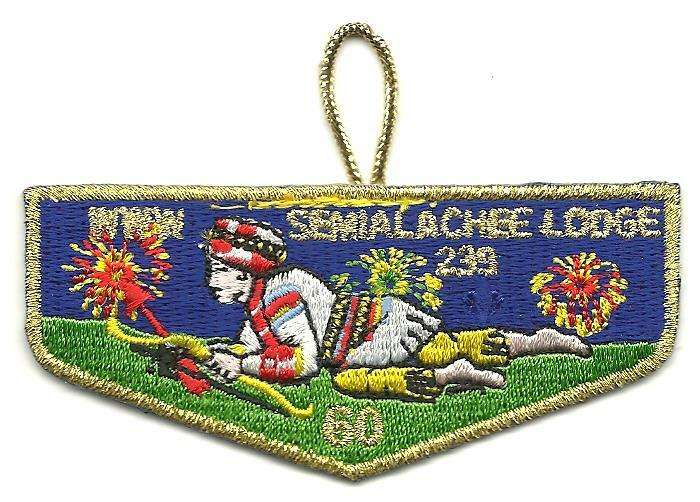 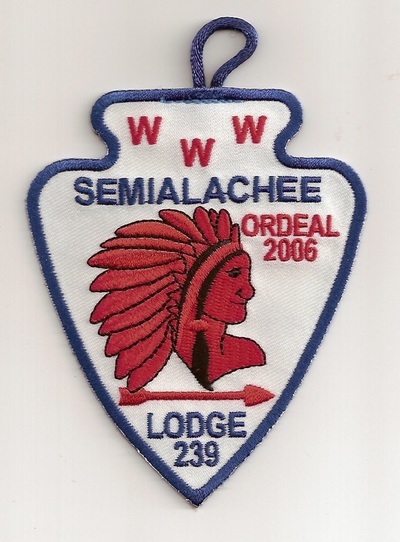 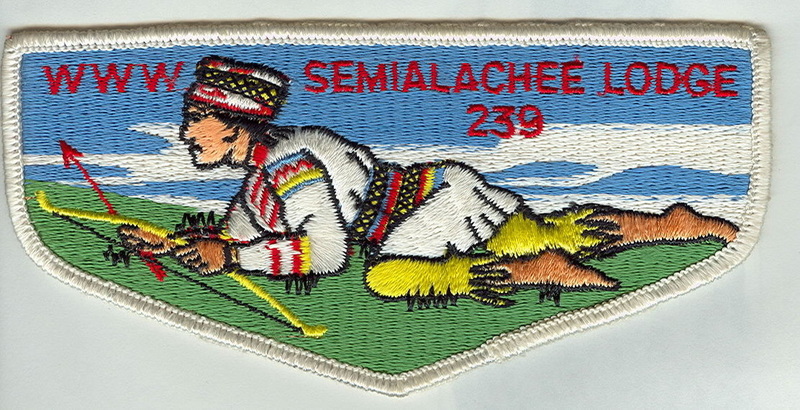 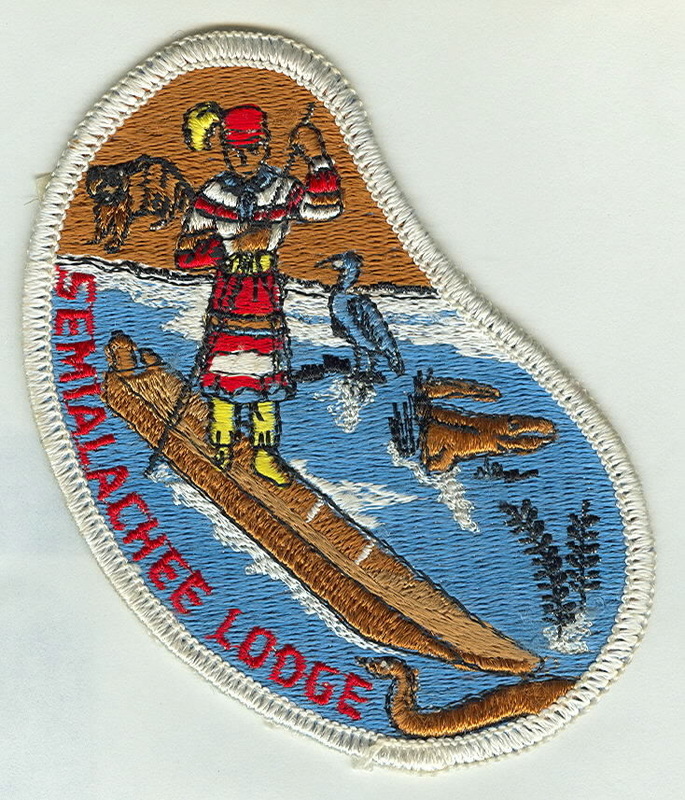 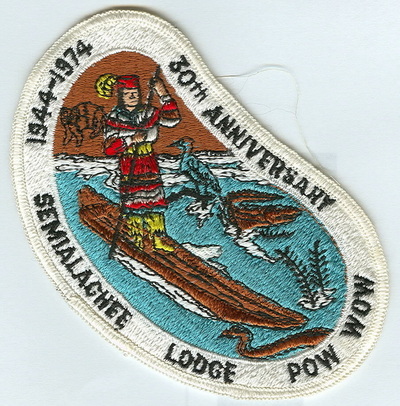 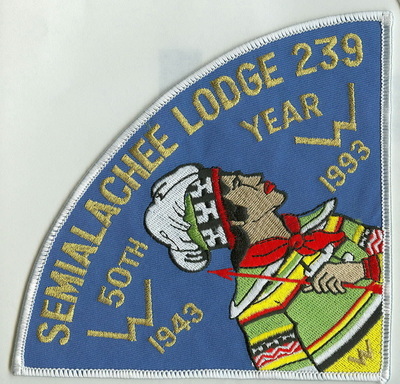 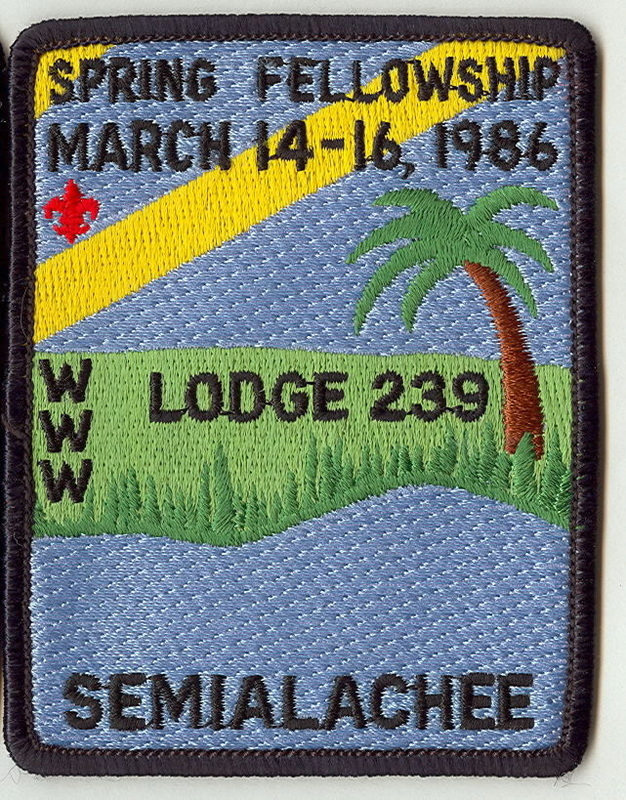 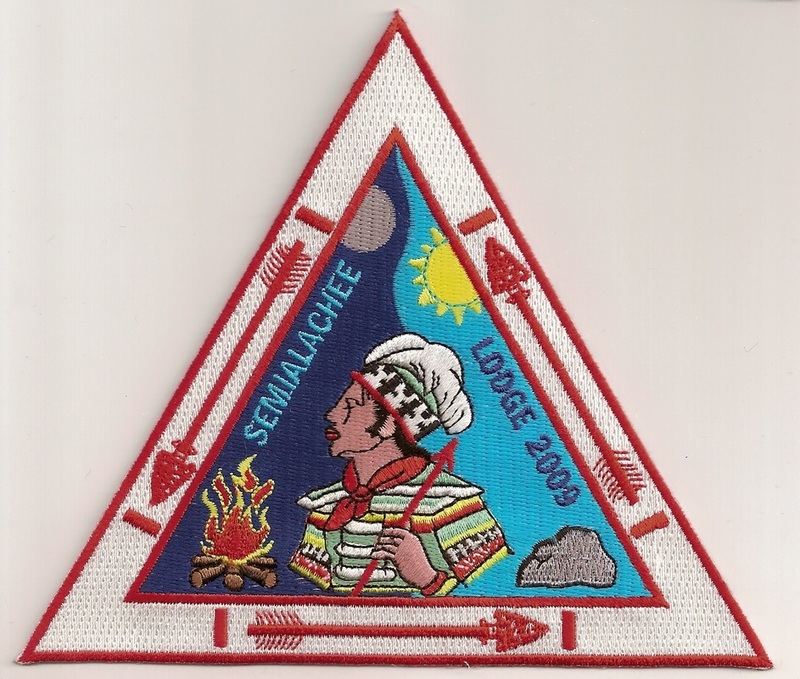 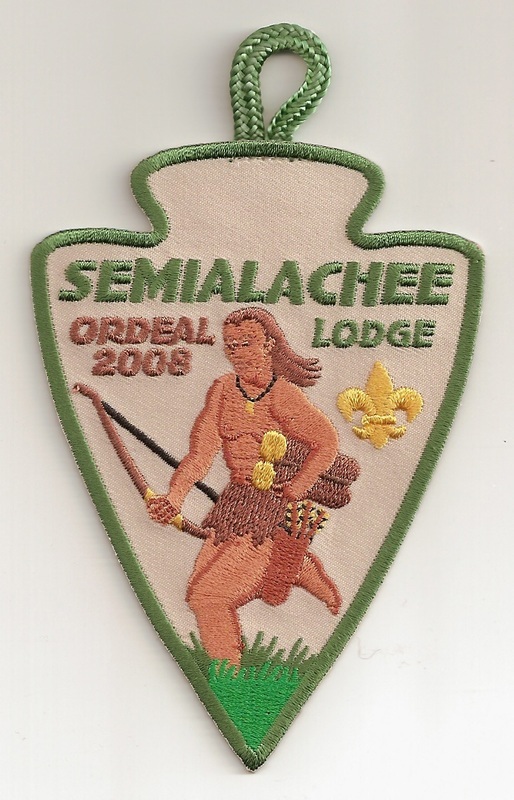 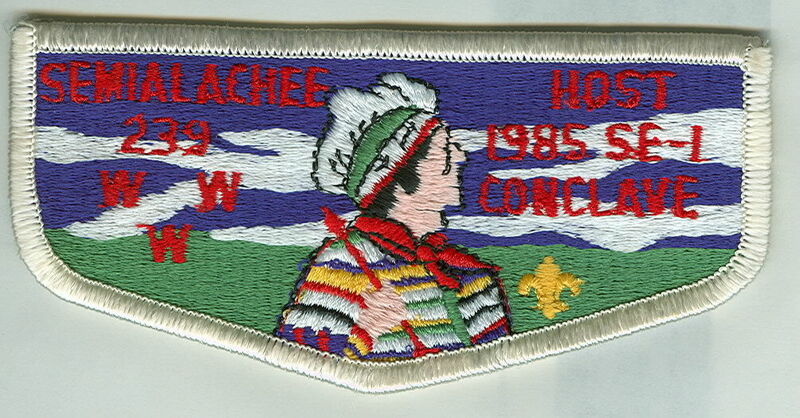 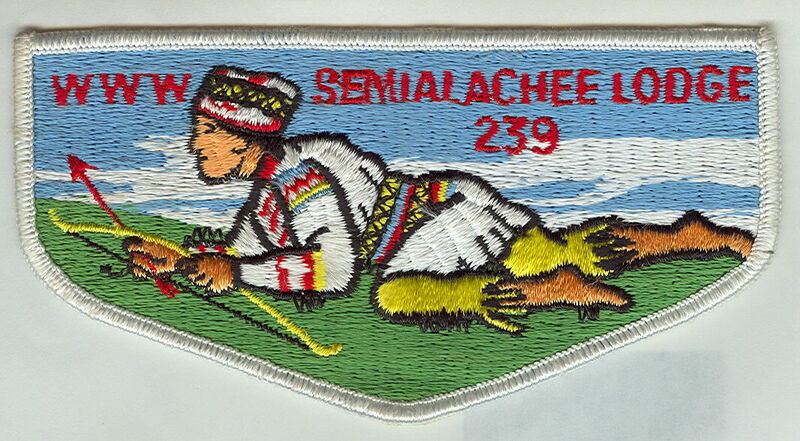 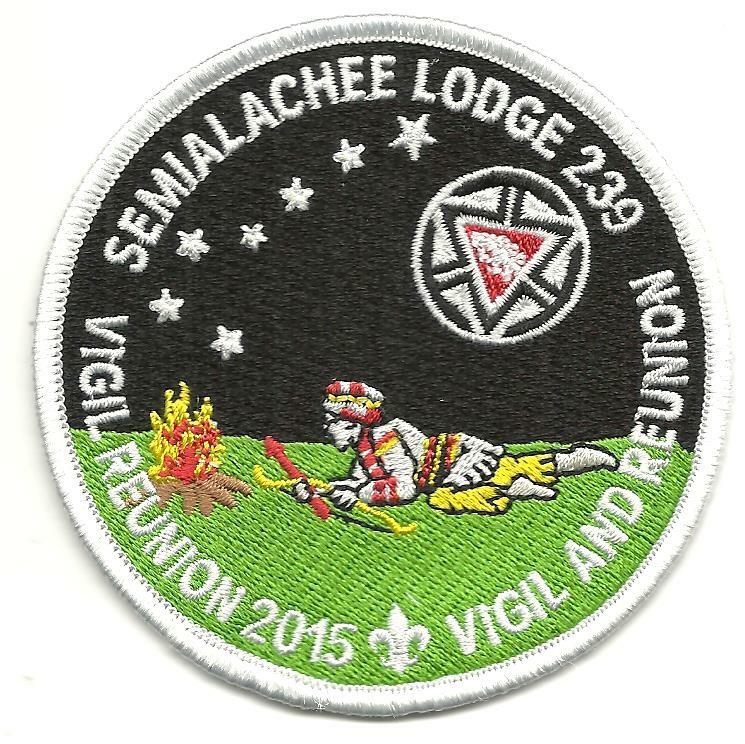 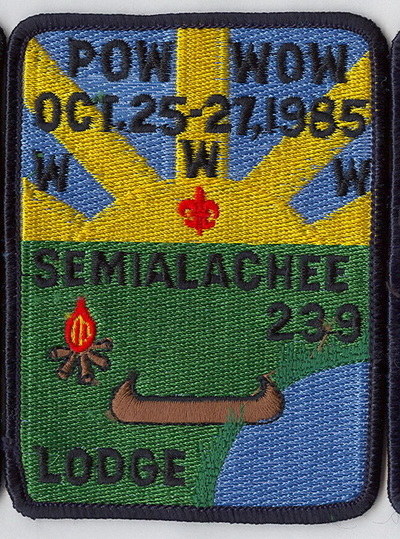 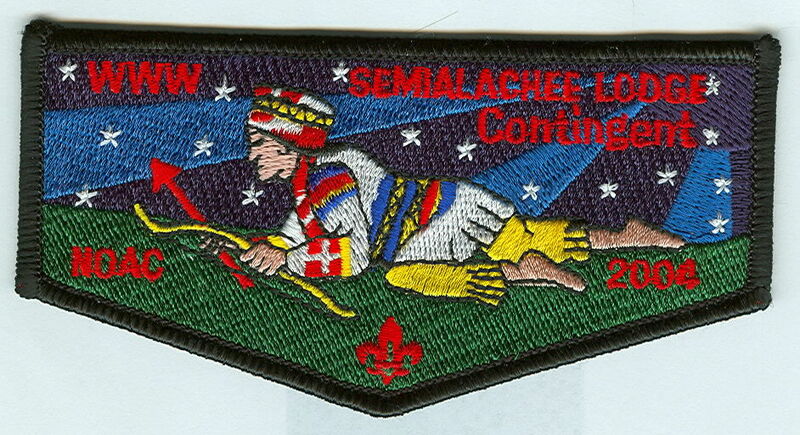 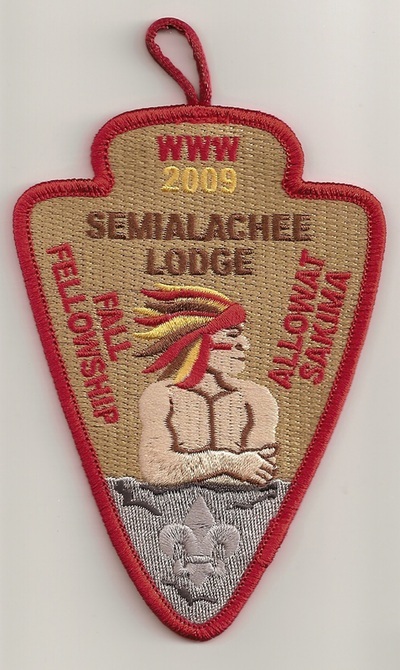 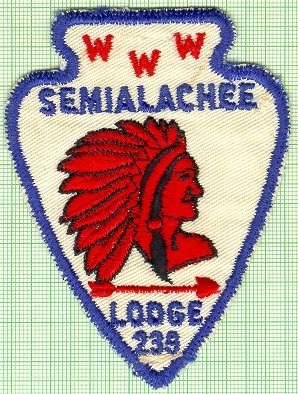 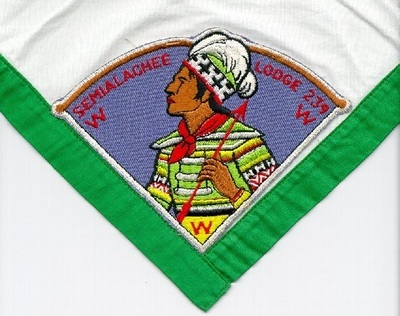 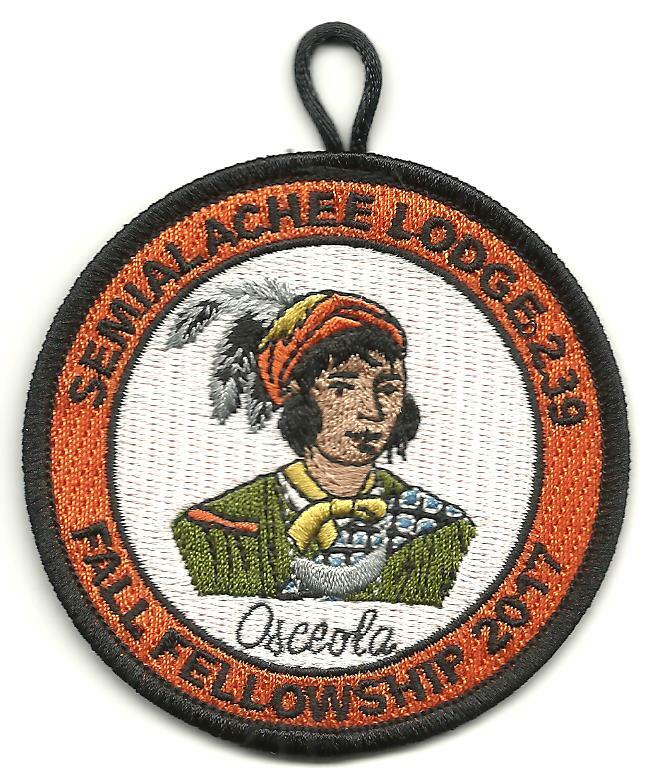 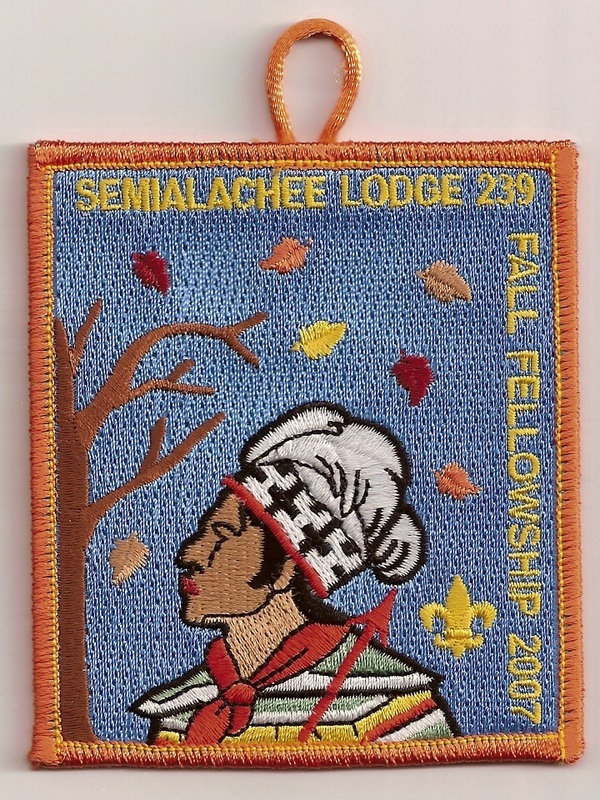 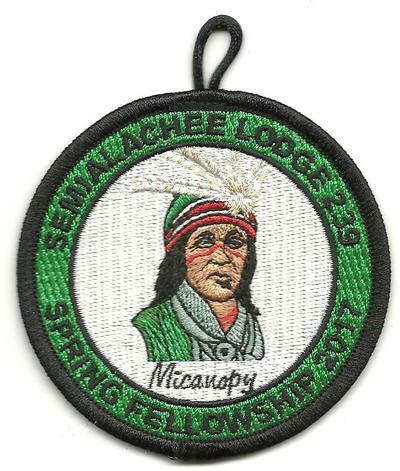 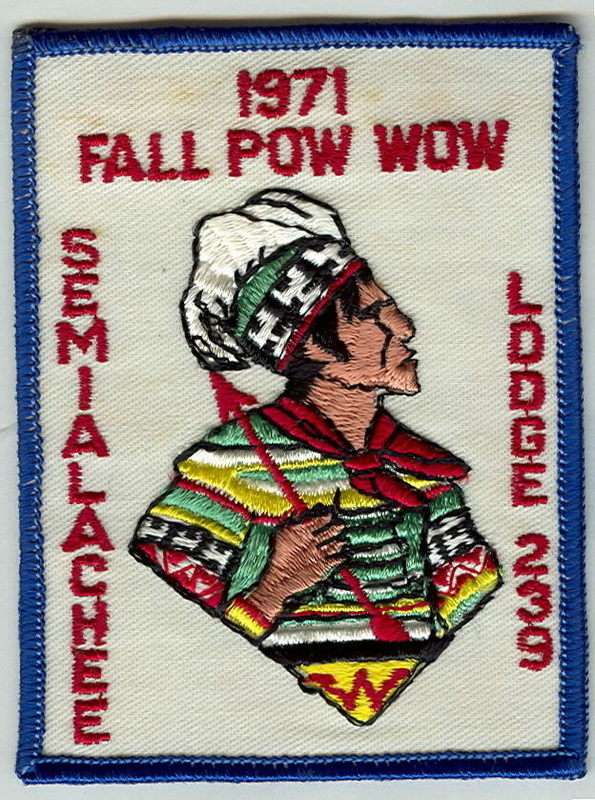 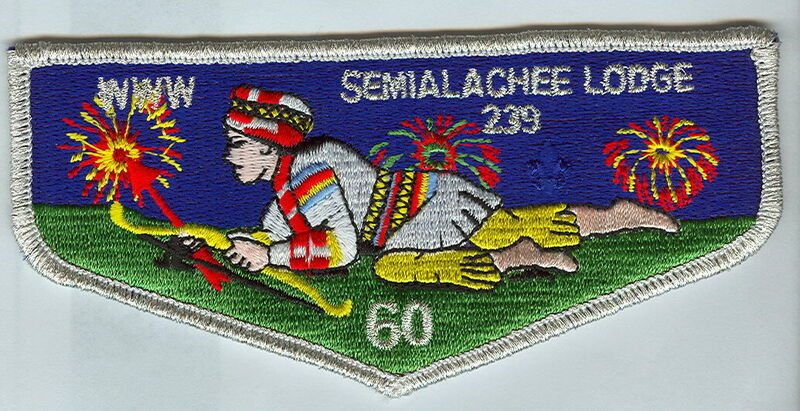 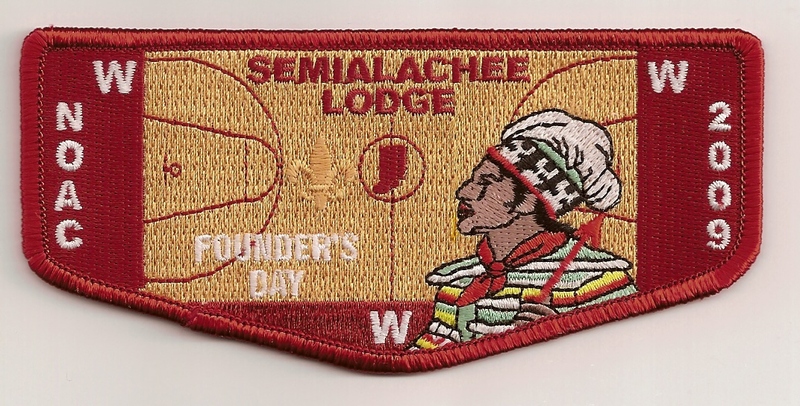 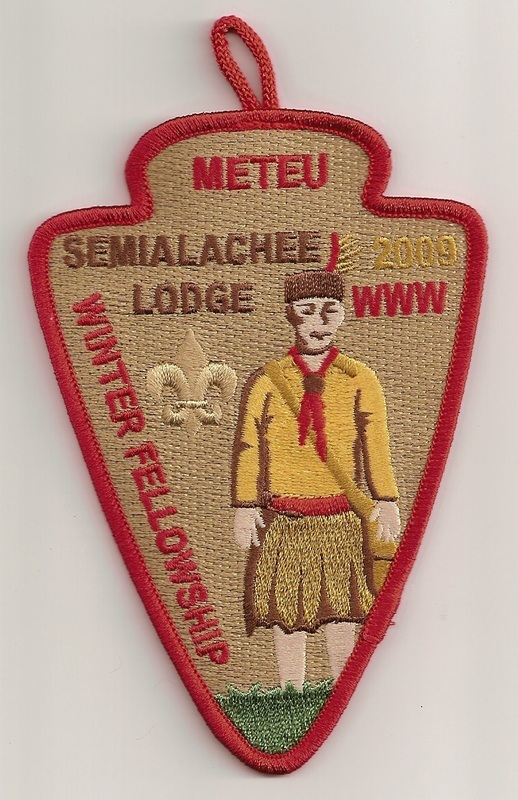 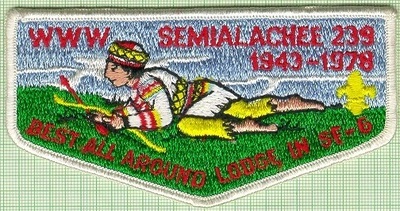 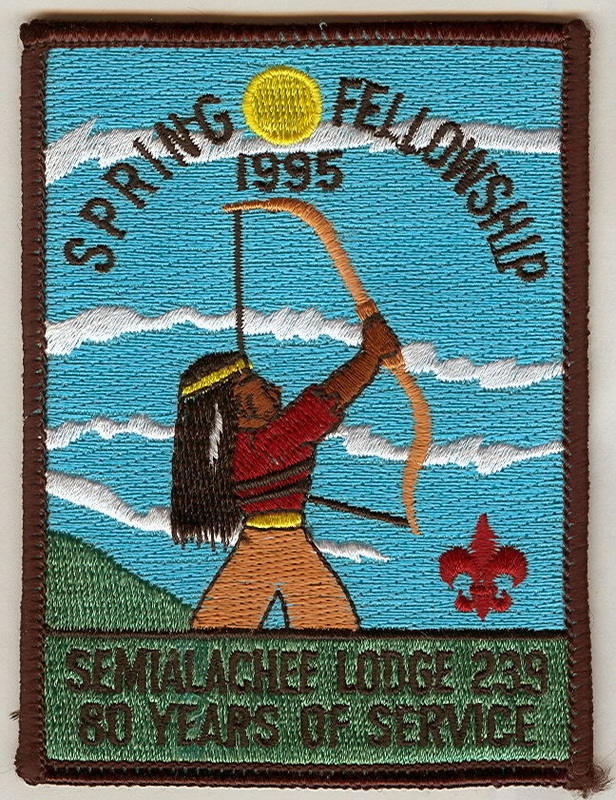 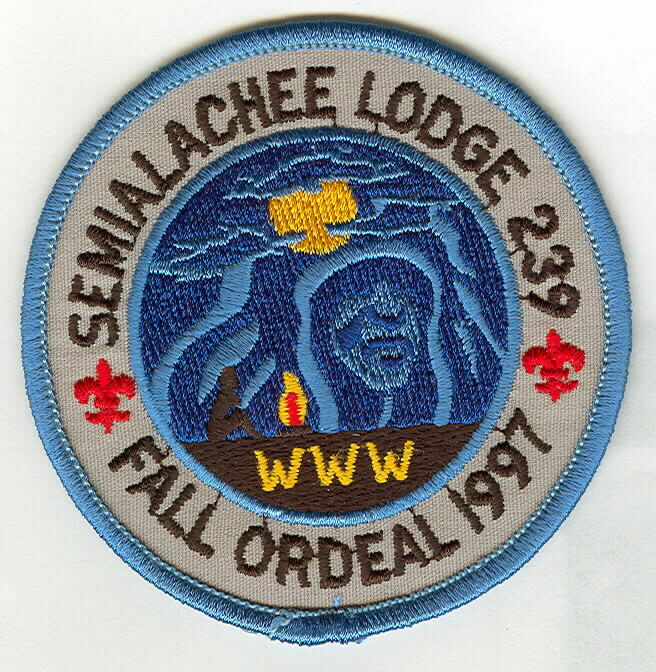 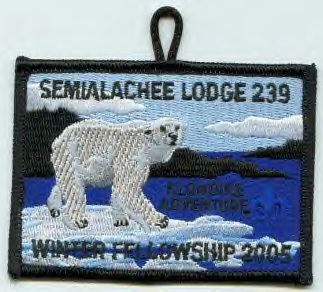 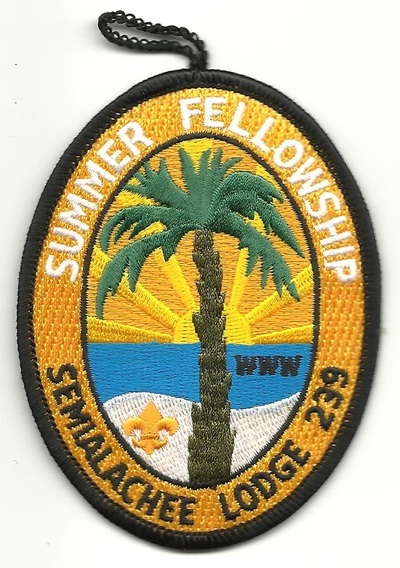 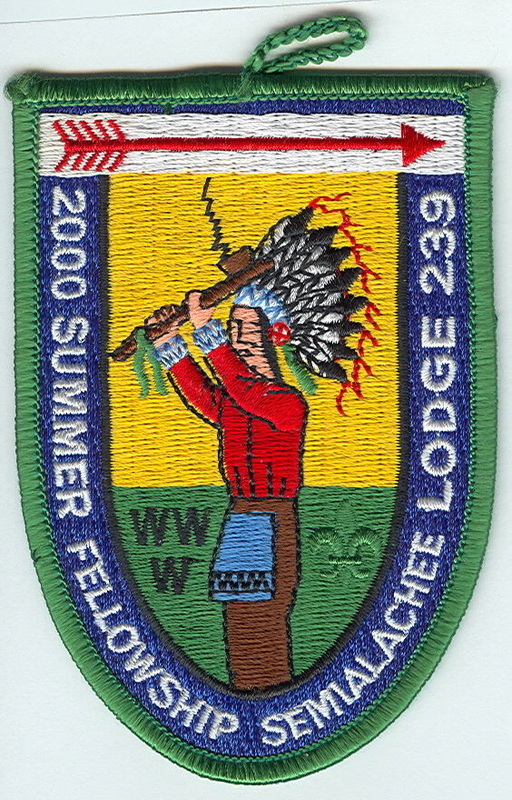 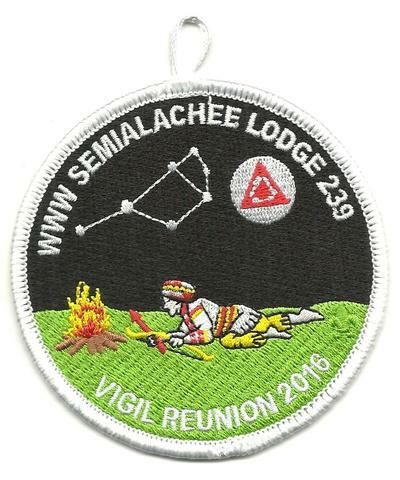 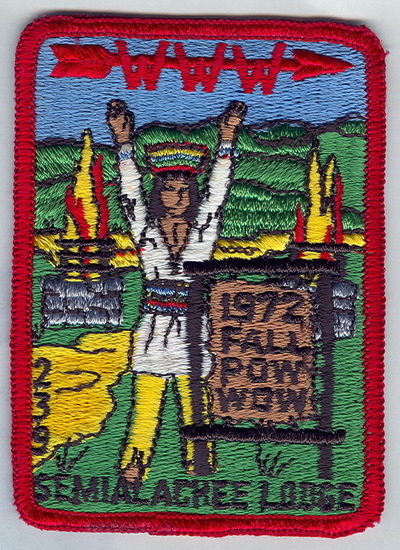 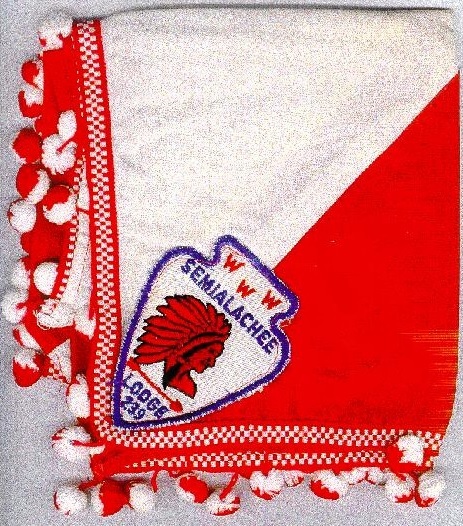 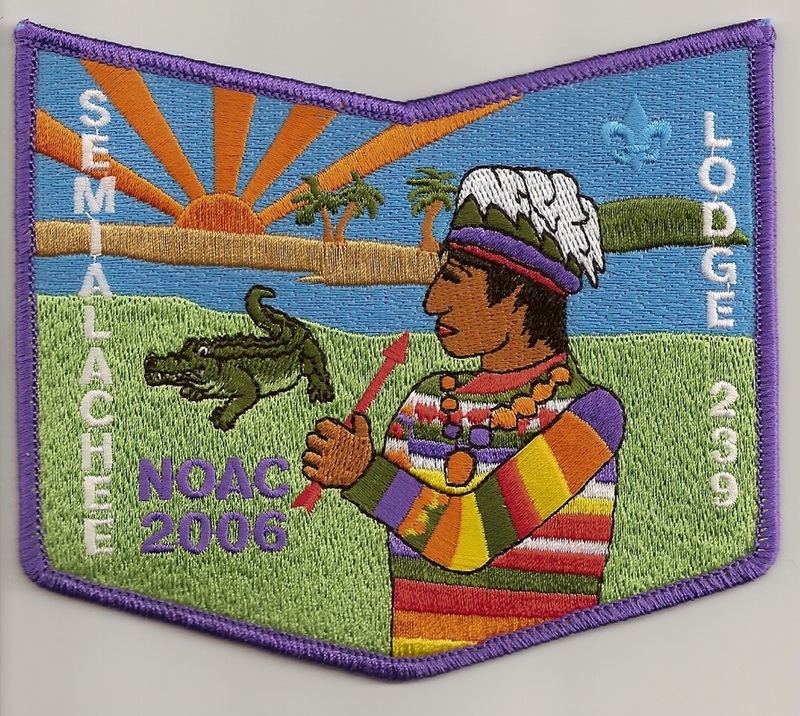 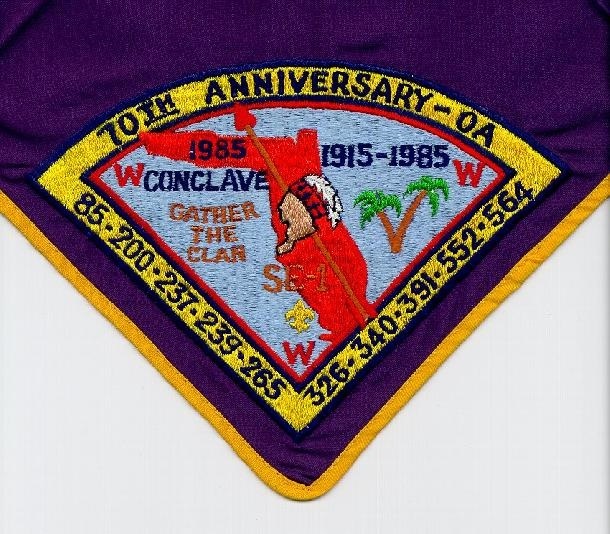 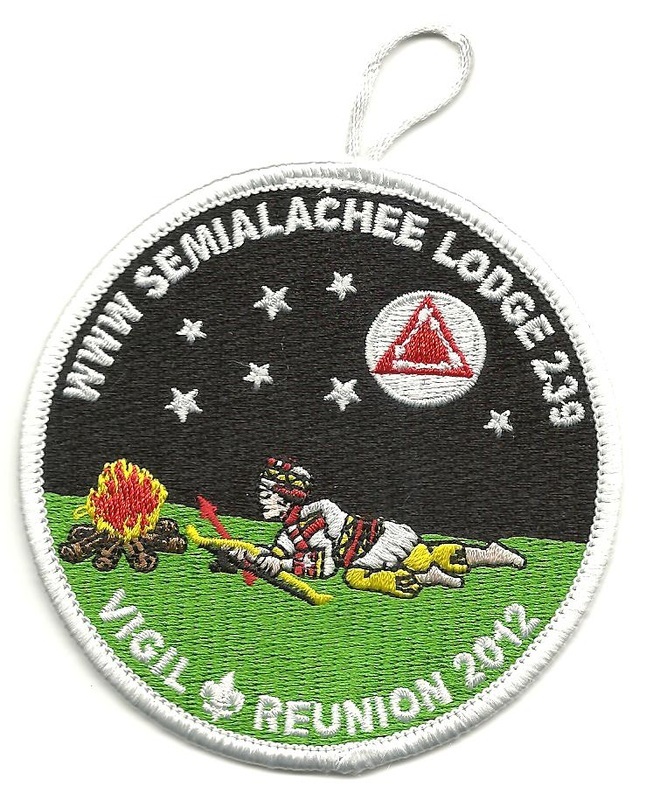 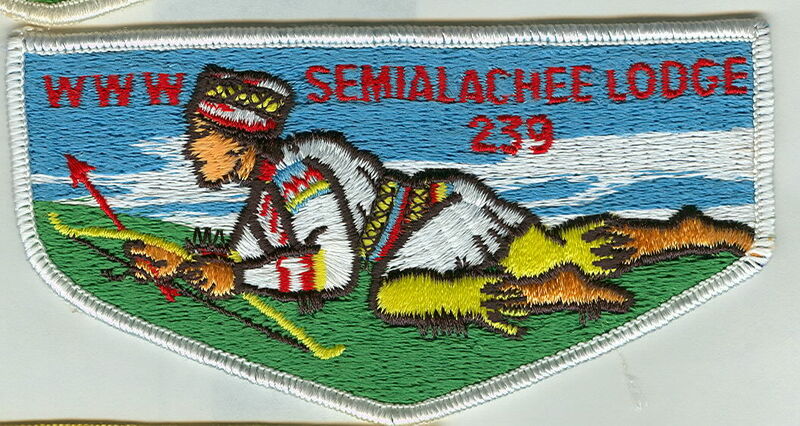 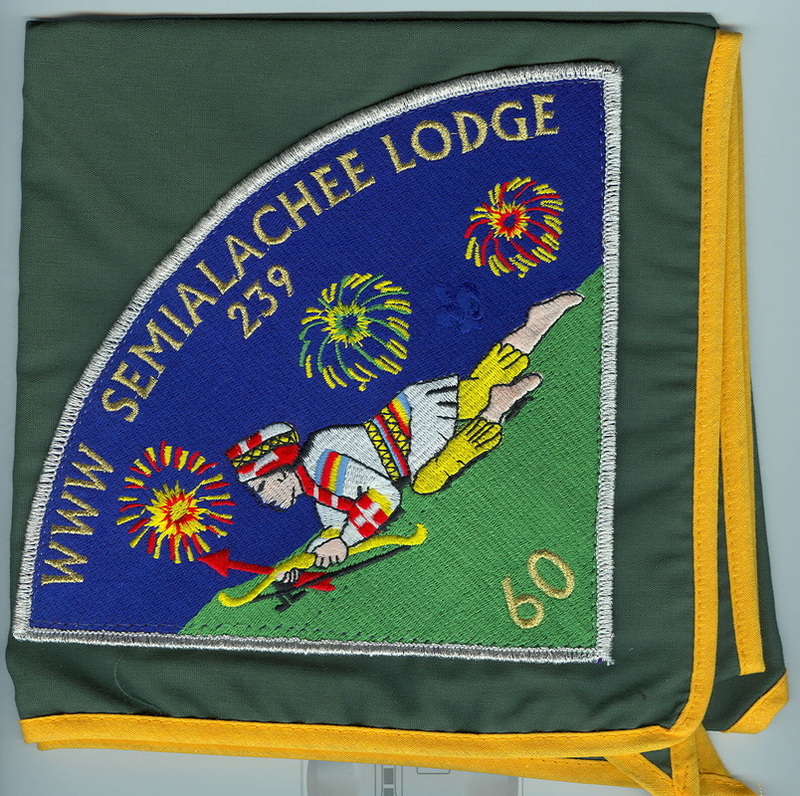 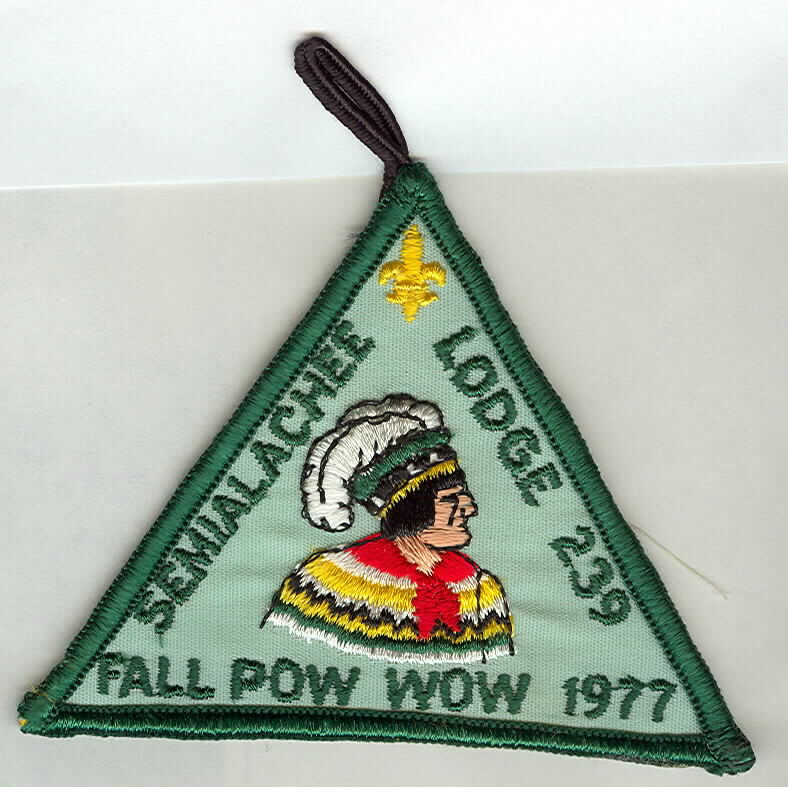 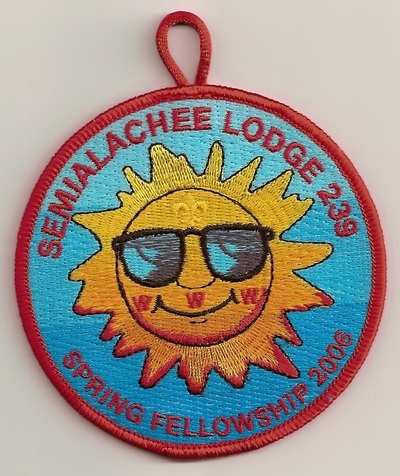 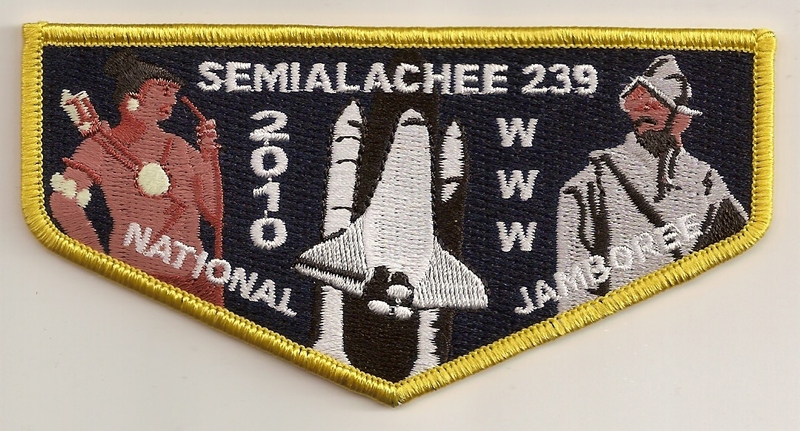 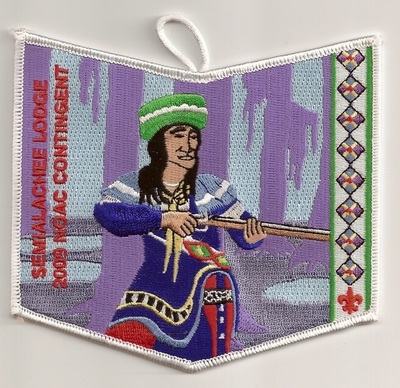 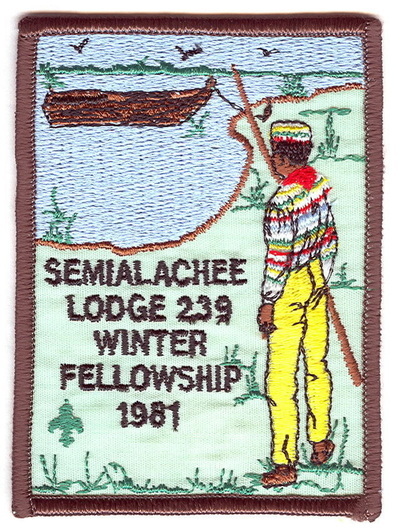 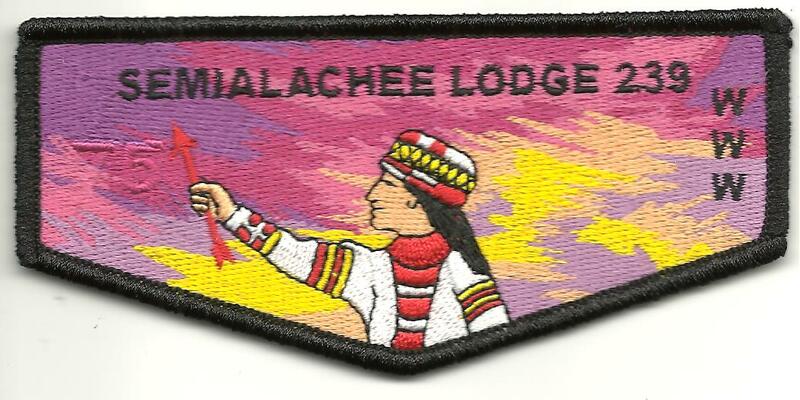 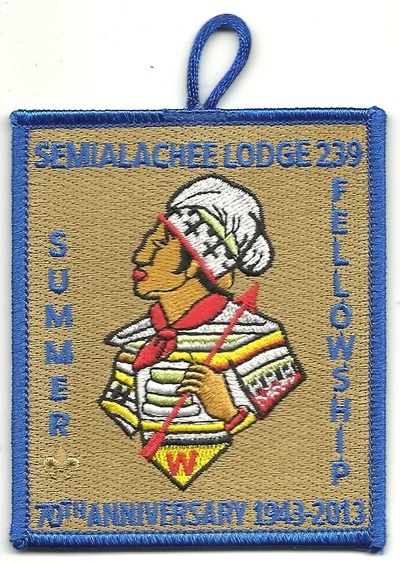 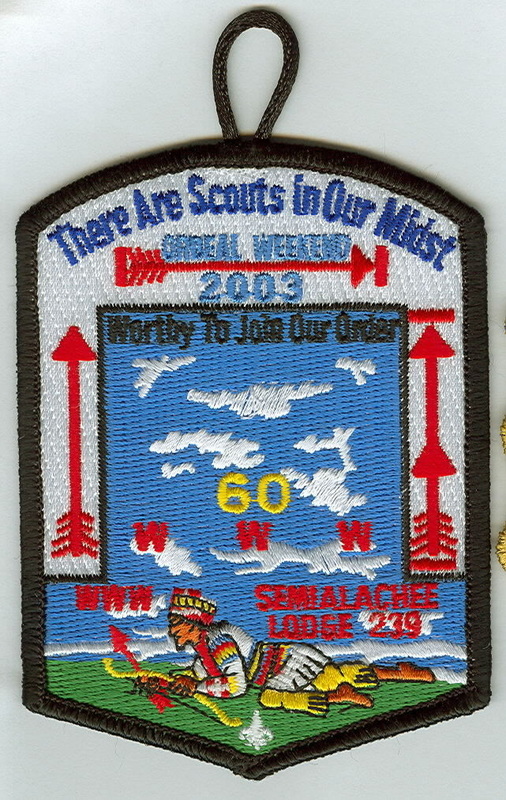 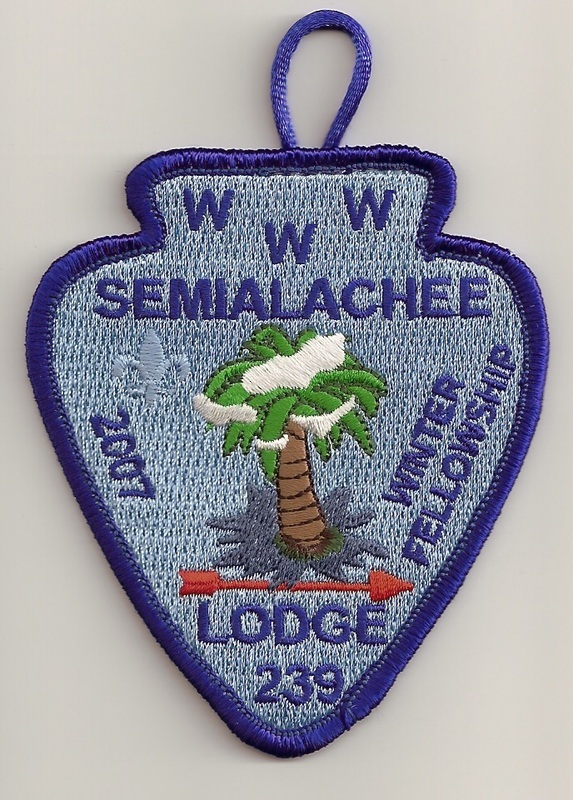 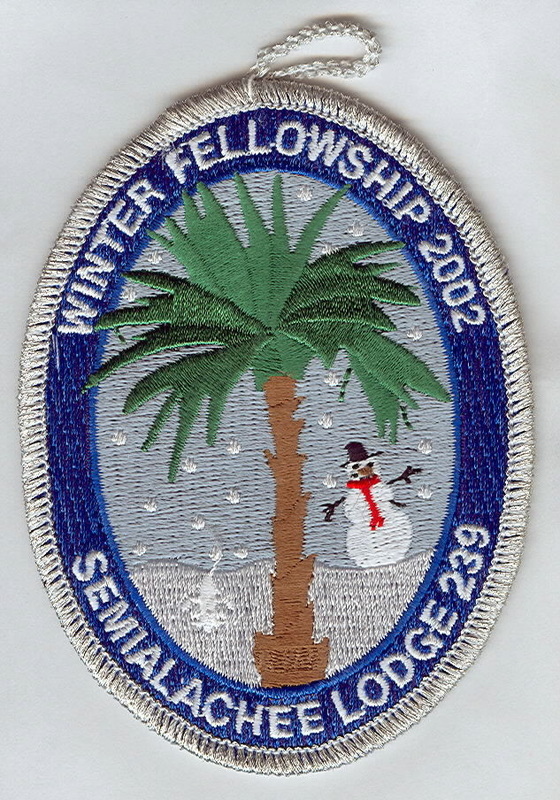 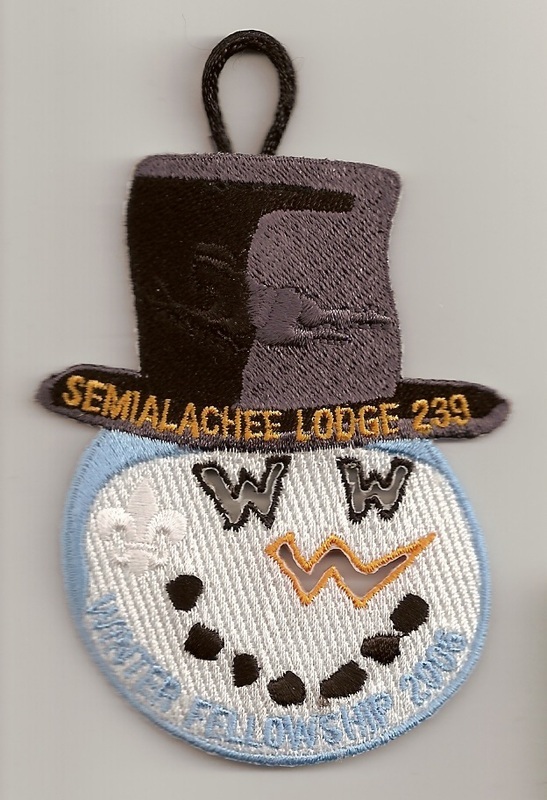 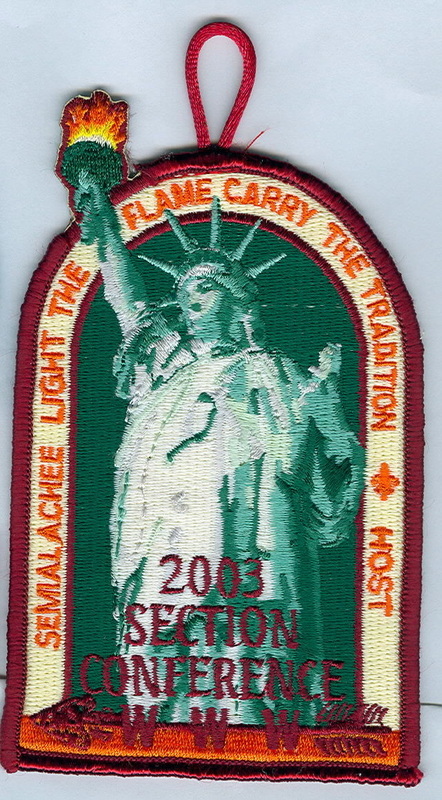 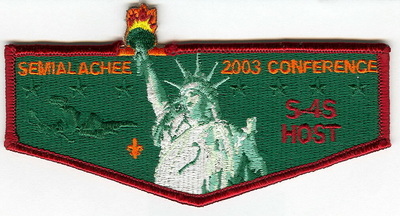 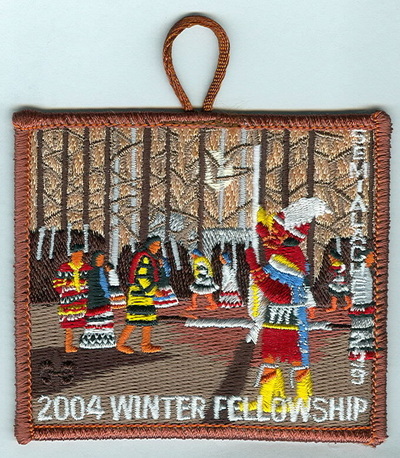 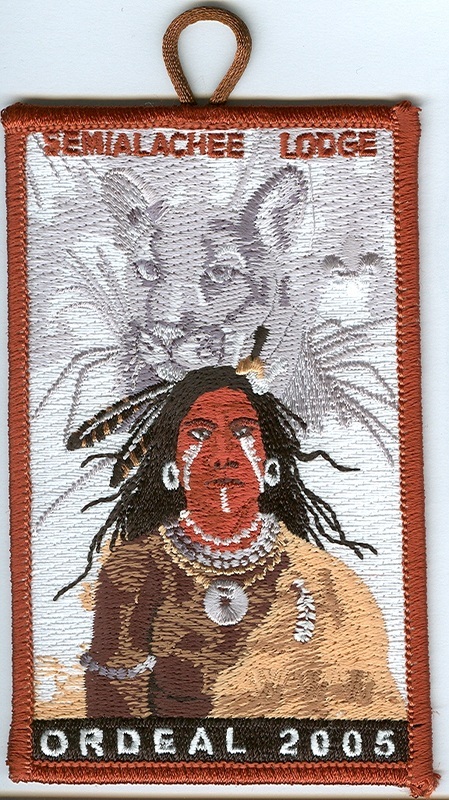 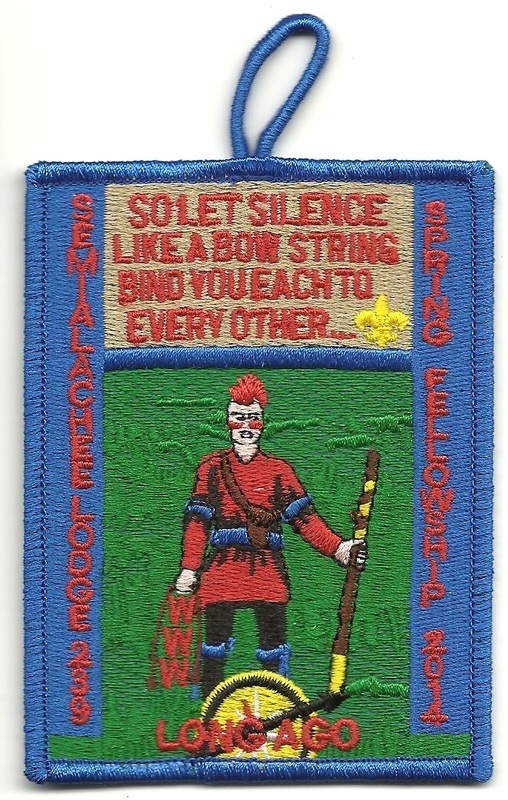 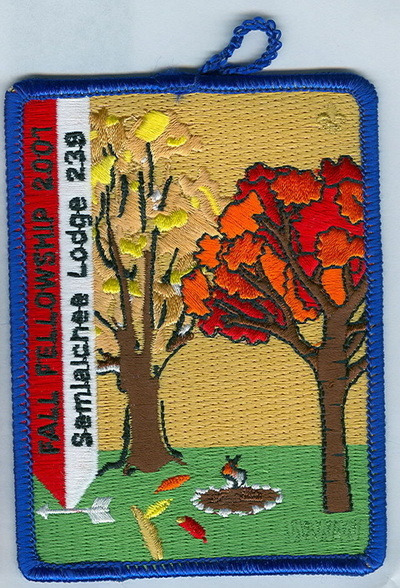 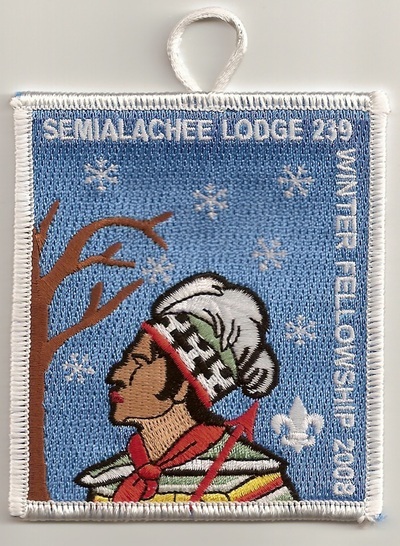 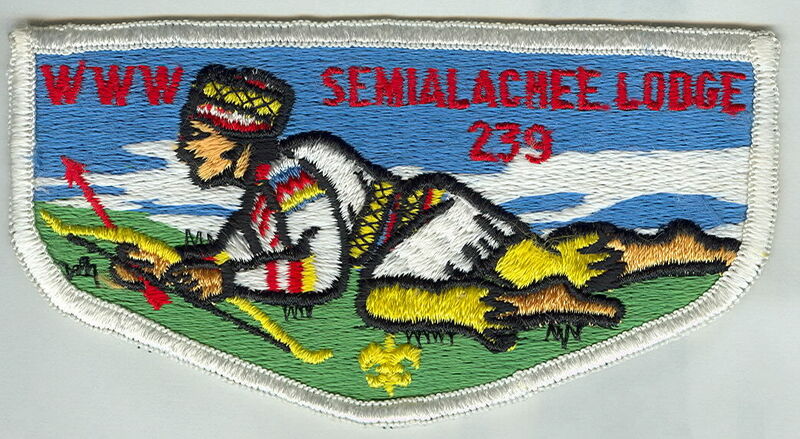 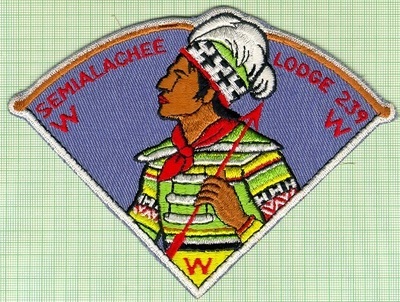 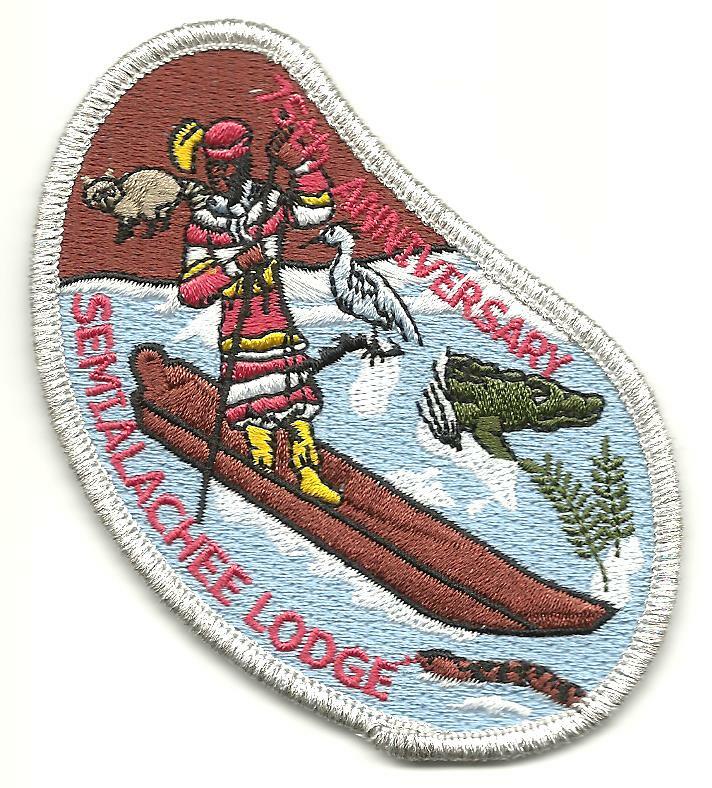 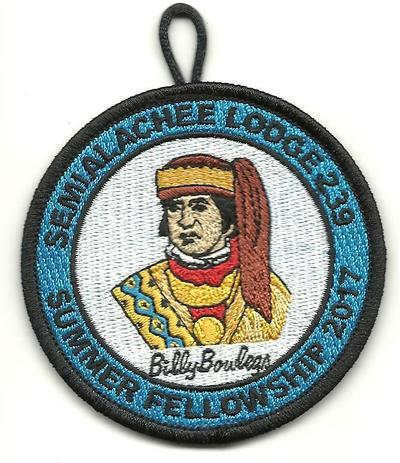 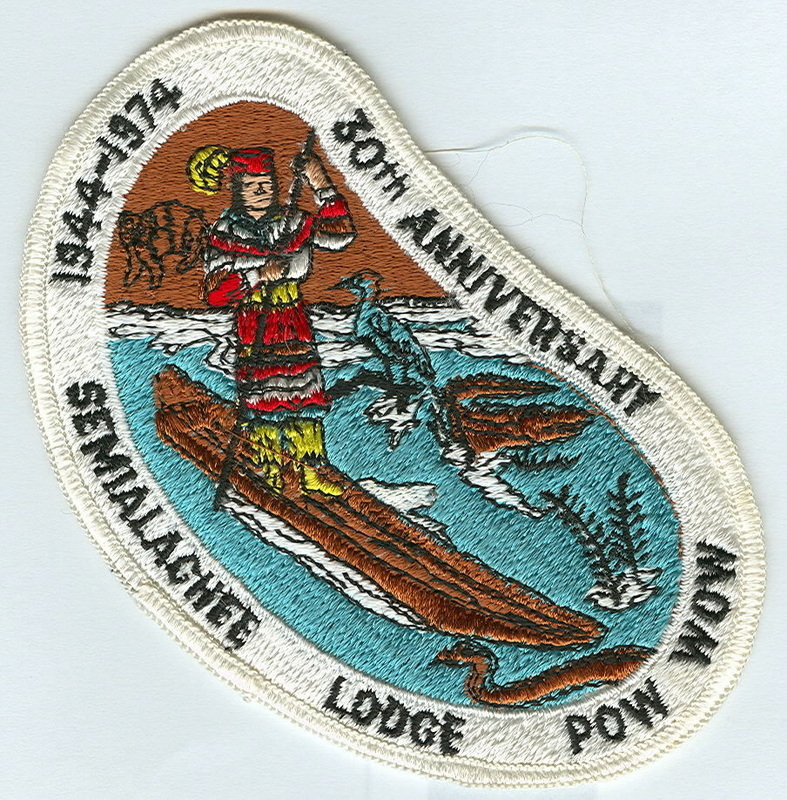 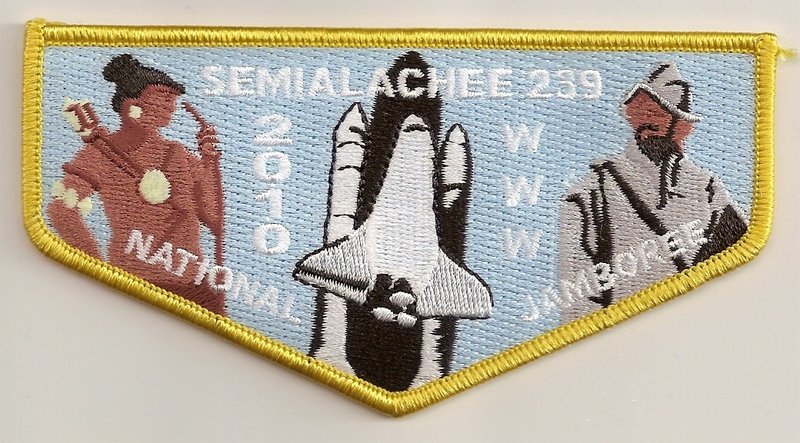 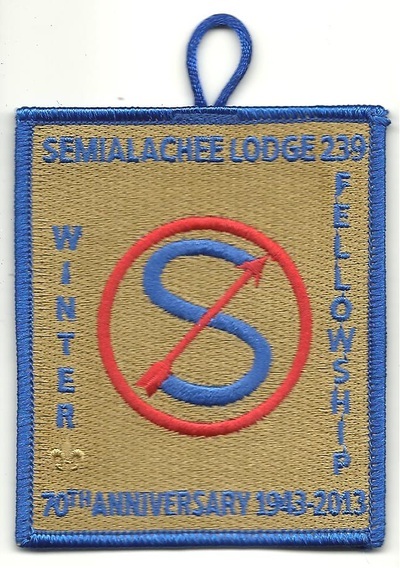 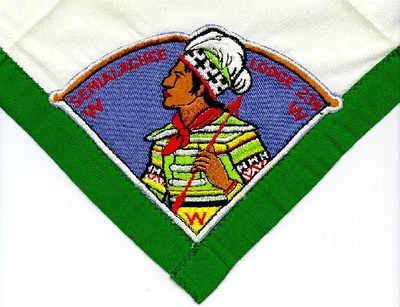 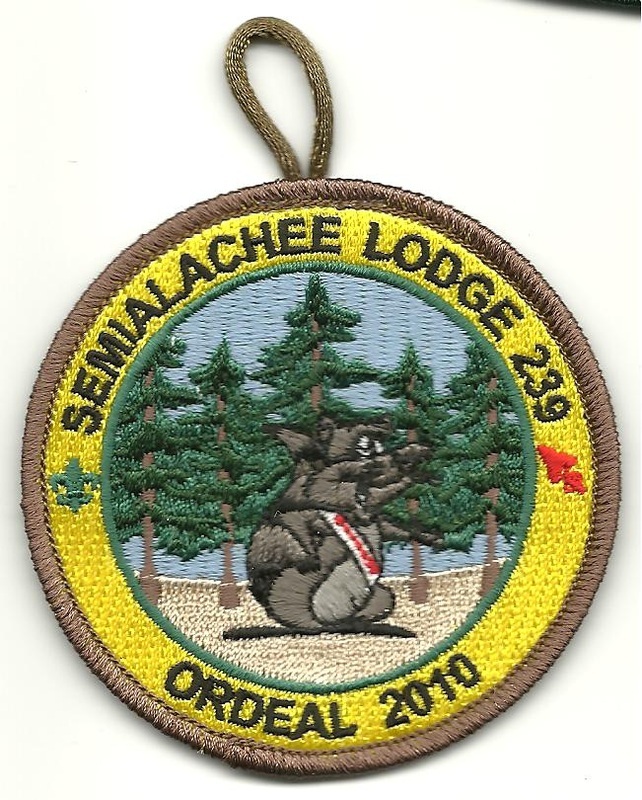 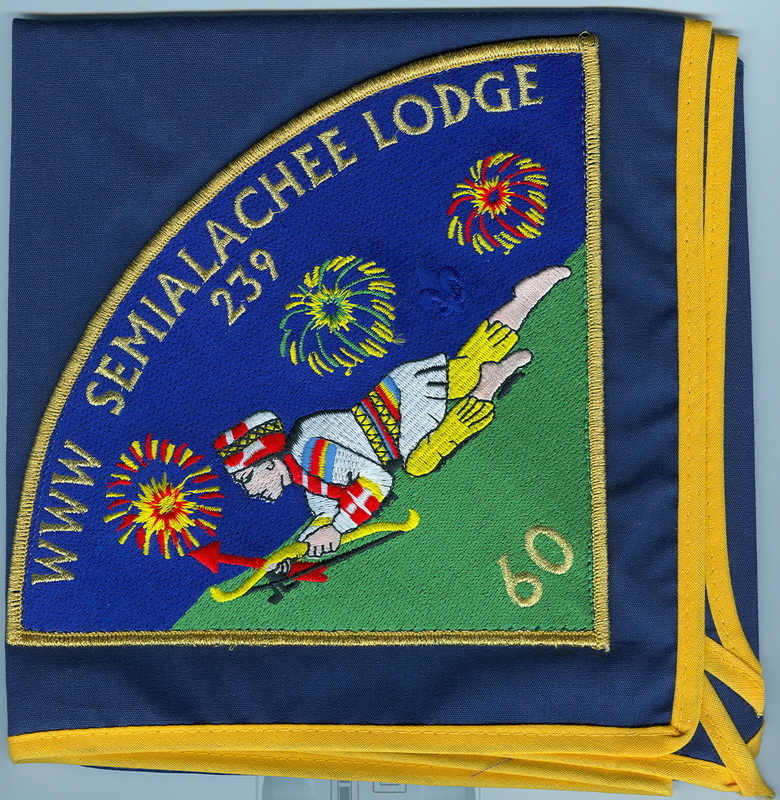 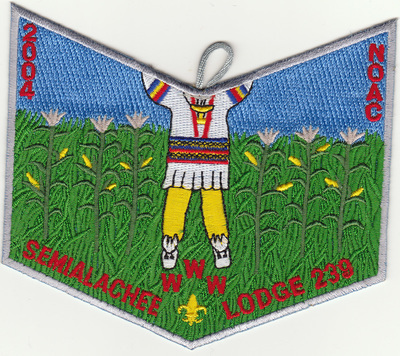 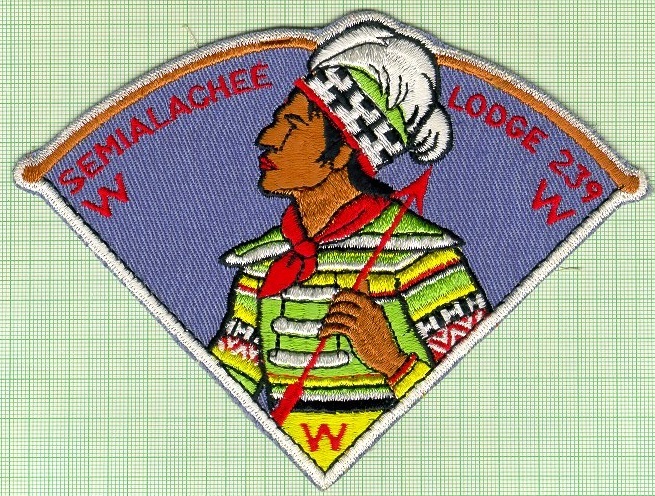 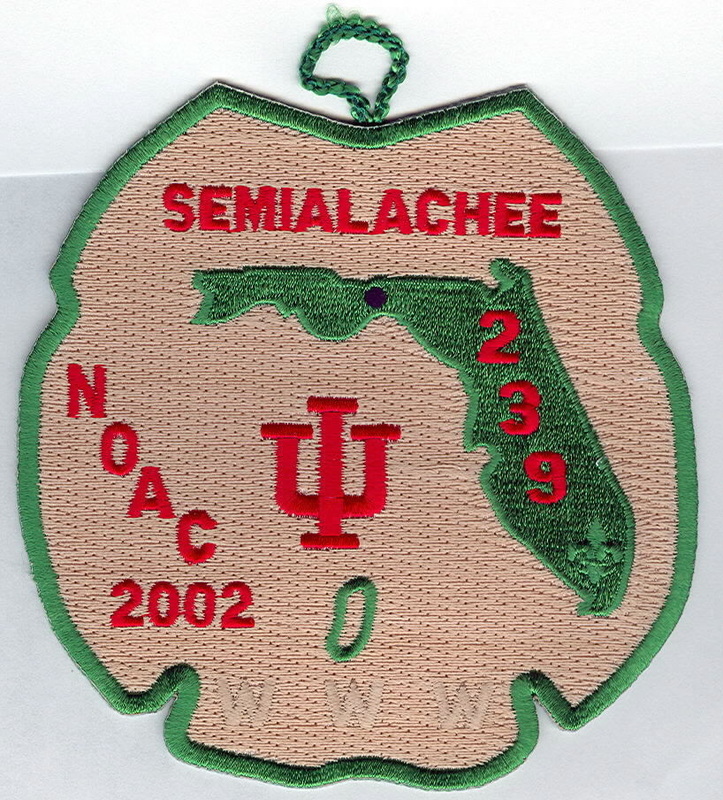 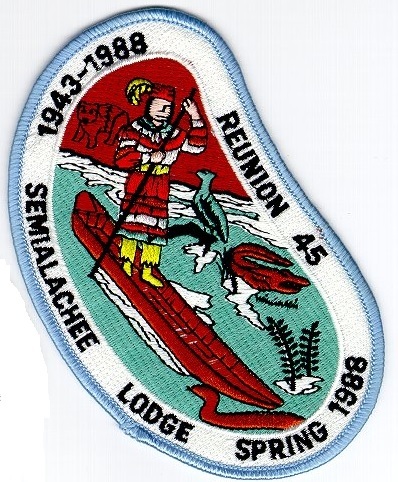 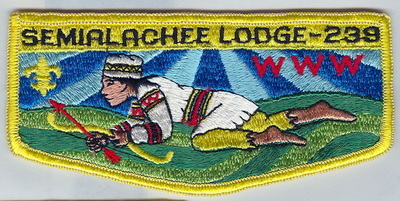 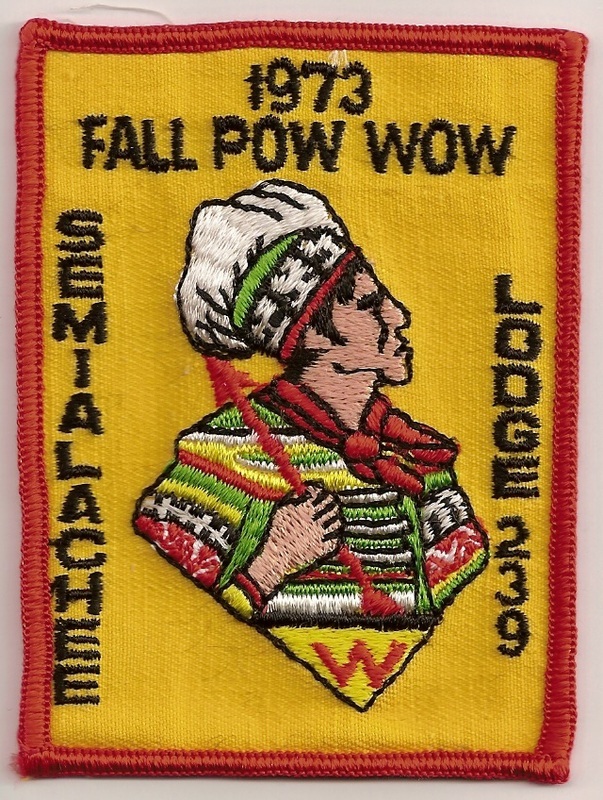 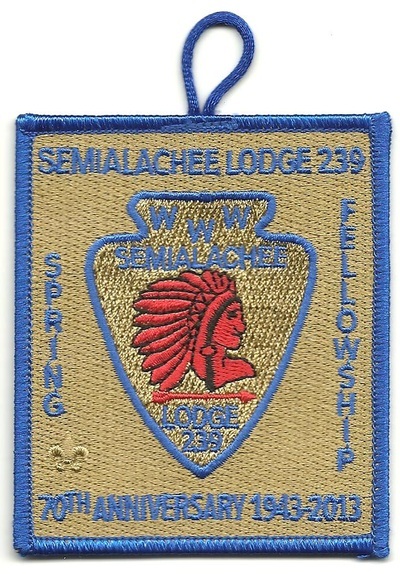 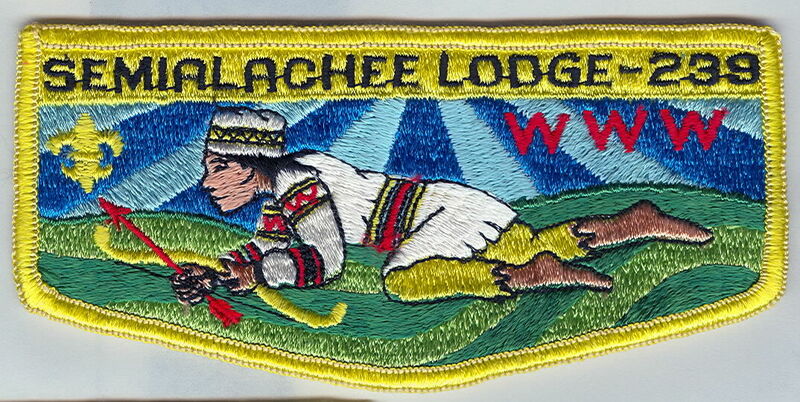 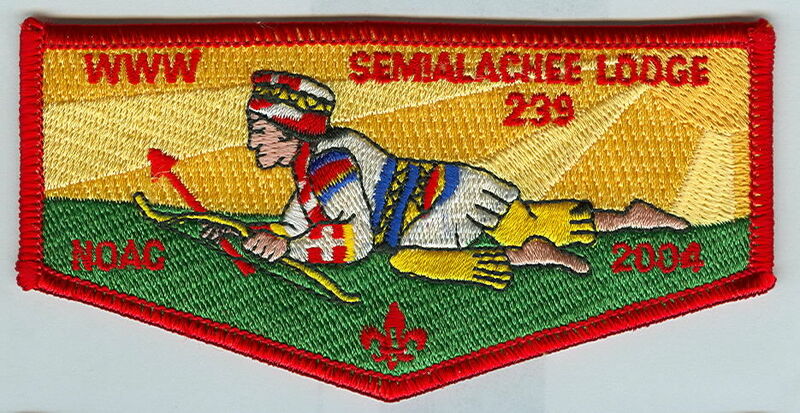 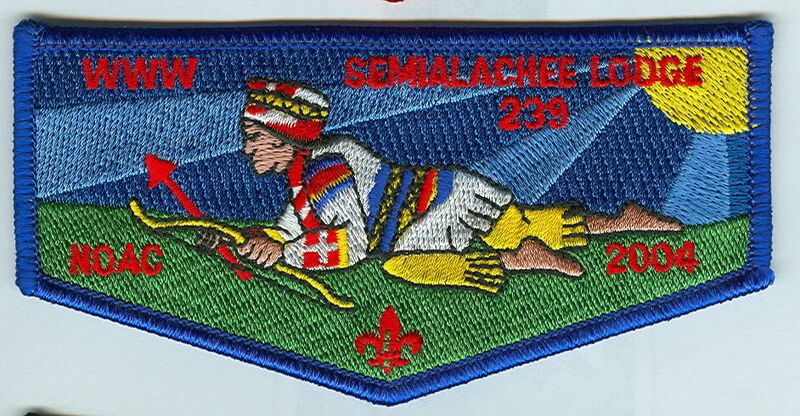 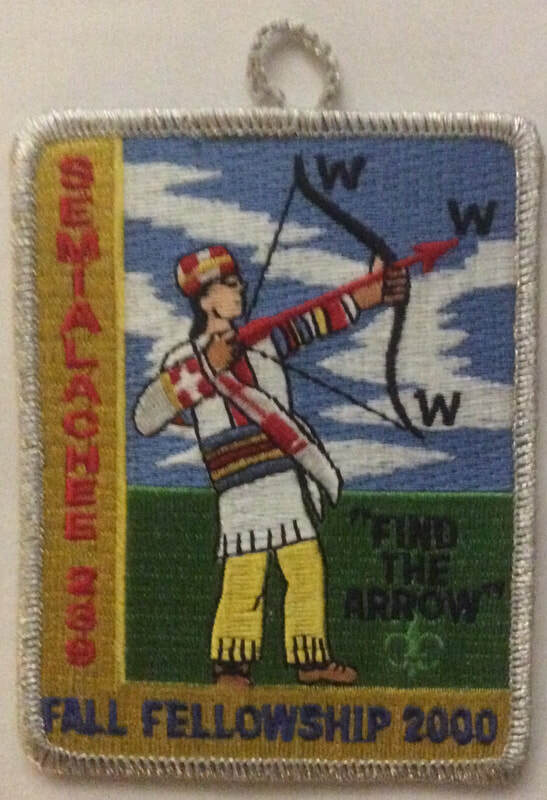 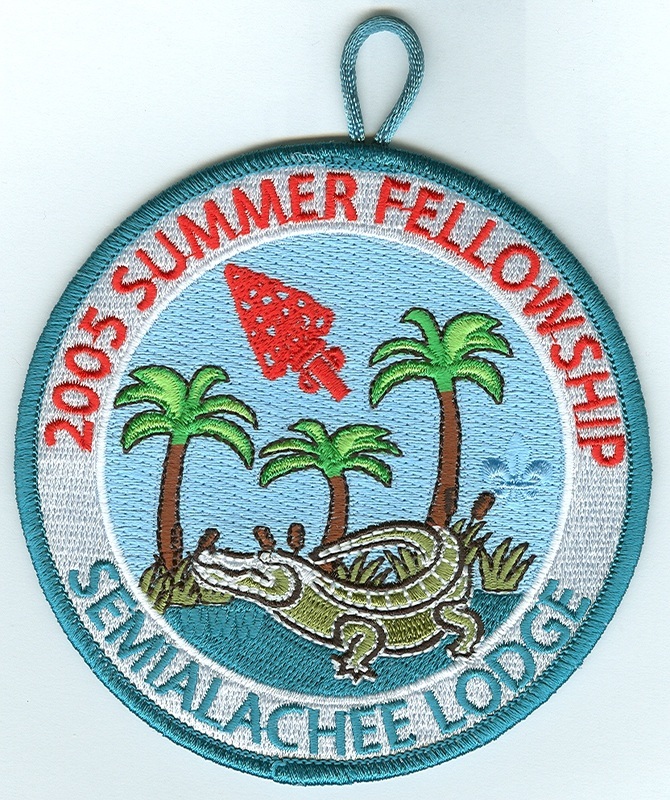 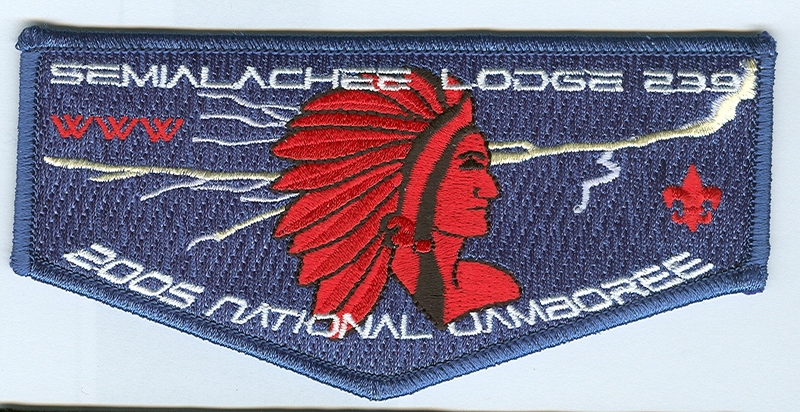 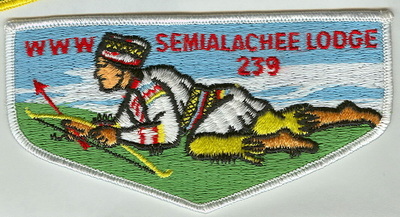 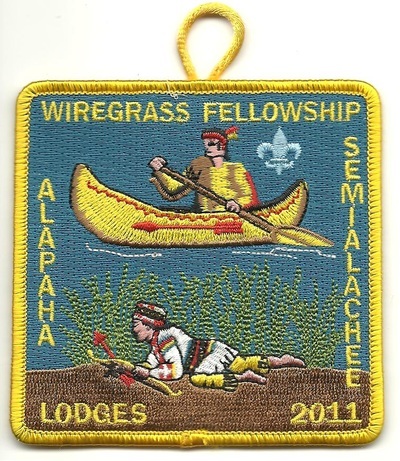 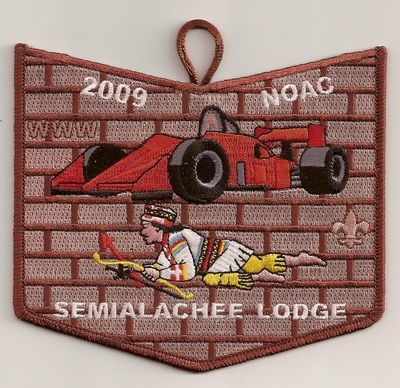 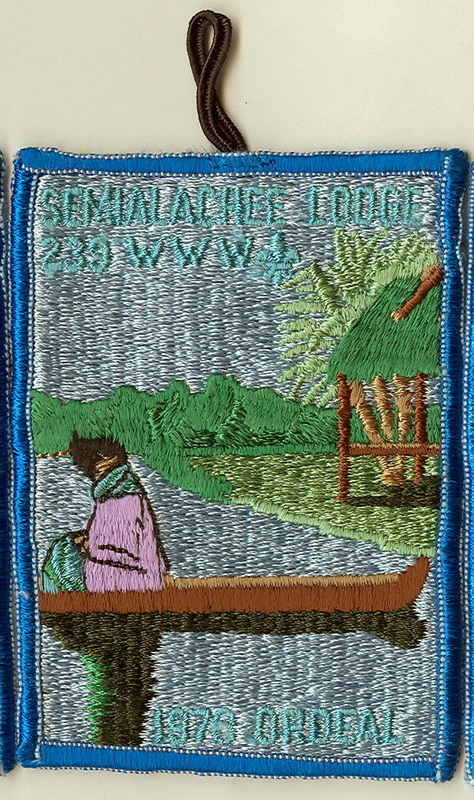 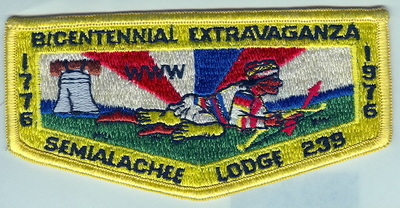 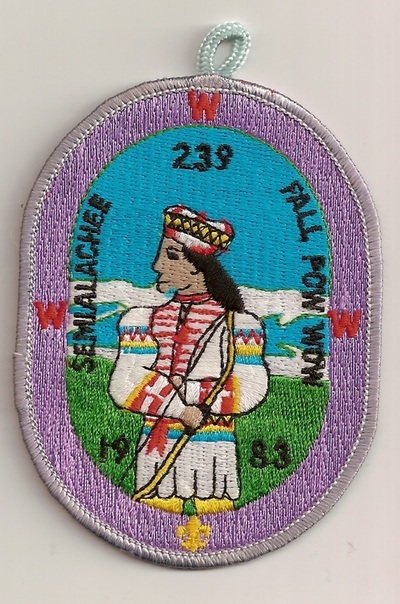 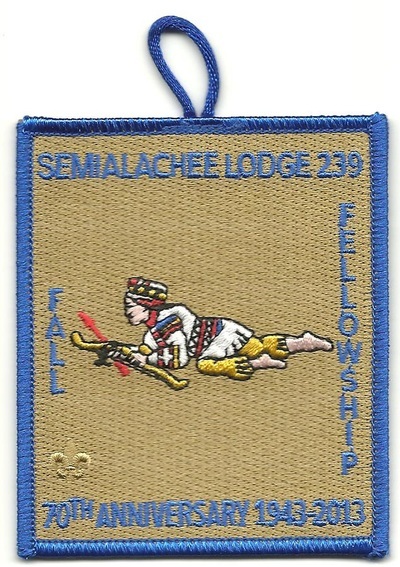 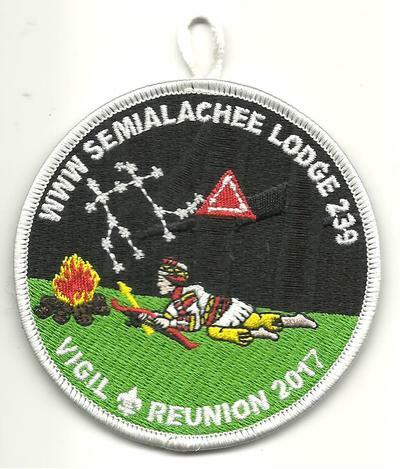 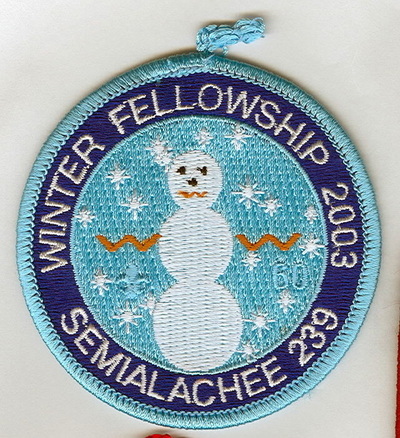 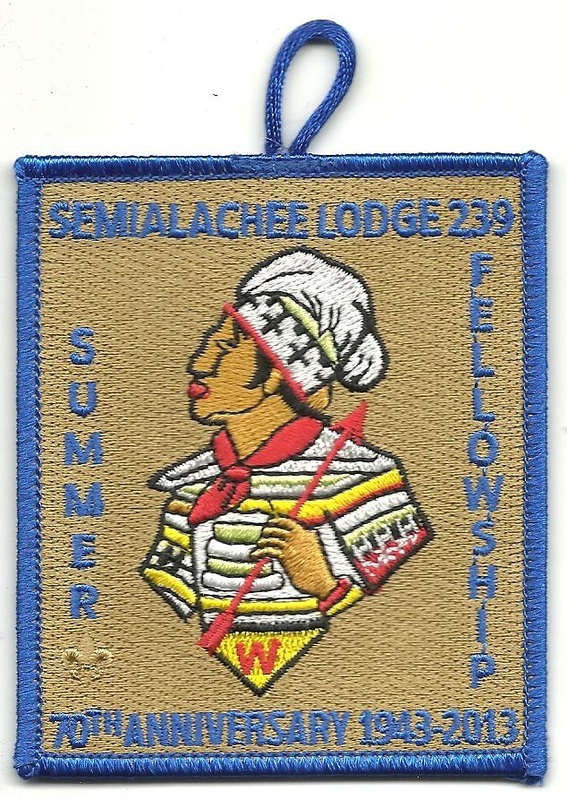 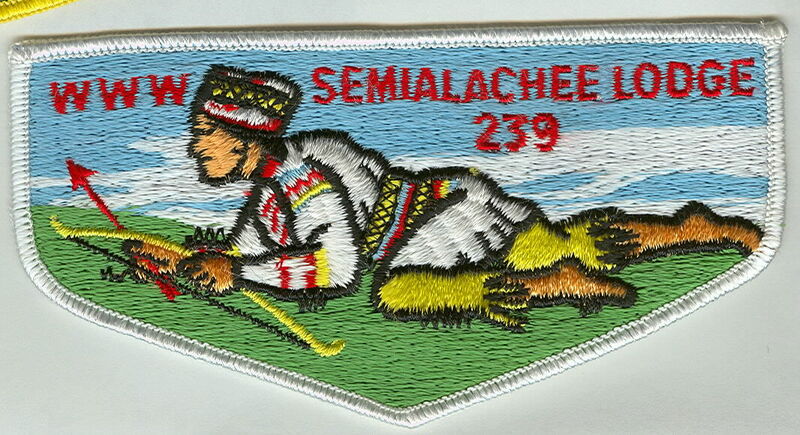 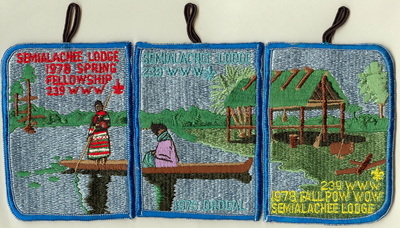 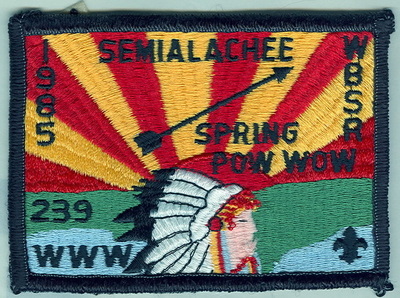 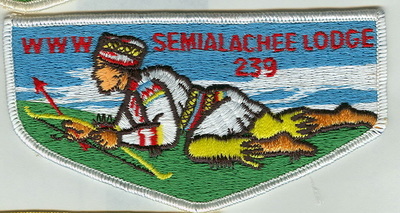 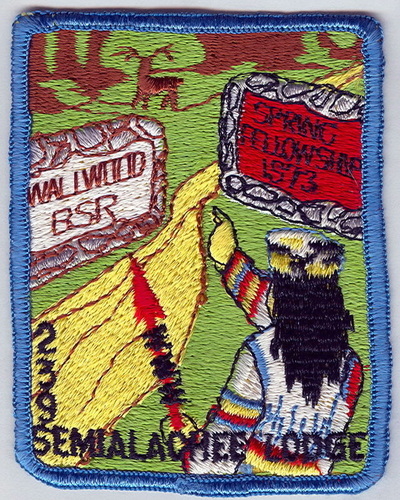 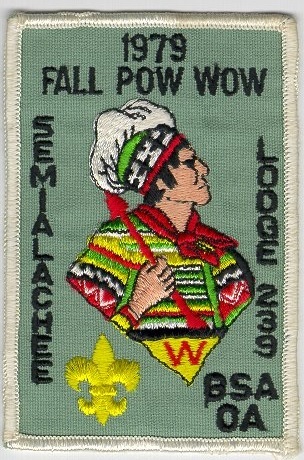 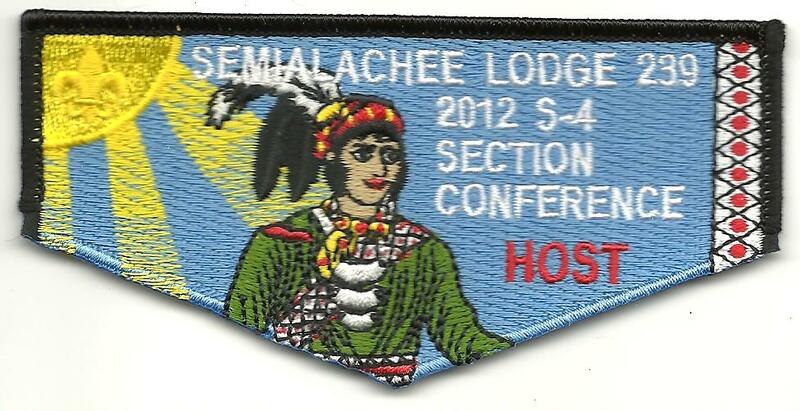 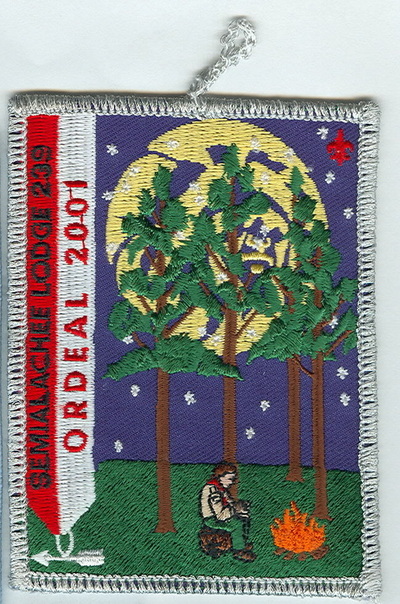 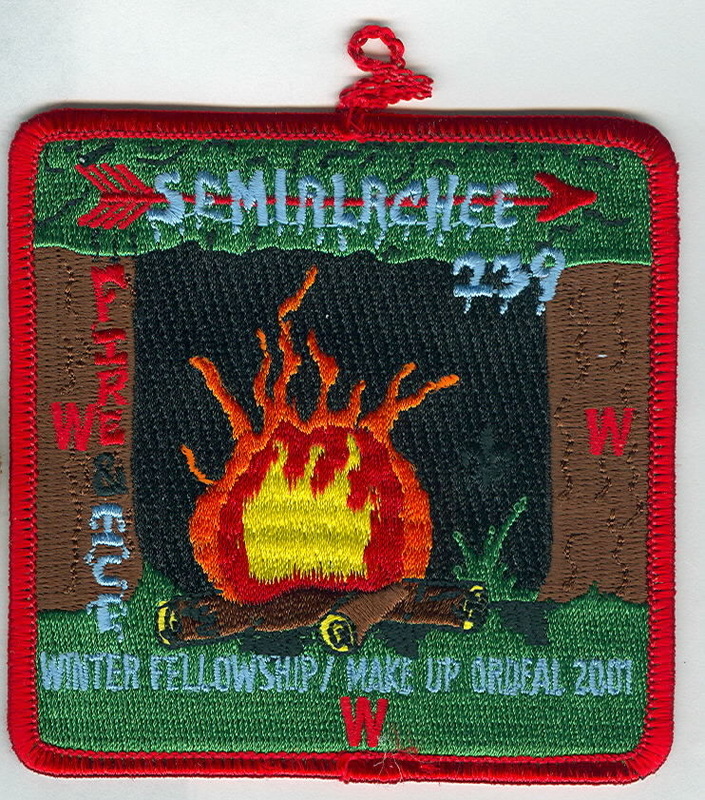 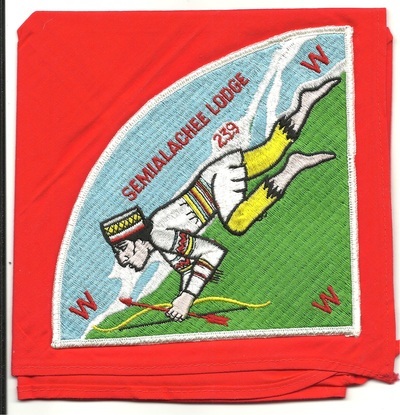 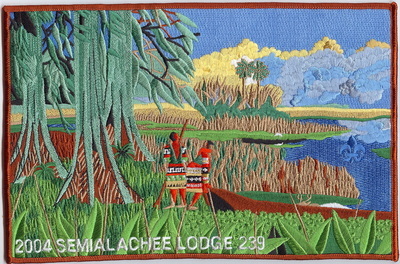 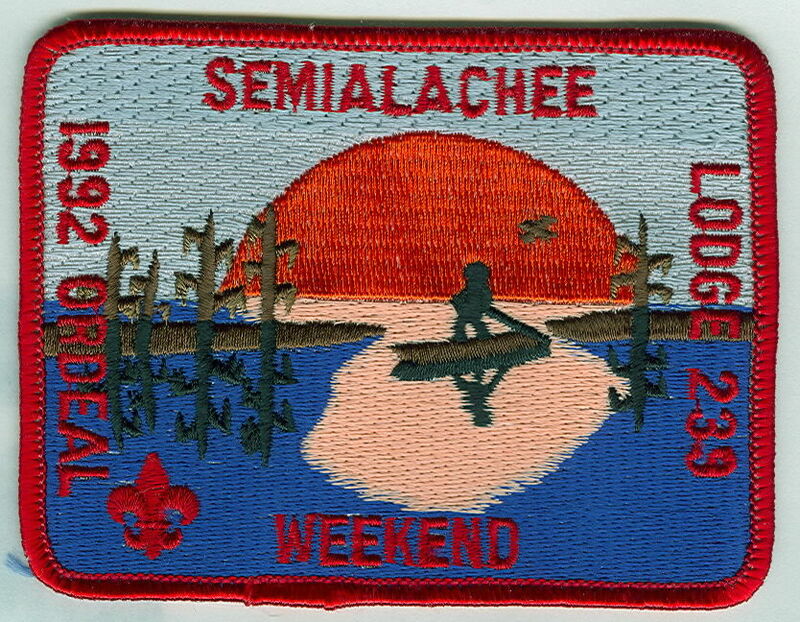 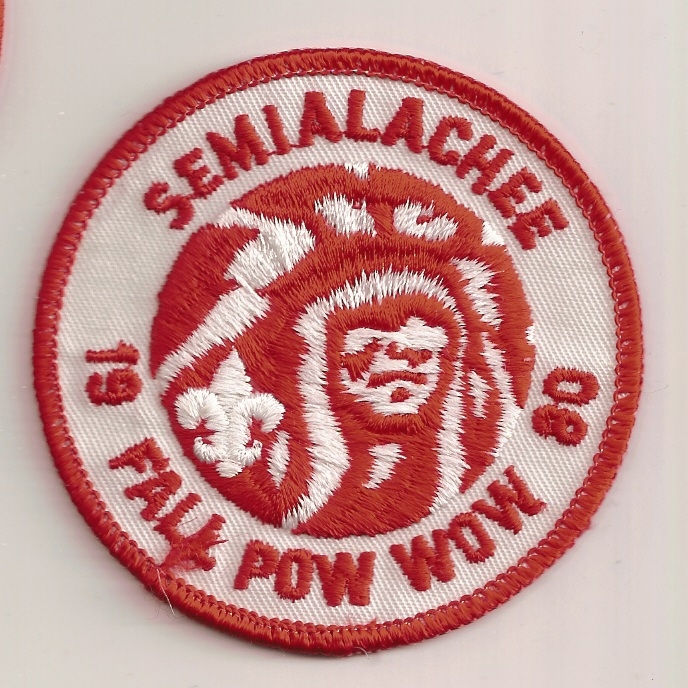 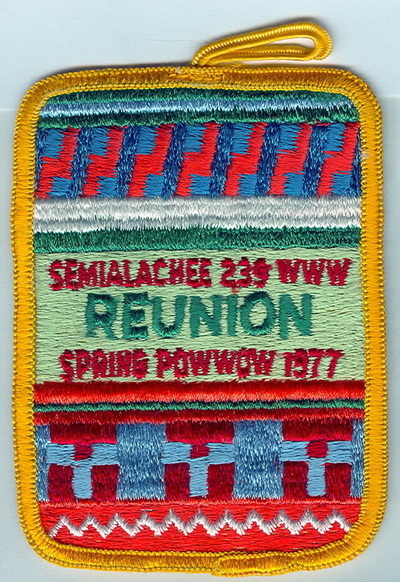 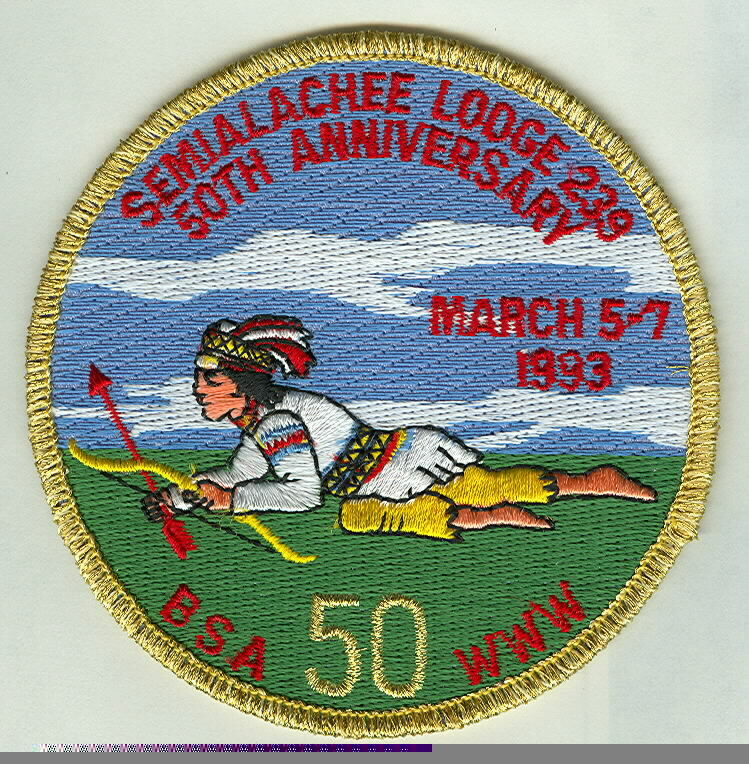 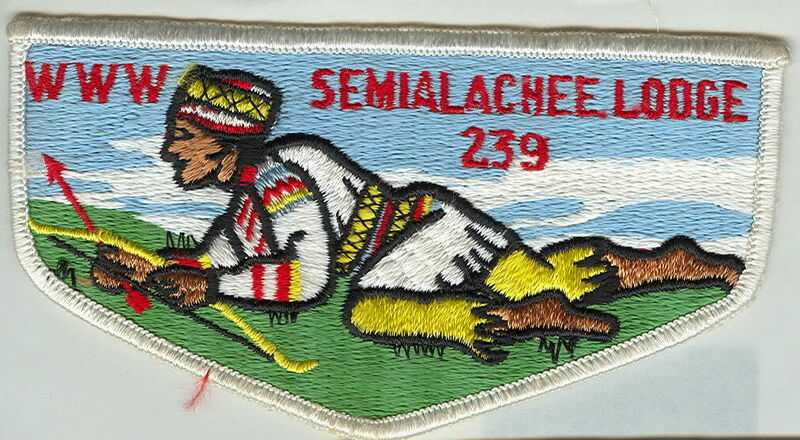 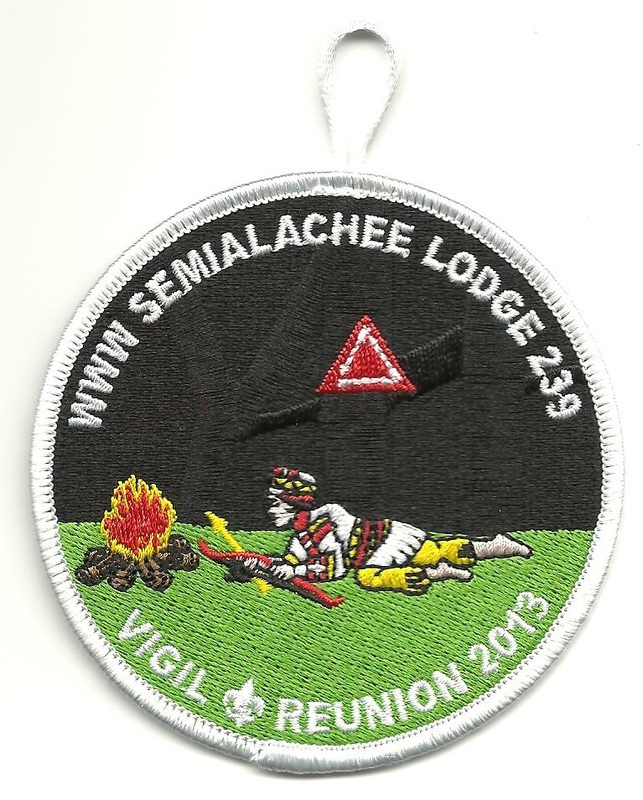 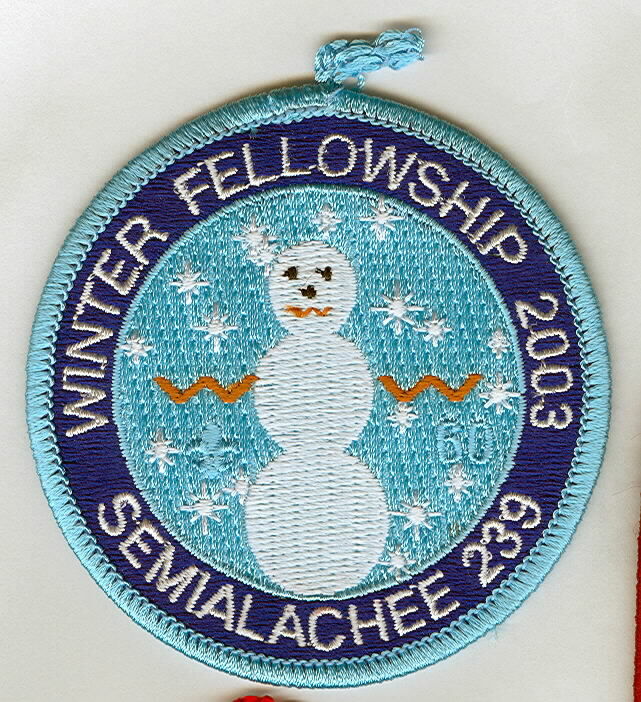 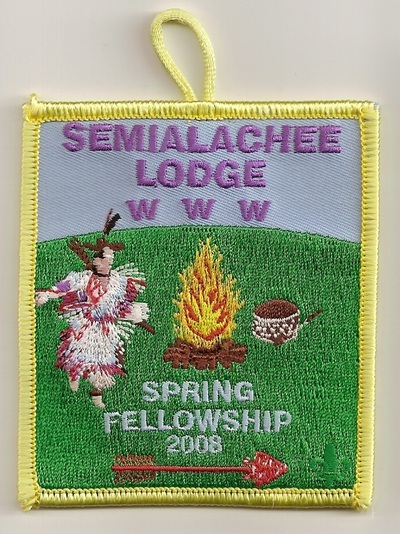 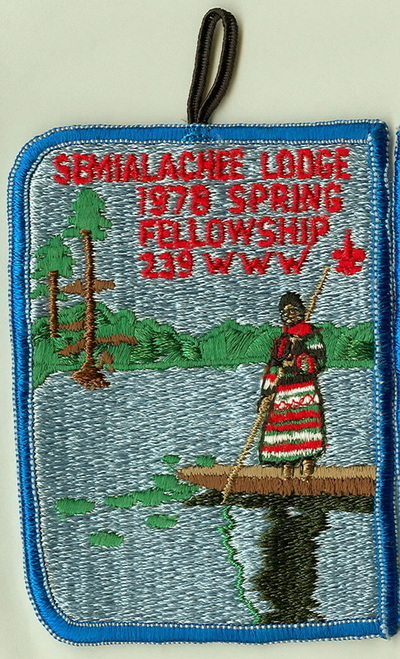 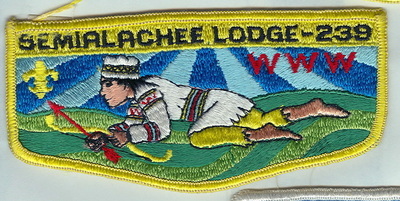 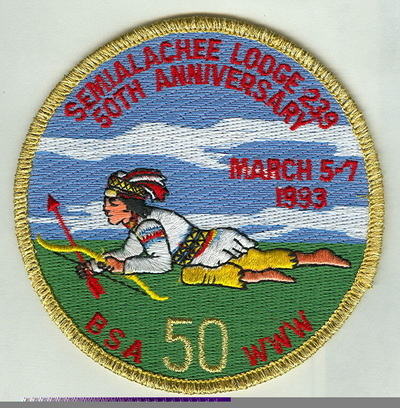 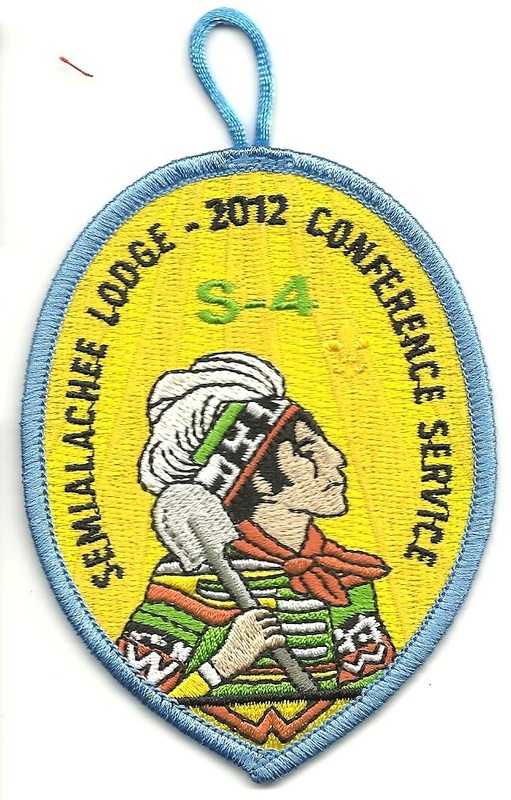 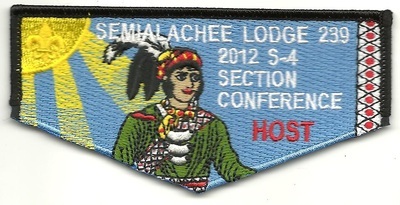 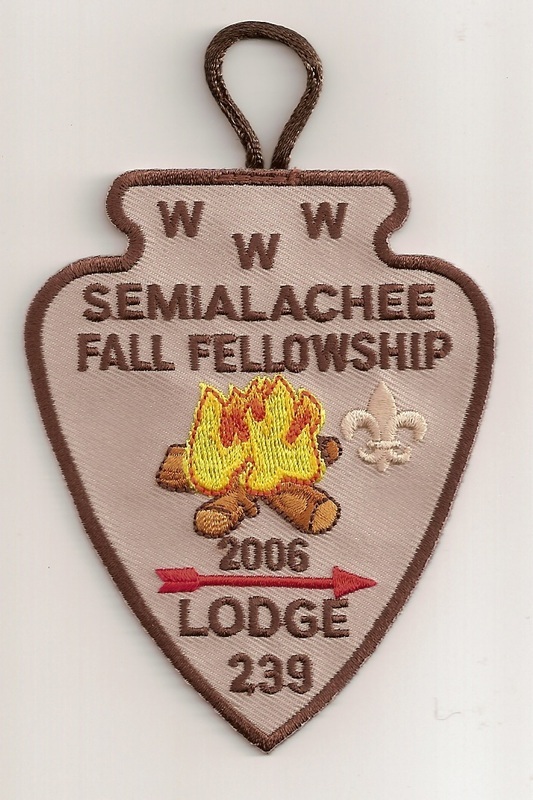 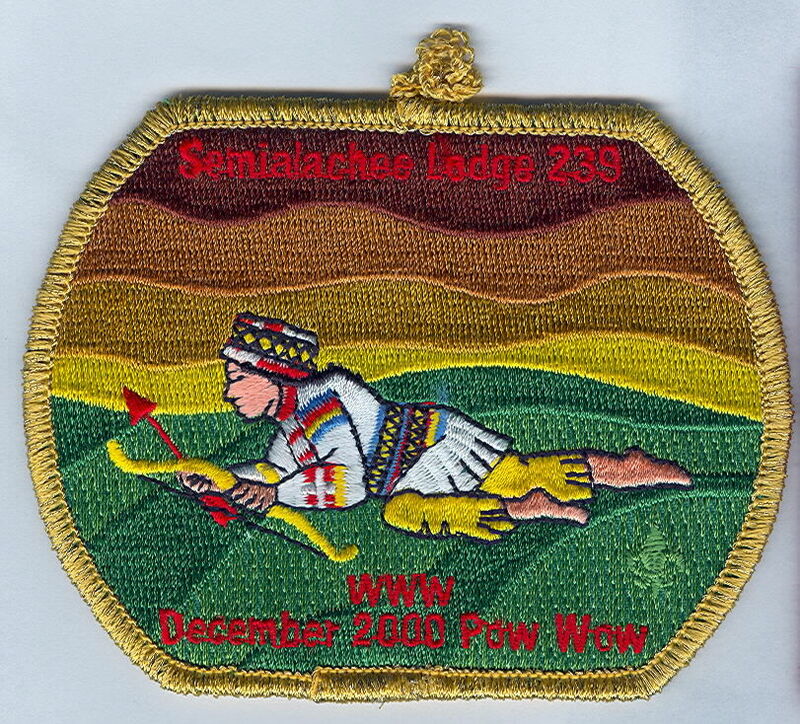 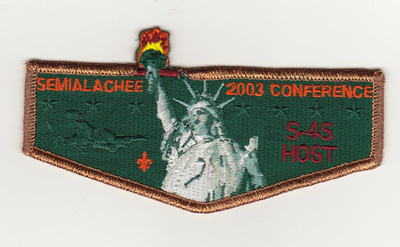 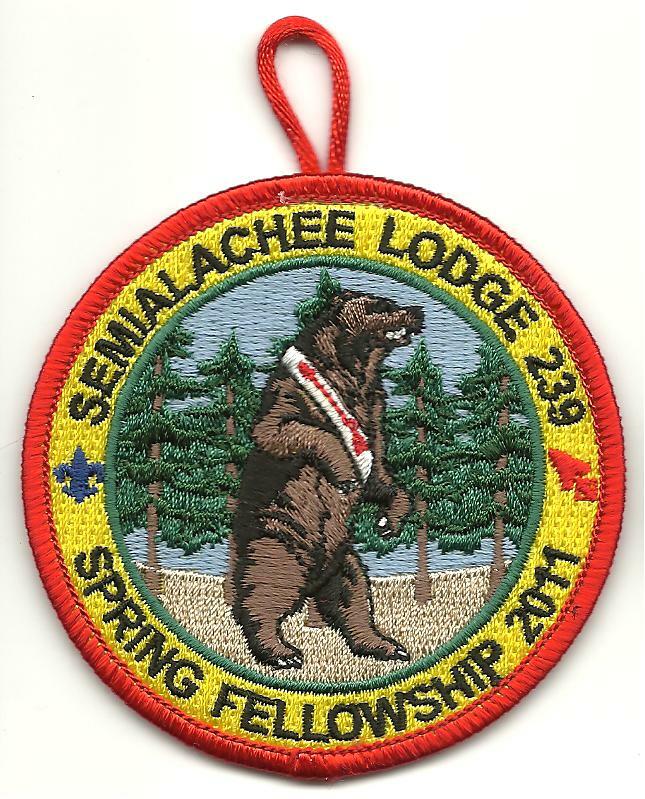 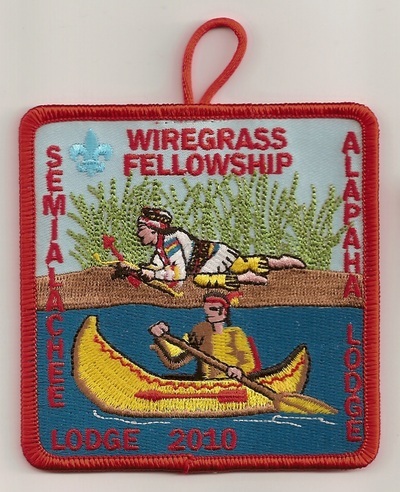 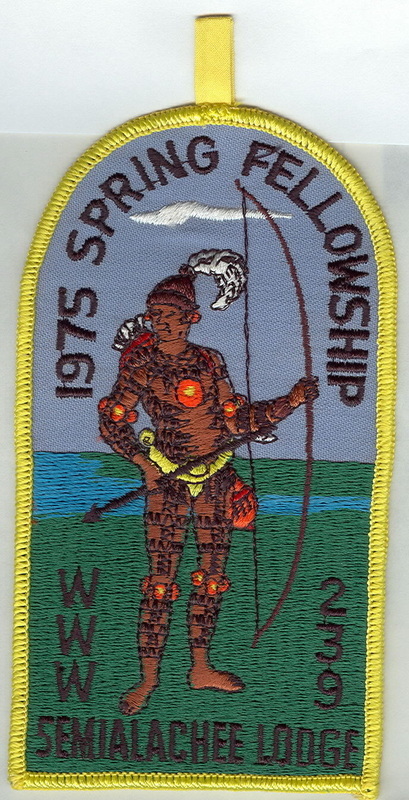 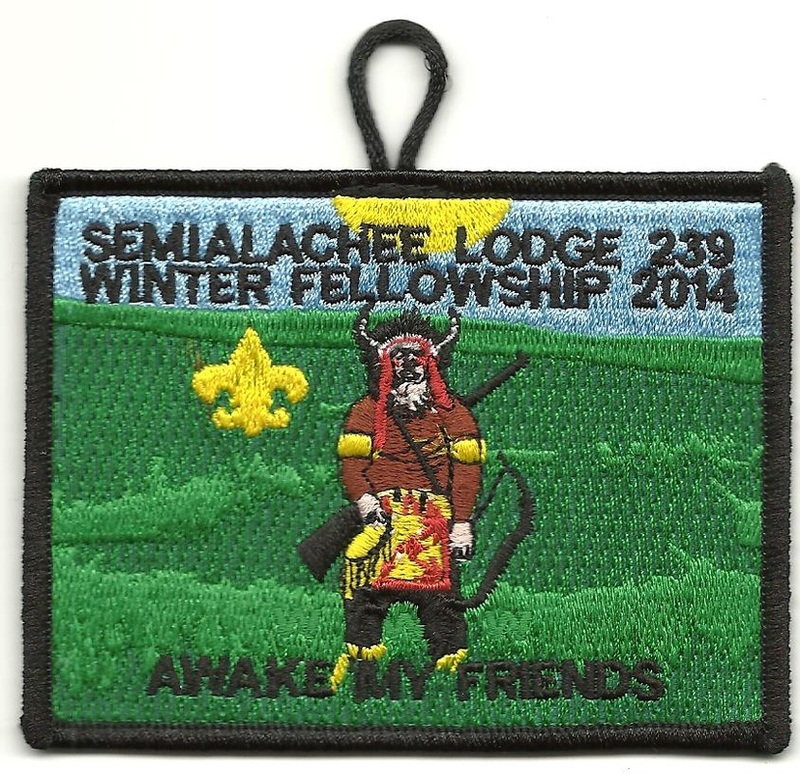 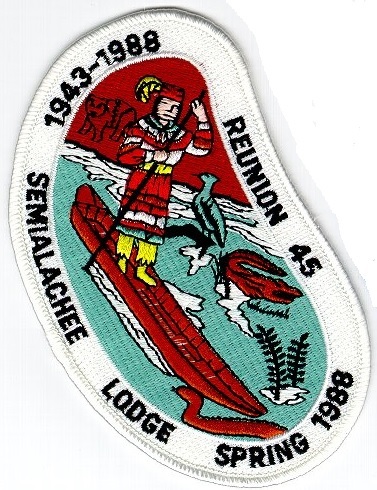 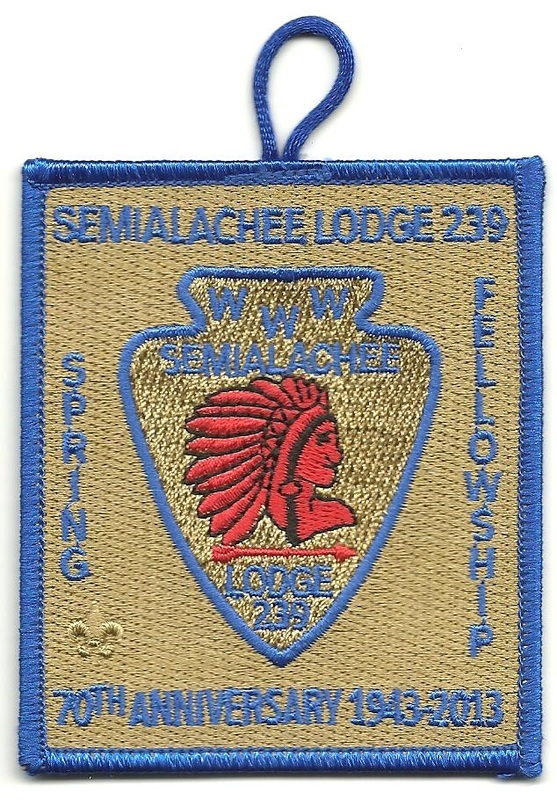 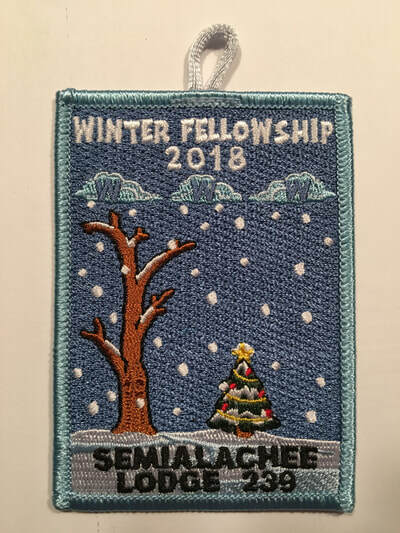 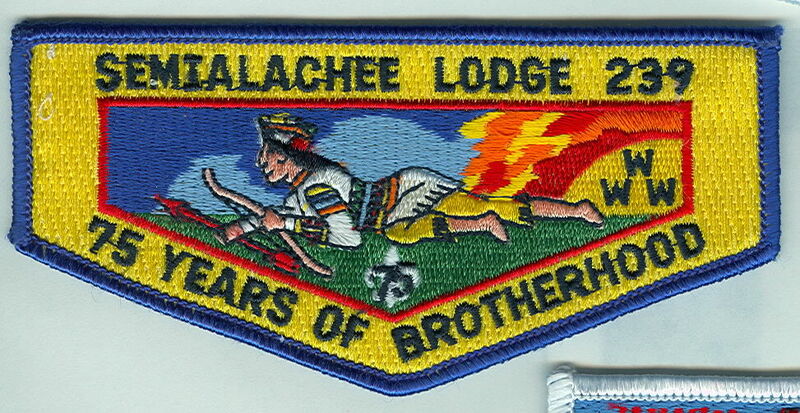 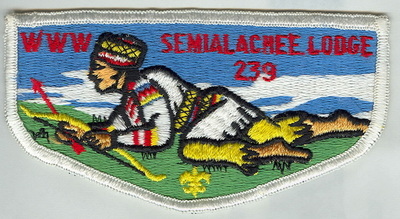 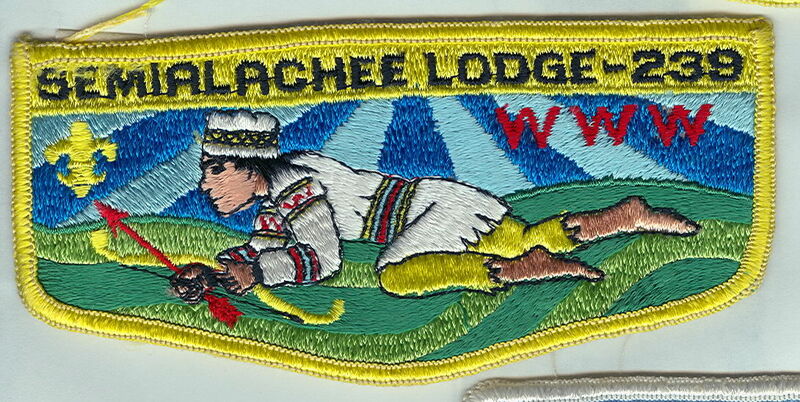 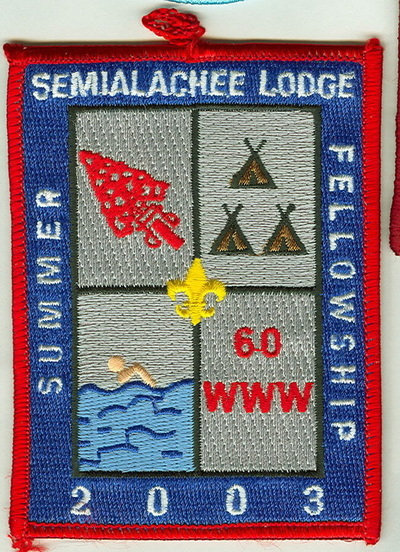 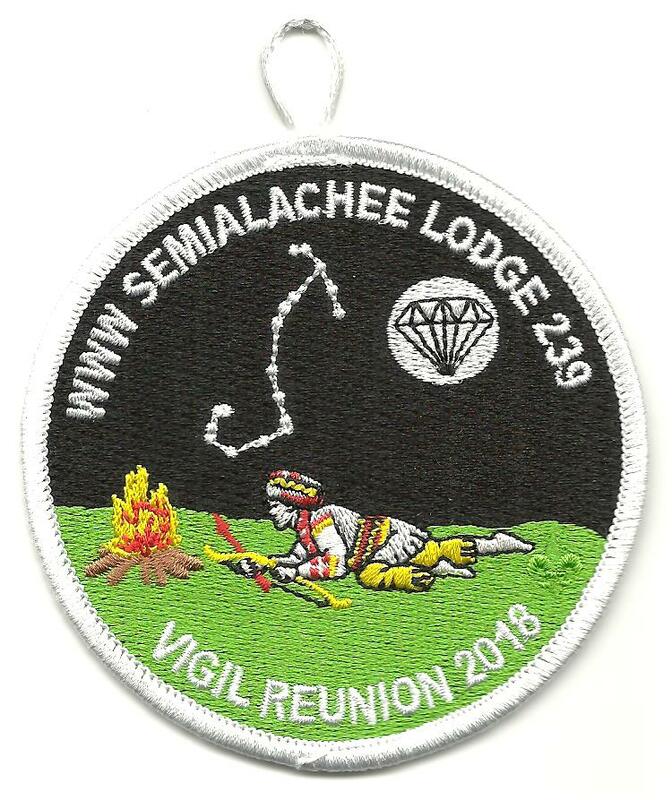 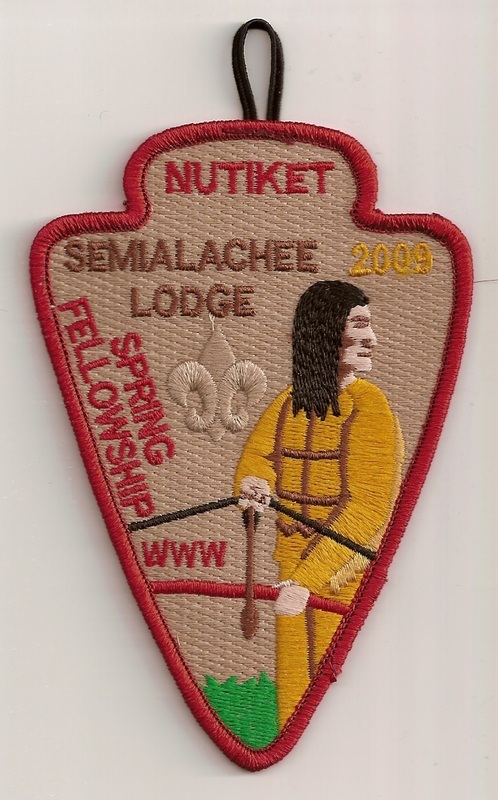 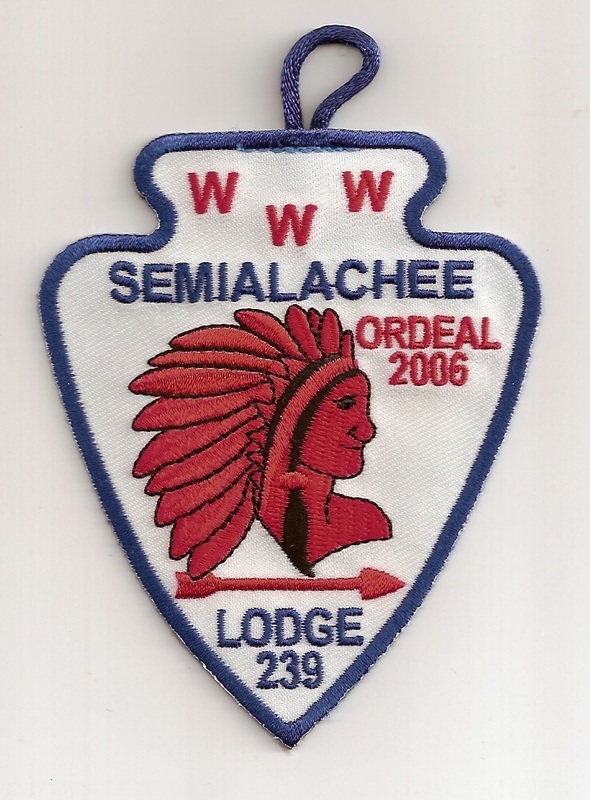 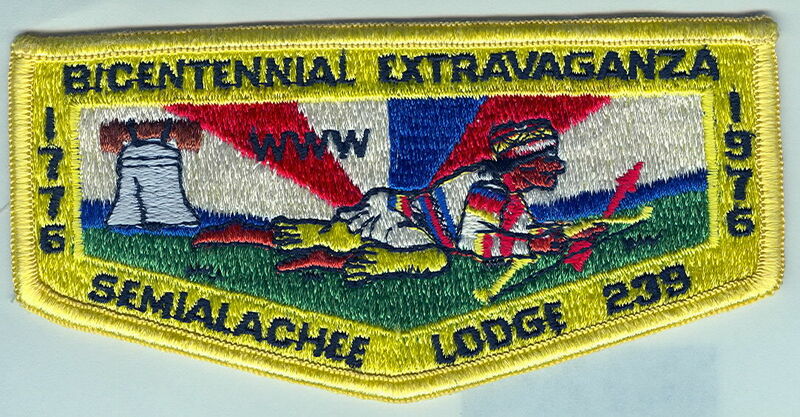 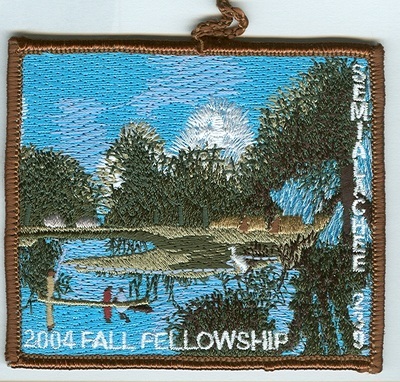 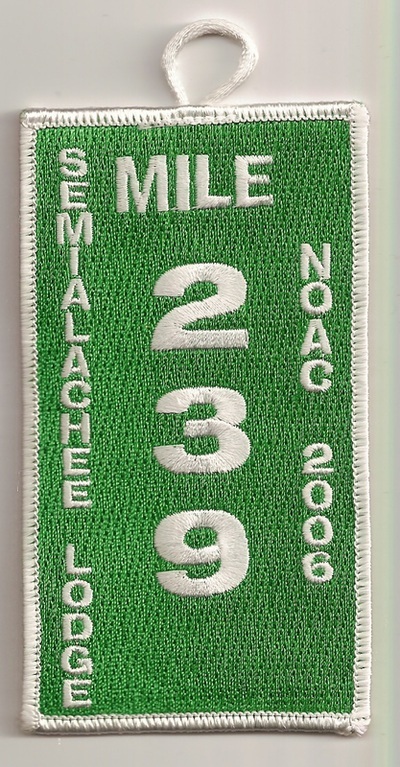 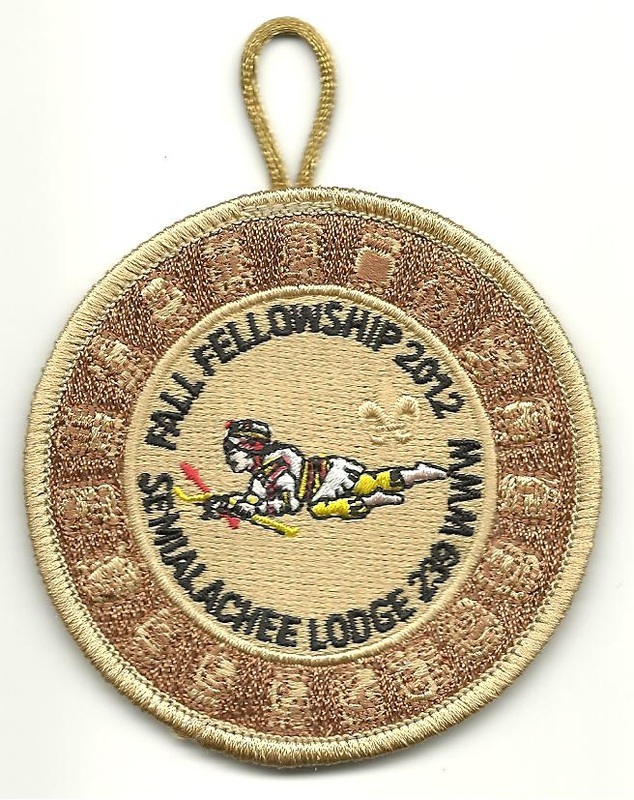 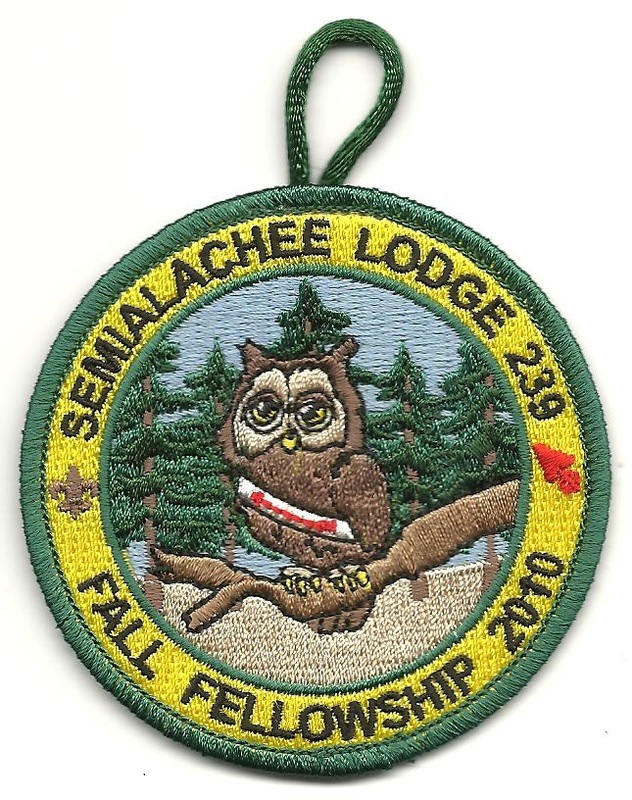 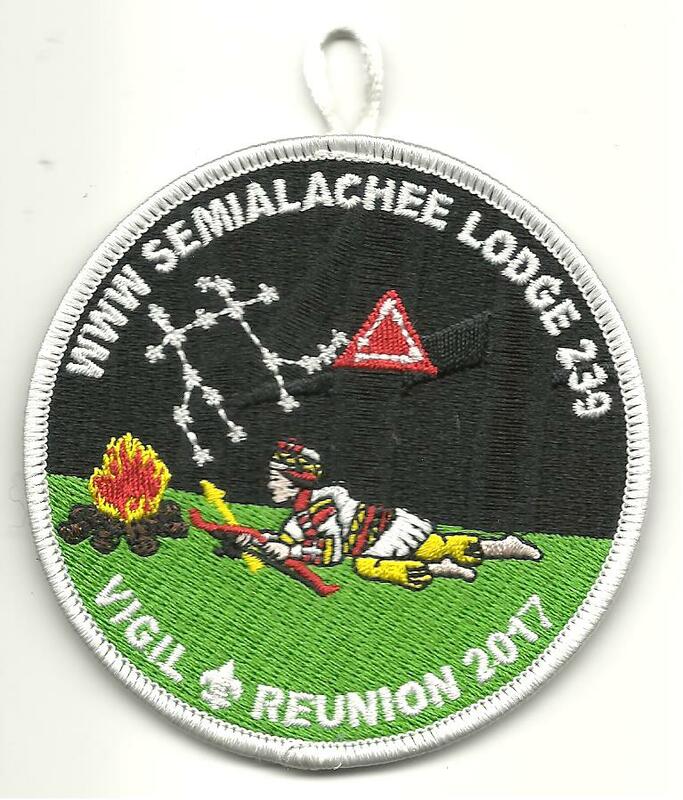 Name changed to Semialachee Lodge in 1948. 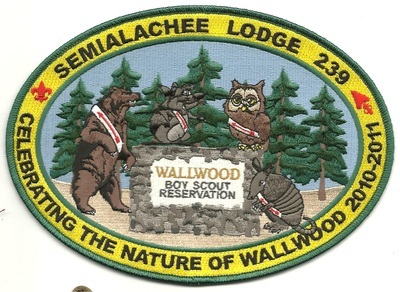 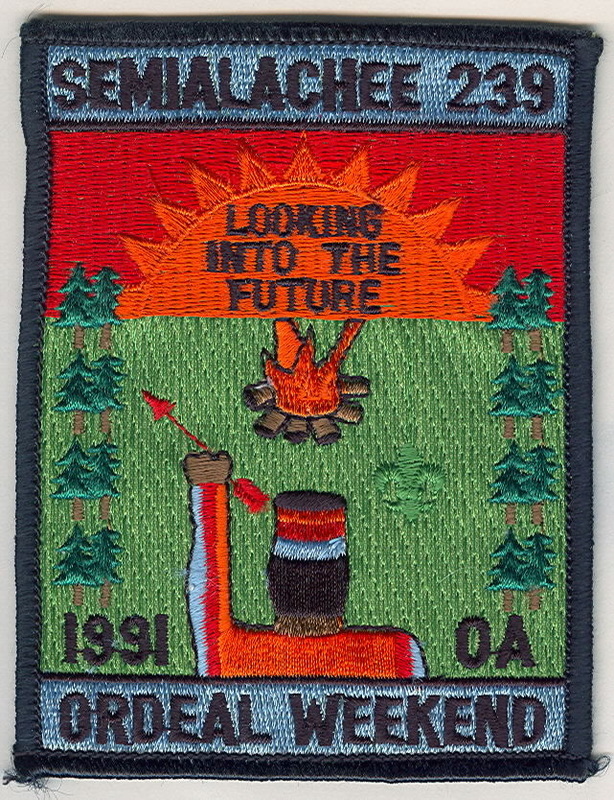 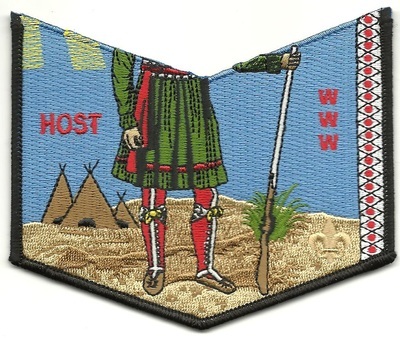 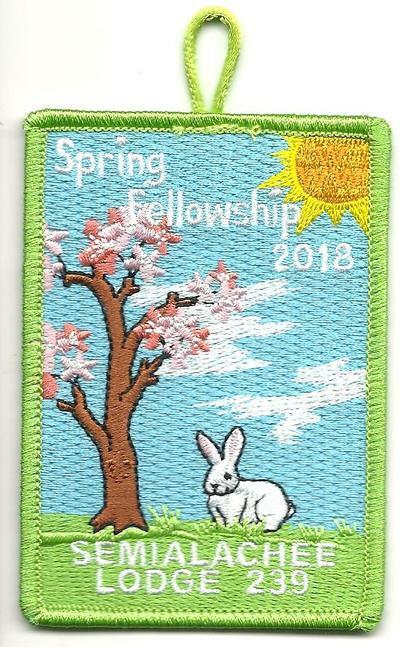 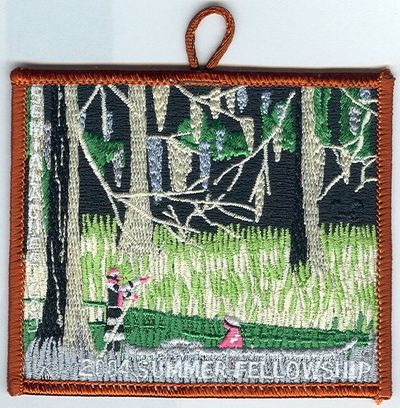 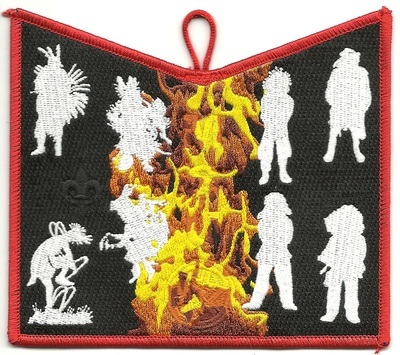 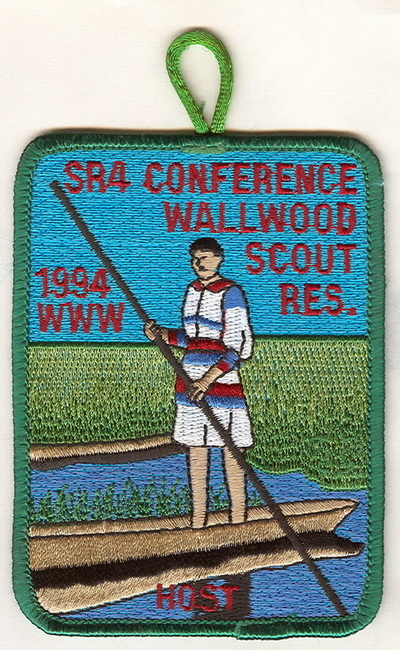 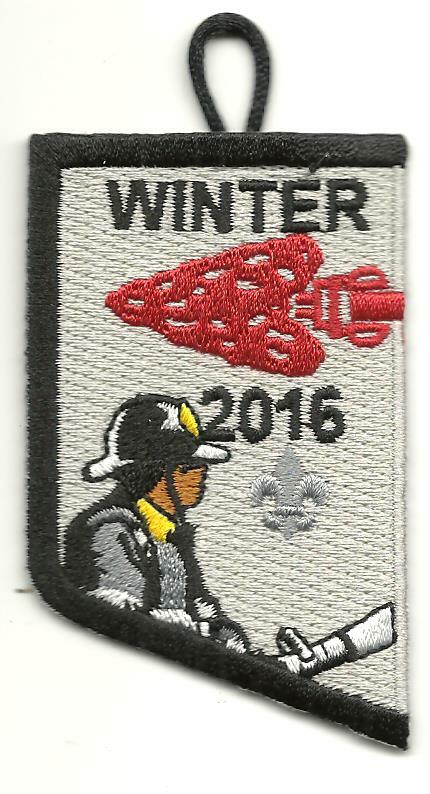 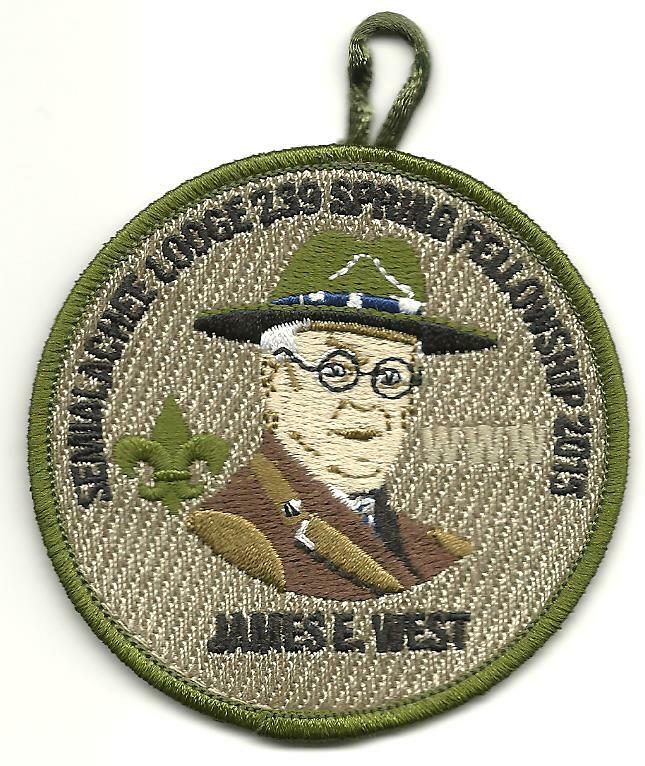 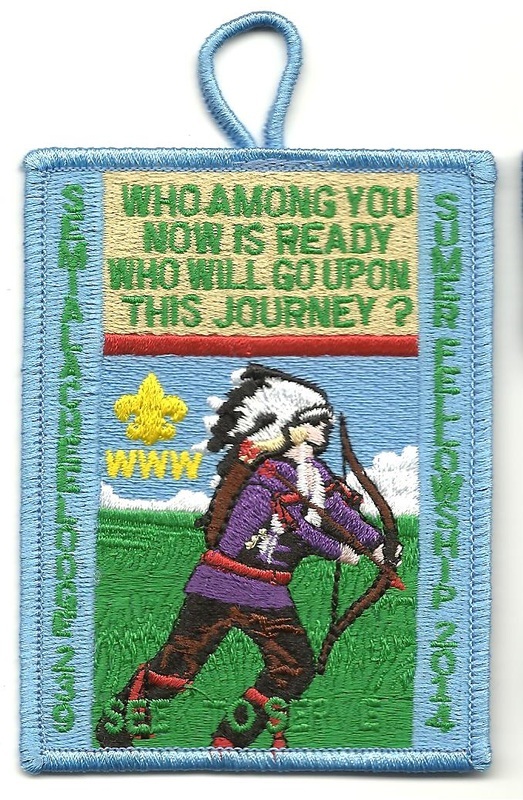 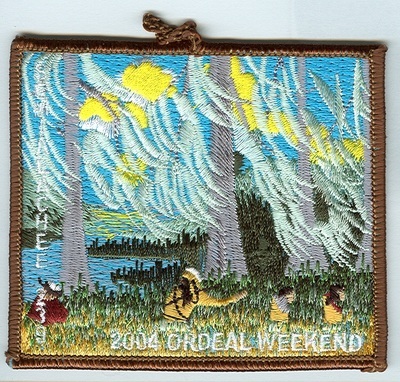 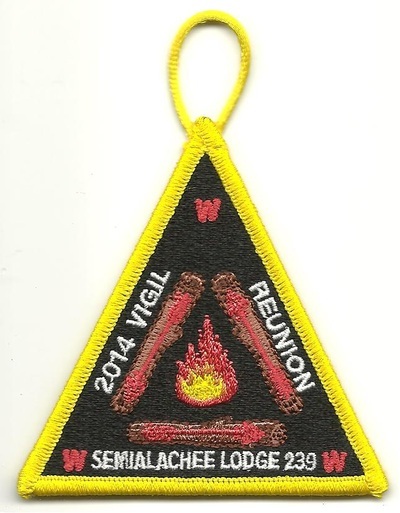 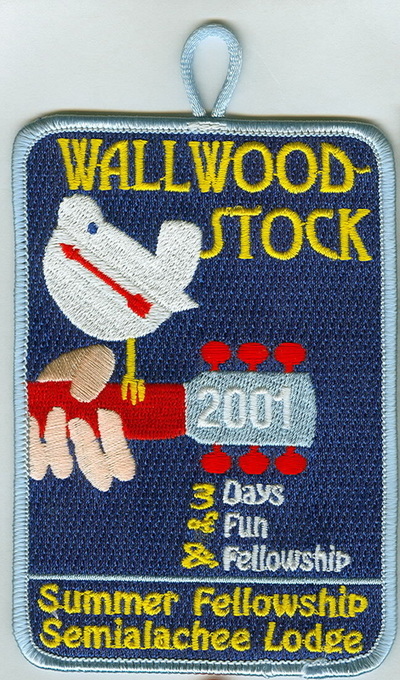 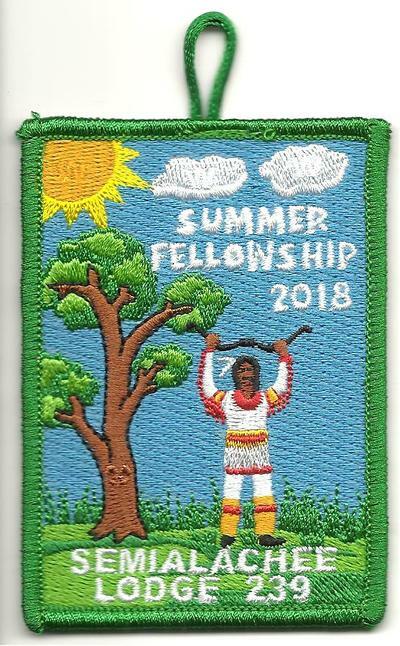 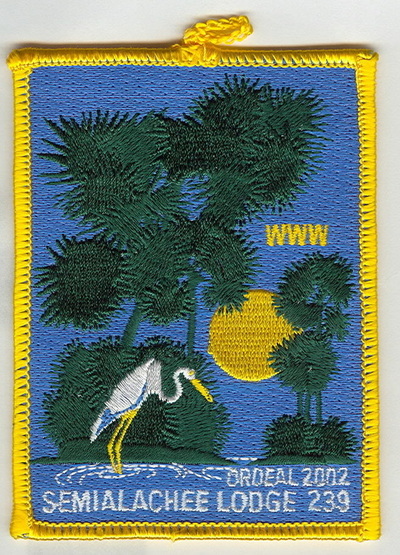 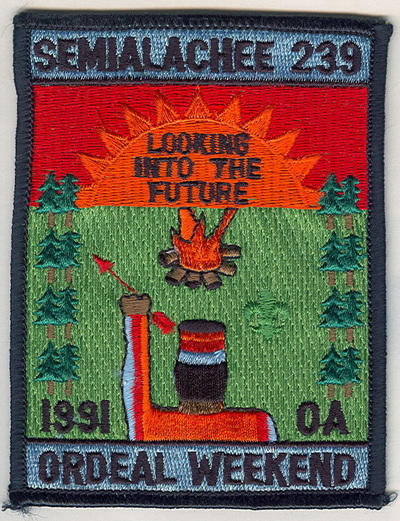 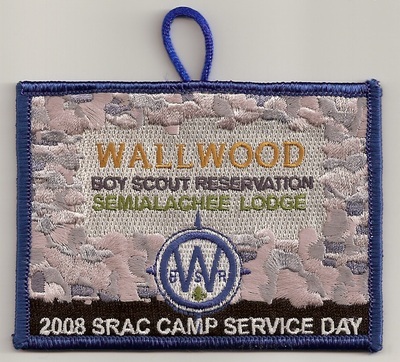 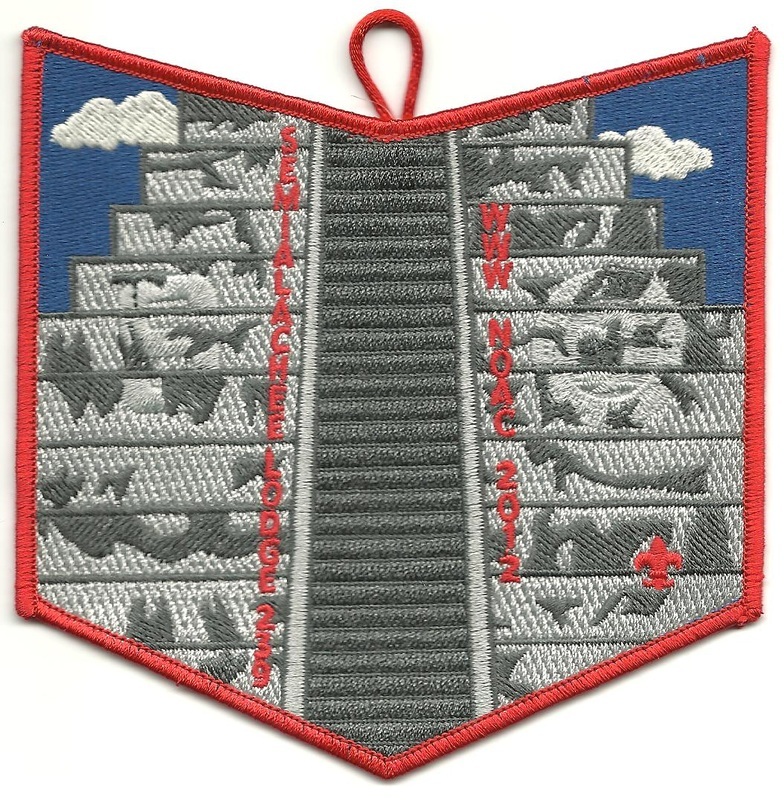 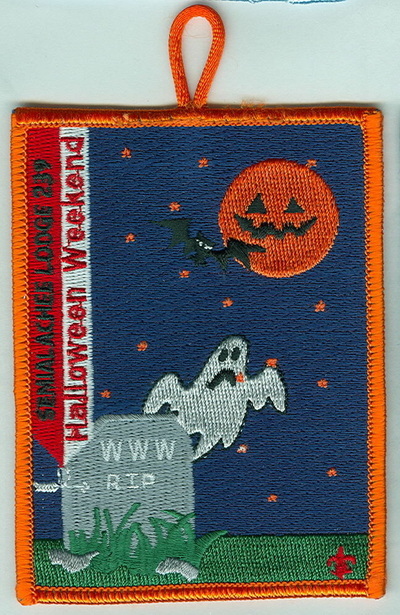 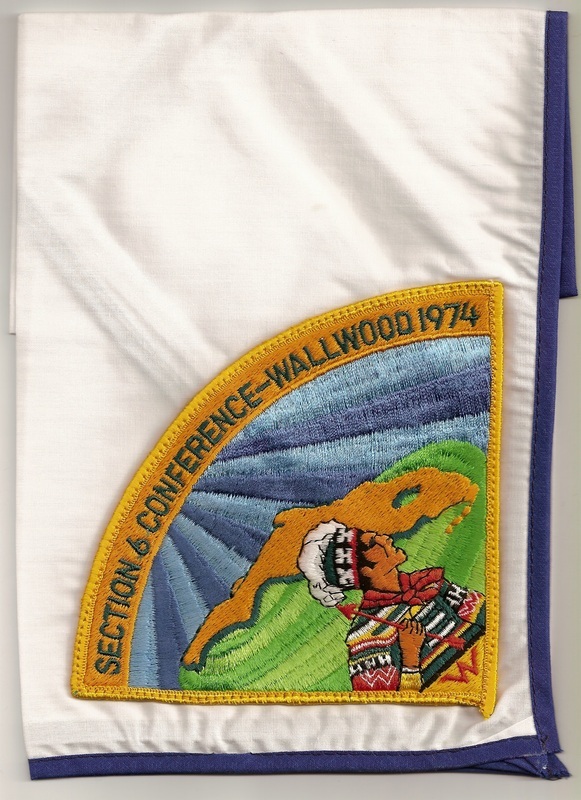 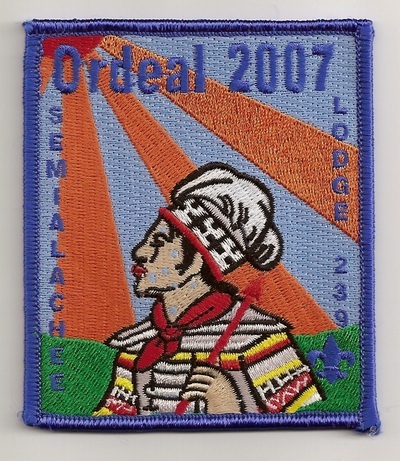 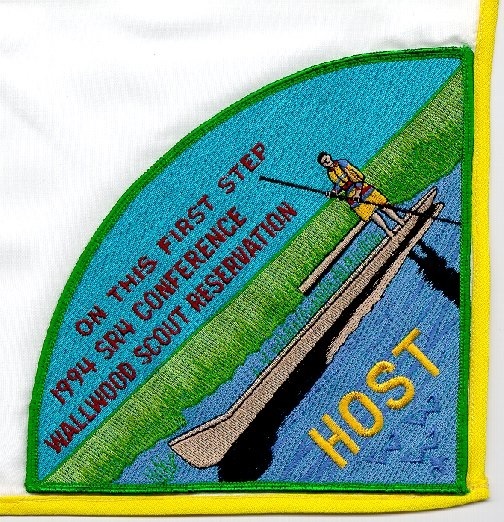 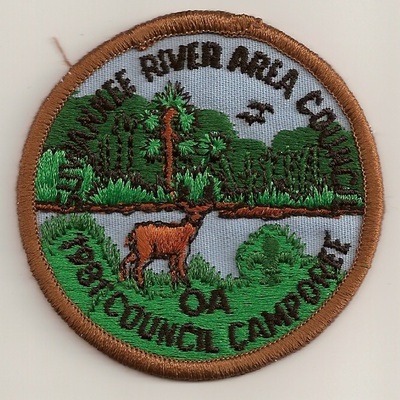 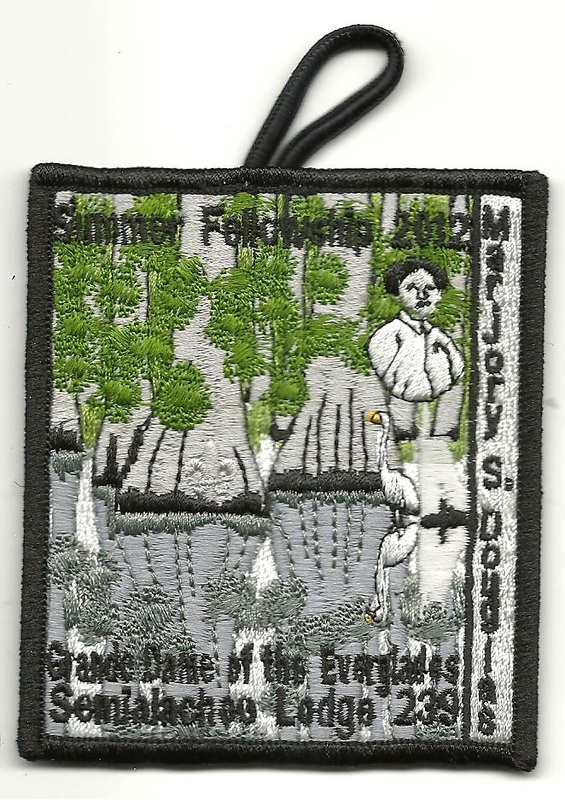 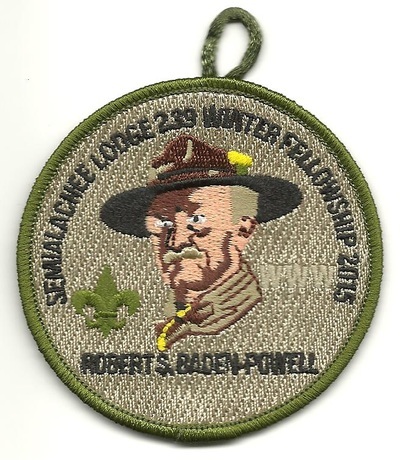 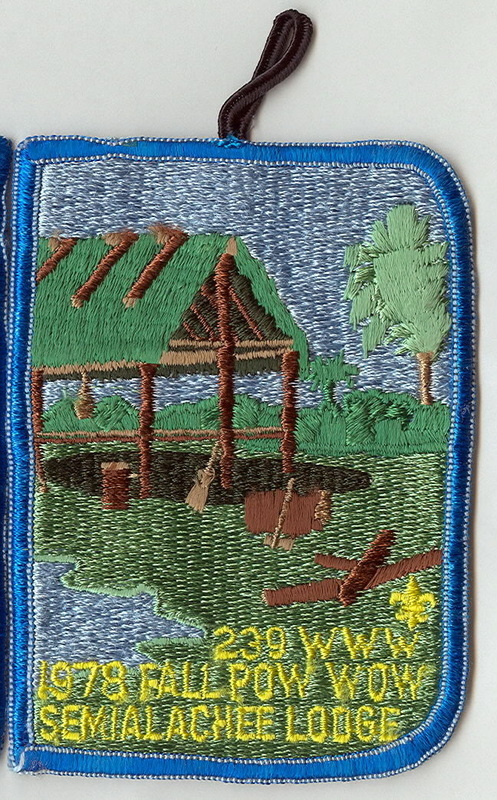 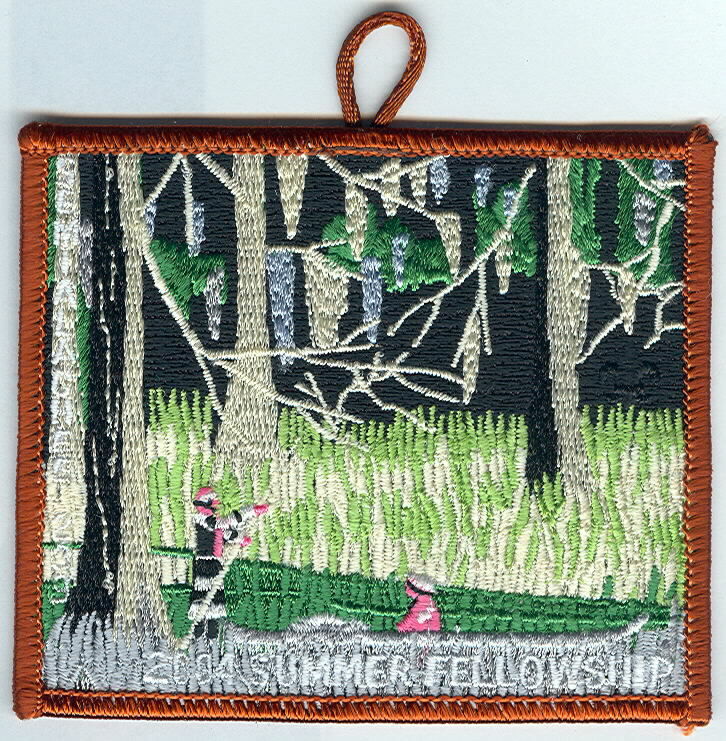 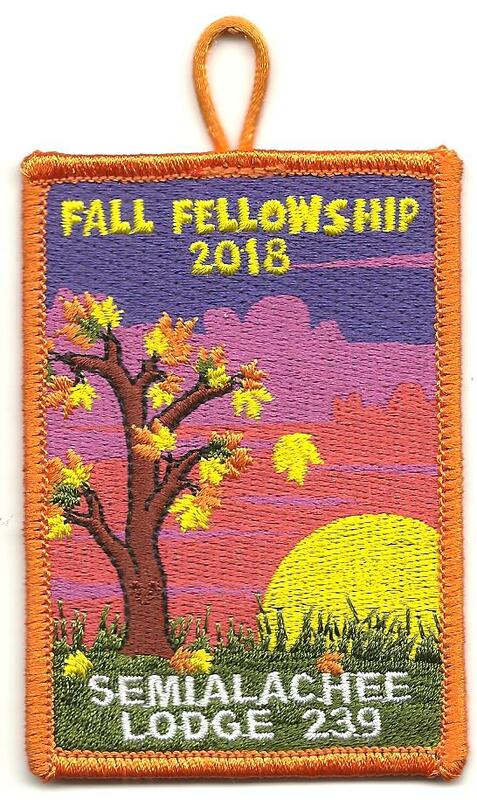 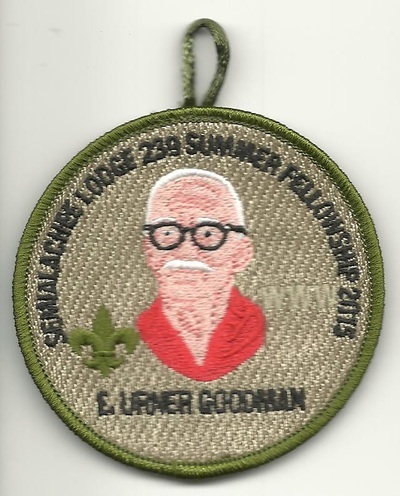 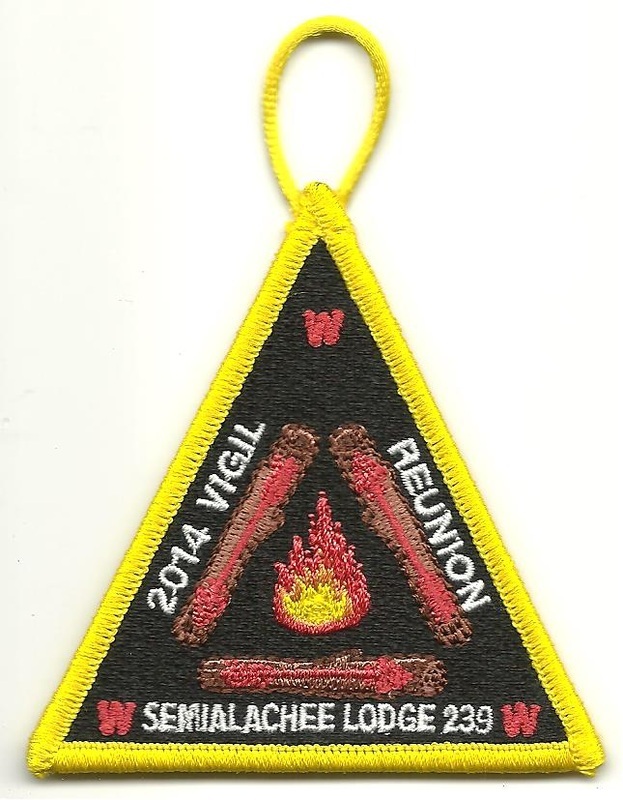 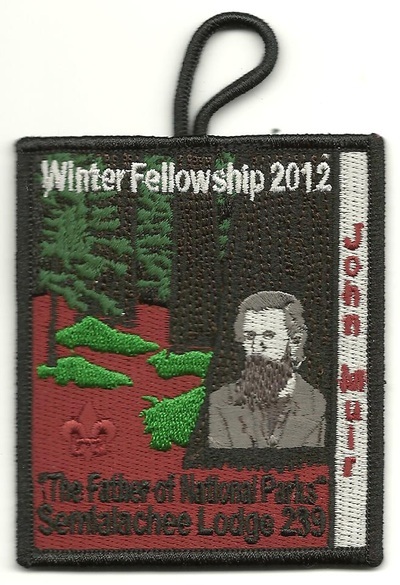 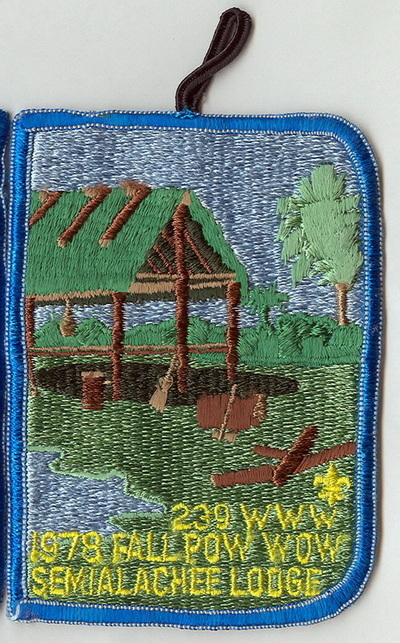 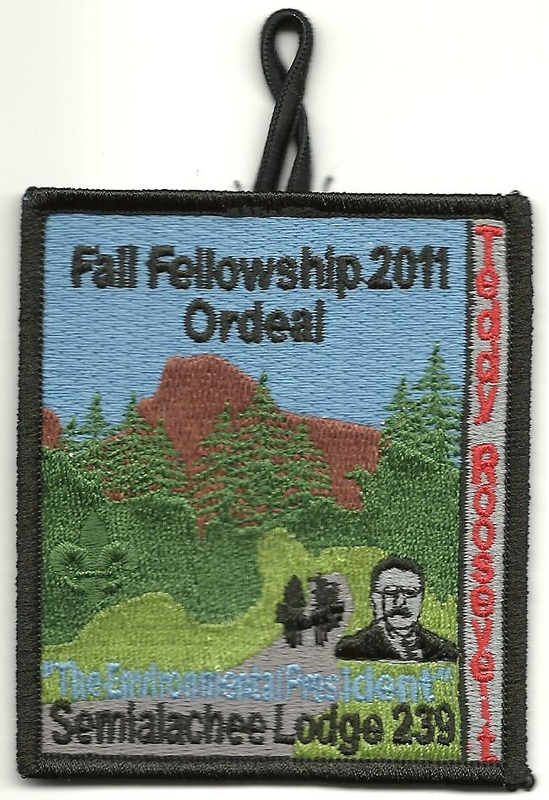 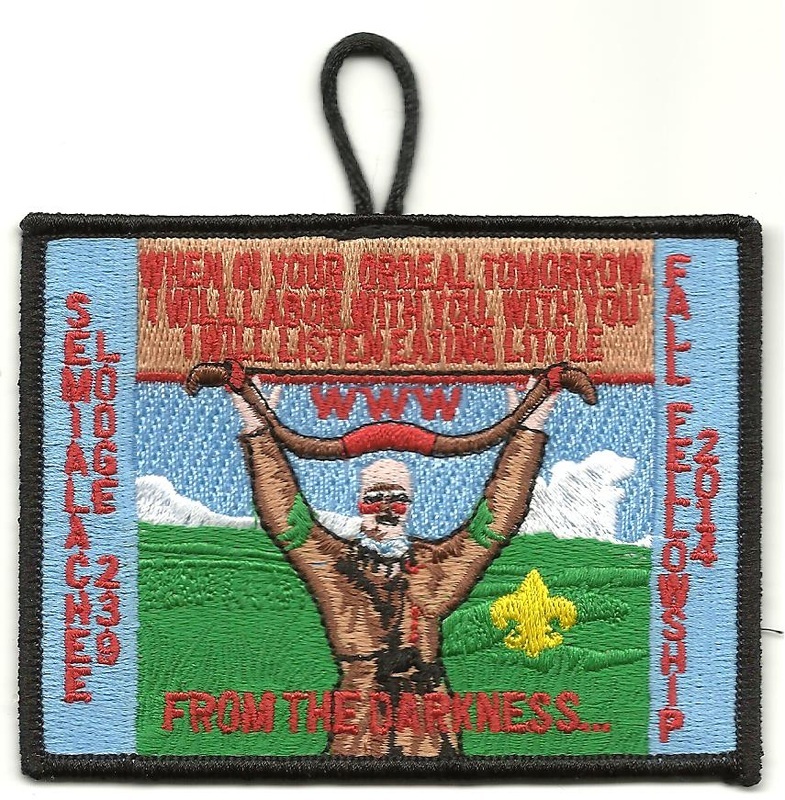 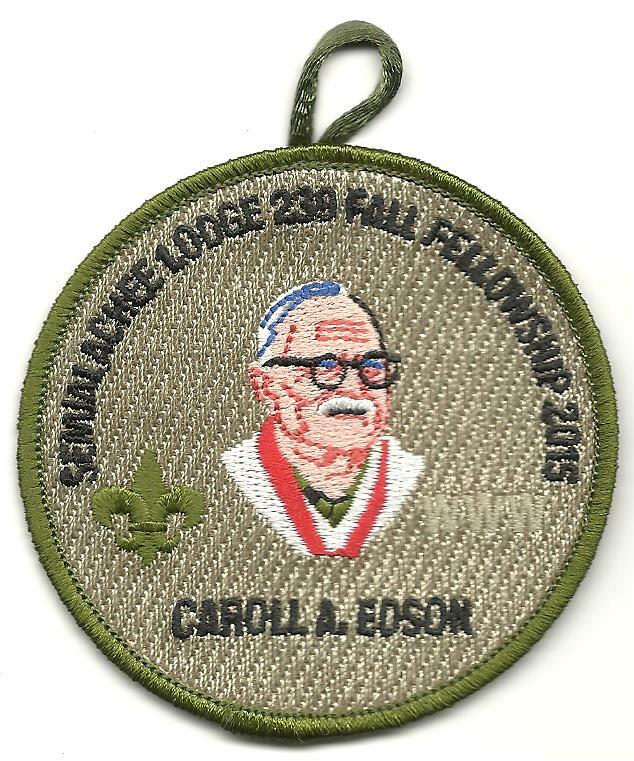 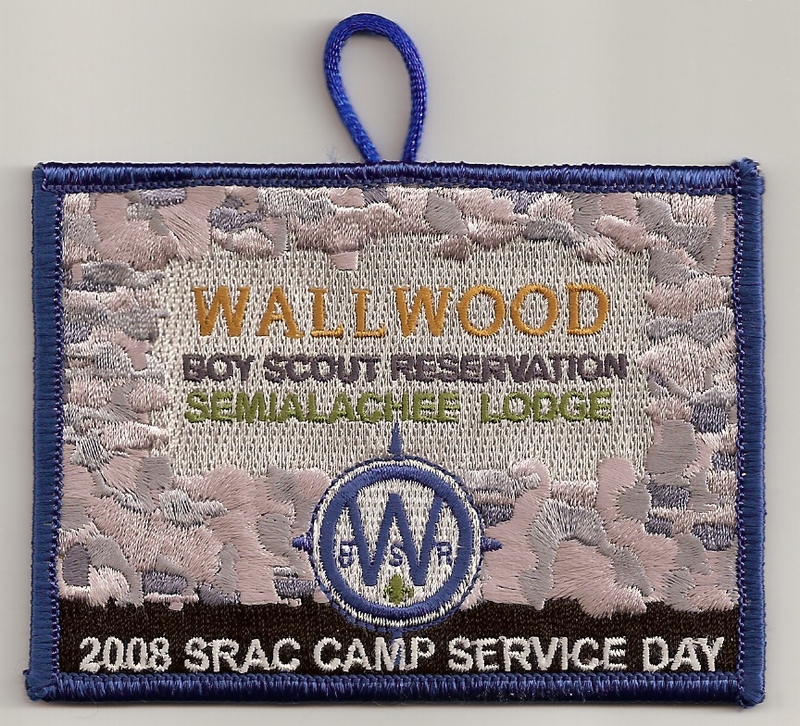 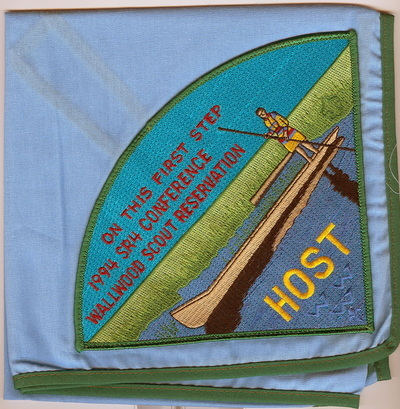 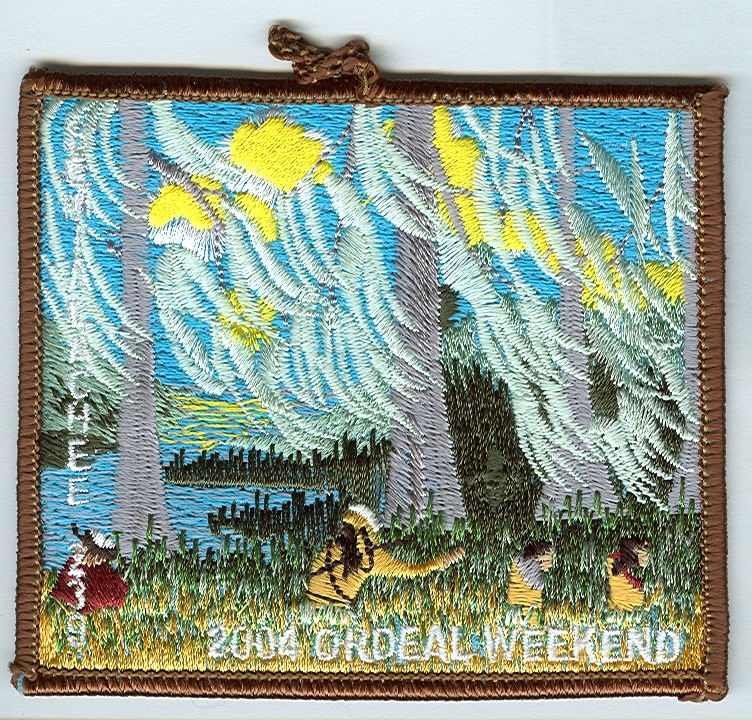 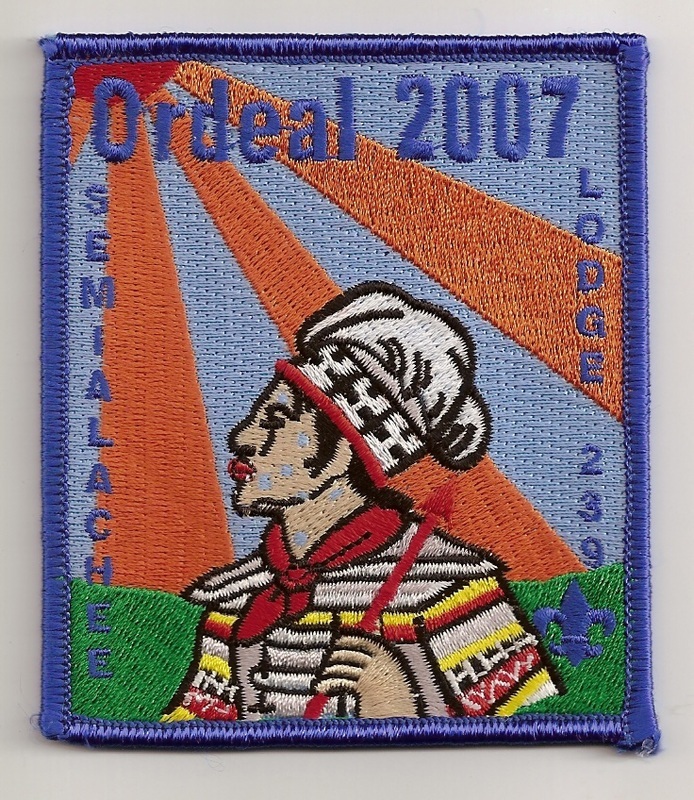 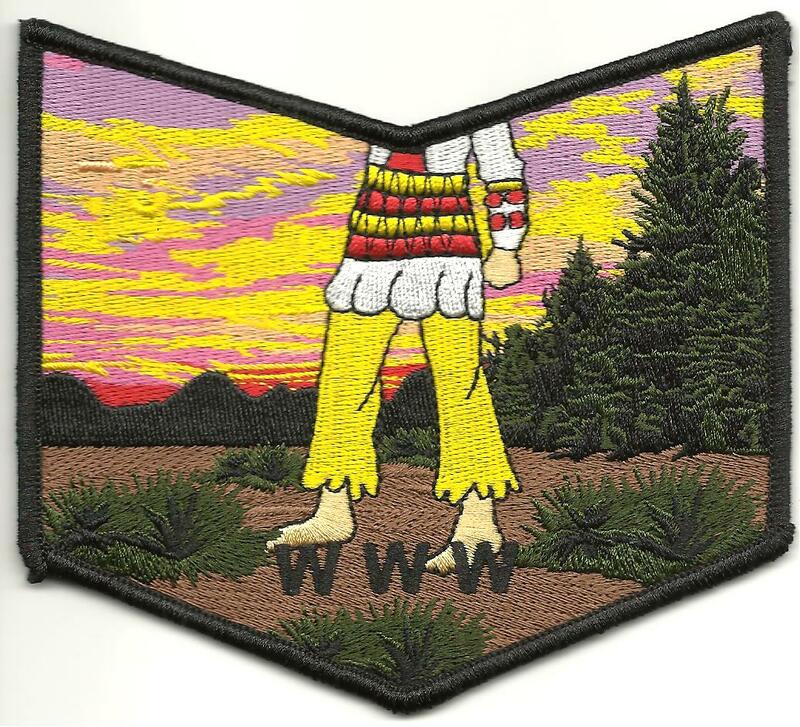 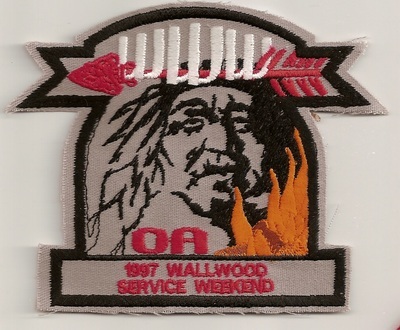 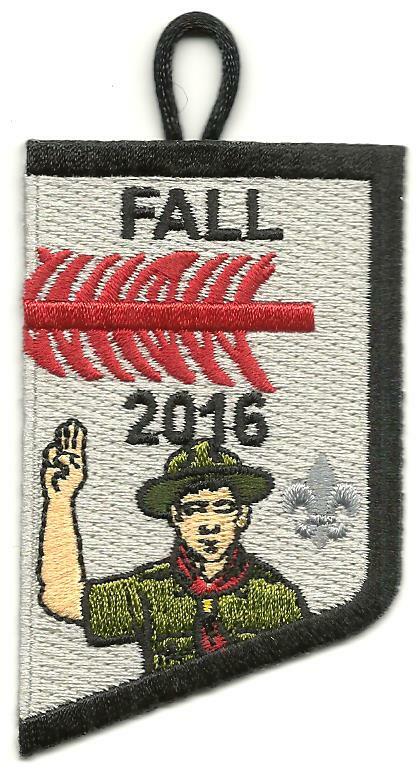 > Lodge activities held at Wallwood Boy Scout Reservation (Quincy). 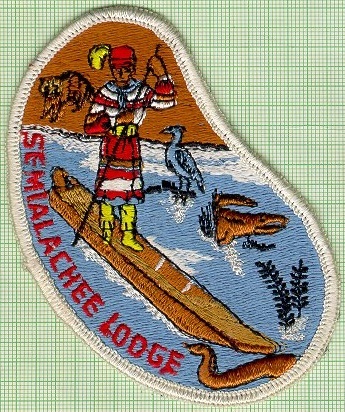 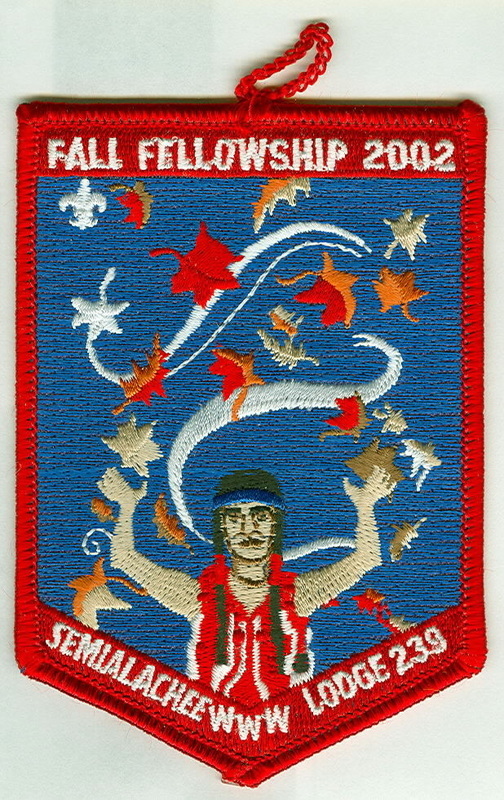 Activities formerly held at Camp Orchard Pond (Tallahassee, until 1947); Camp Semialachee (Tallahassee, 1948-1964). 239-S-23 WHT fdl; AQU sky, curved tail on "9"
239-S-52 2003; curved corners on border; LBL sky; "239" on right edge; straight tail on "9"
239-S-58 2004; BLU background; 239 on right edge; curved tail on "9"
239-S-59 2005; curved corners on border; LBL sky; "239" on right edge; curved tail on "9"
239-S-82 2012 Section S-4 Conference Host; "SEEKING OUR VISION AT CAMP WALLWOOD"
239-S-86 2012; "QUEST FOR THE GOLDEN ARROW 1988 2012"
239-X-12 2006 NOAC pocket patch; "mileage marker sign"